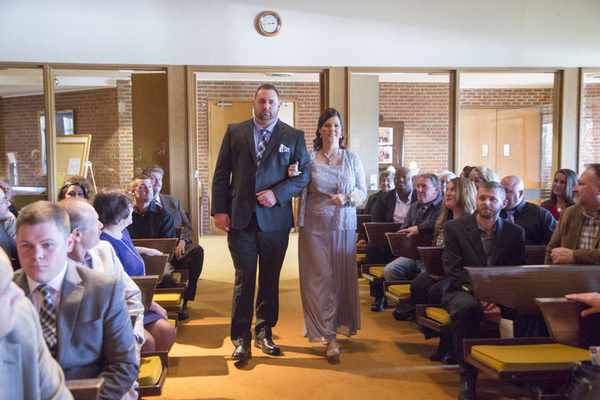 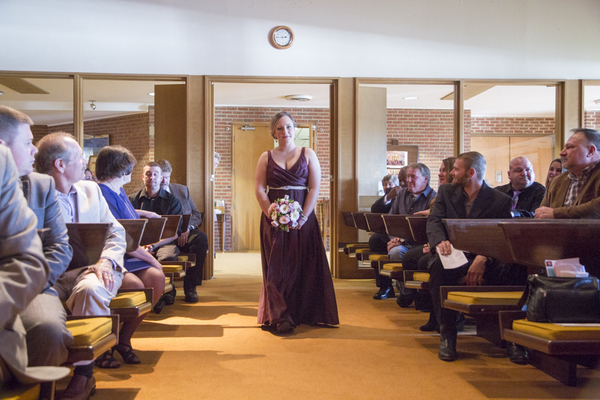 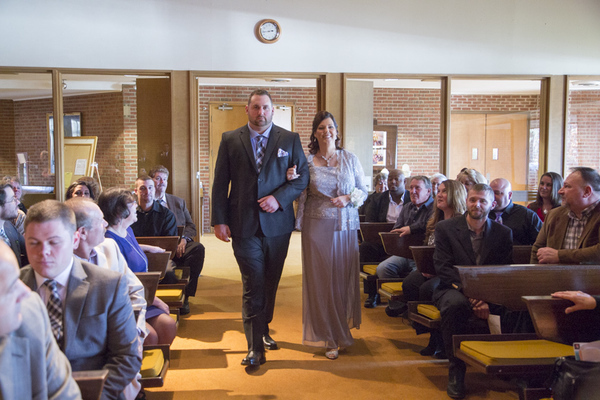 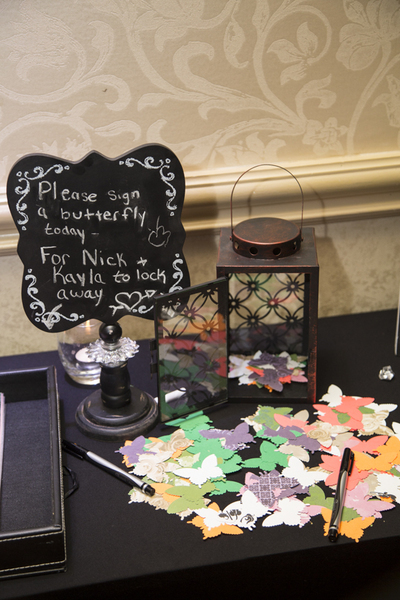 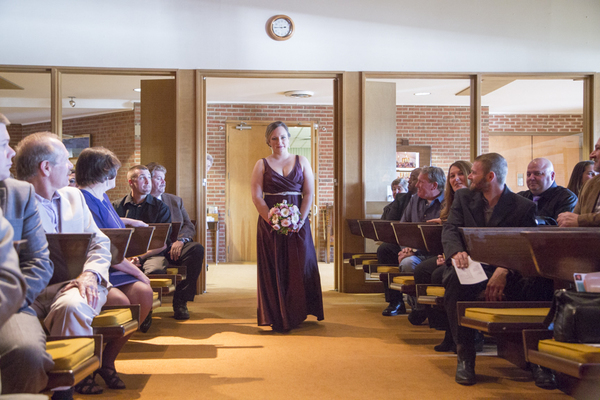 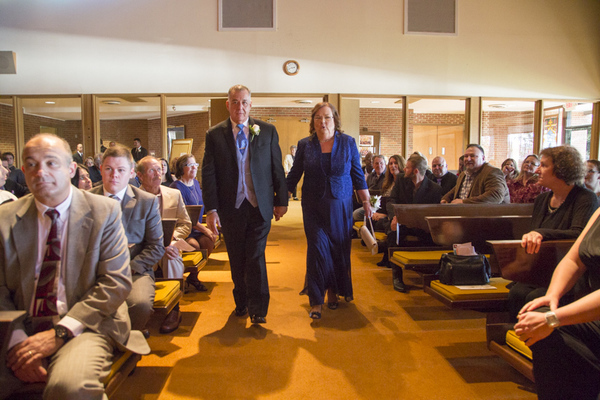 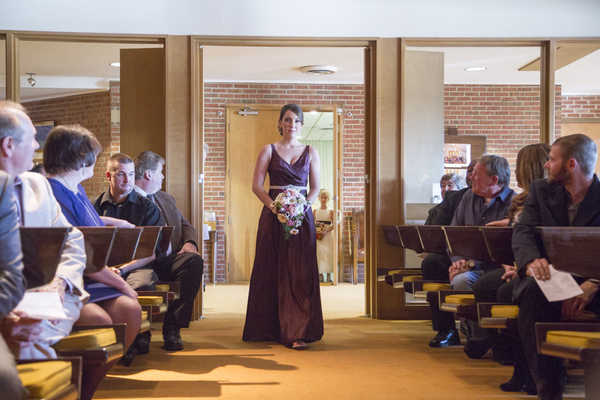 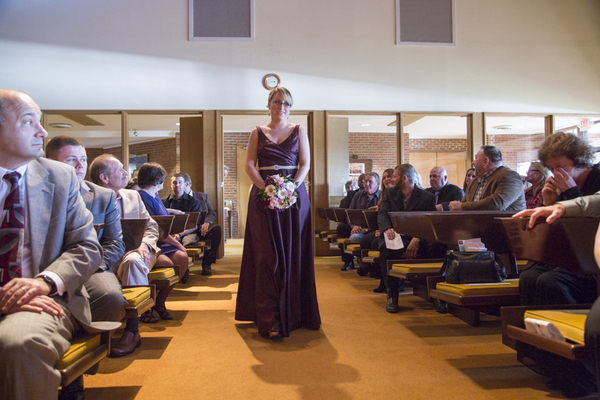 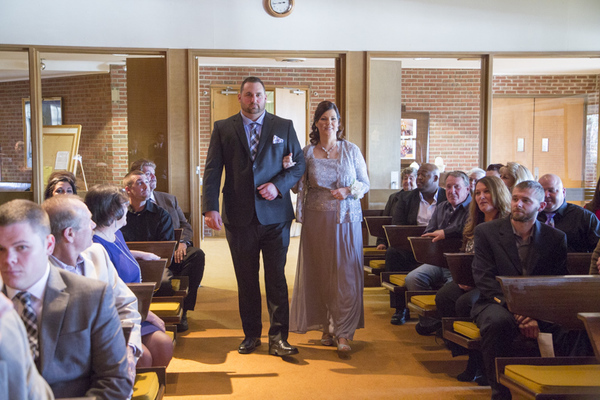 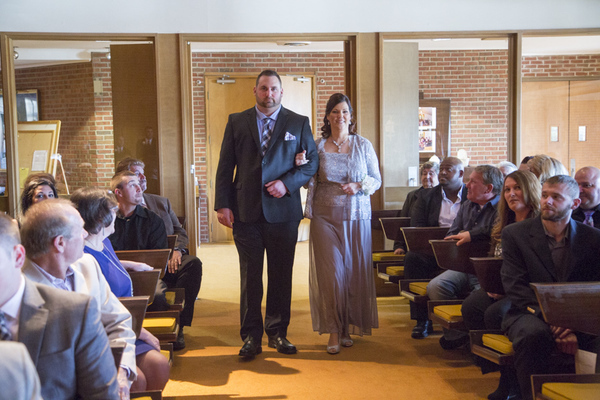 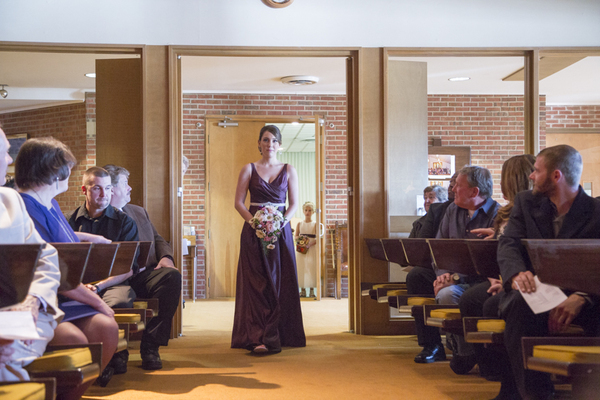 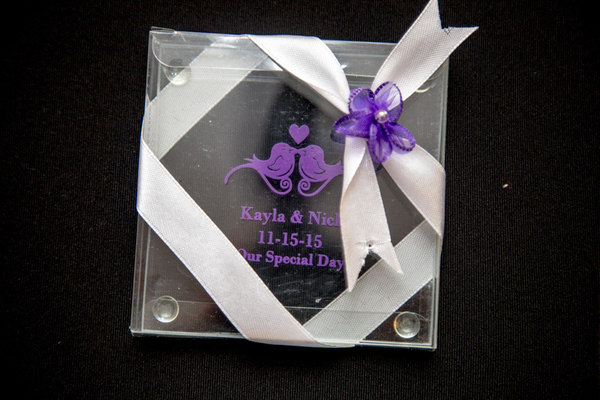 Congratulations to Kayla and Nick on their marriage! 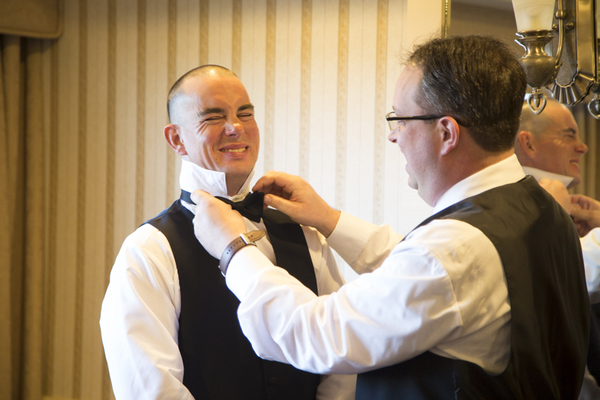 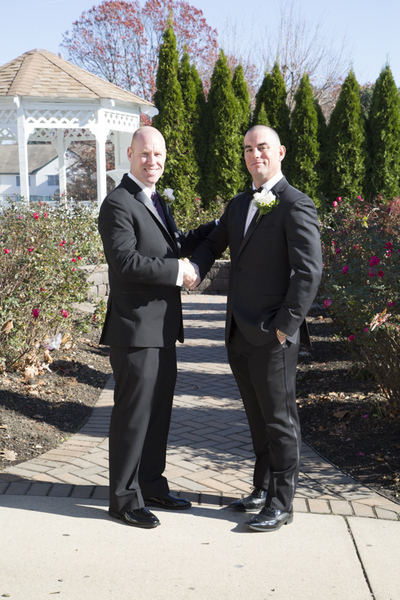 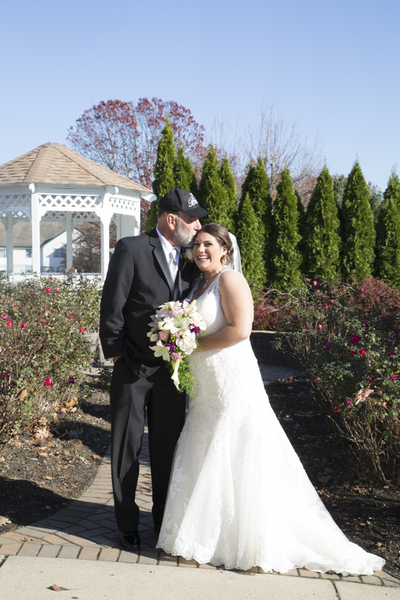 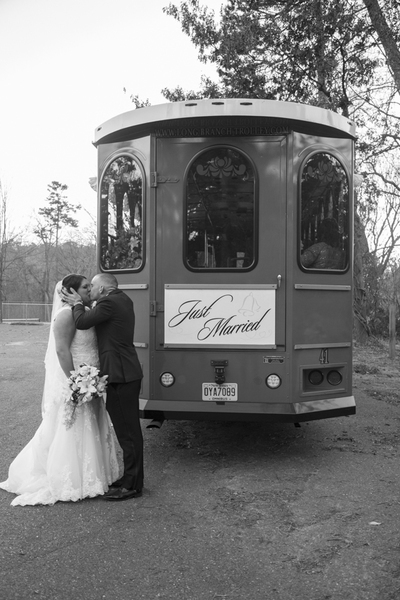 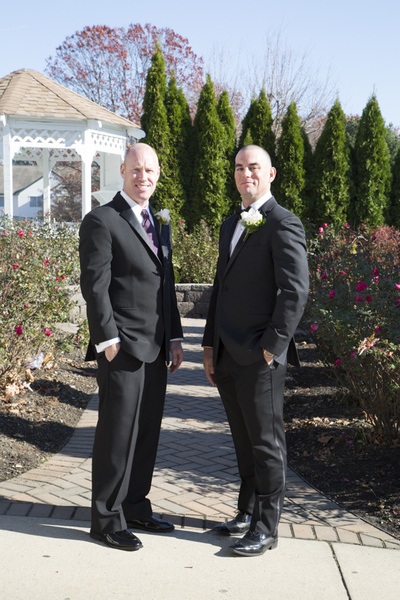 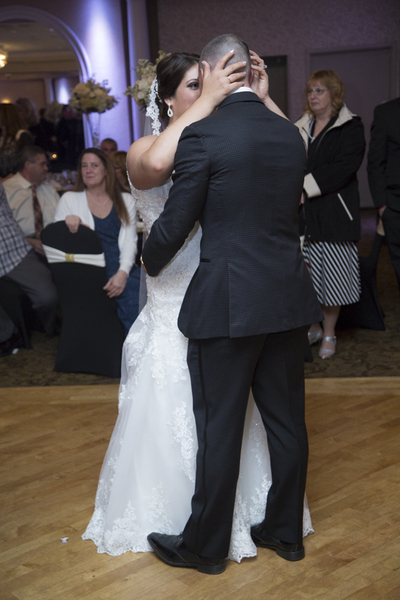 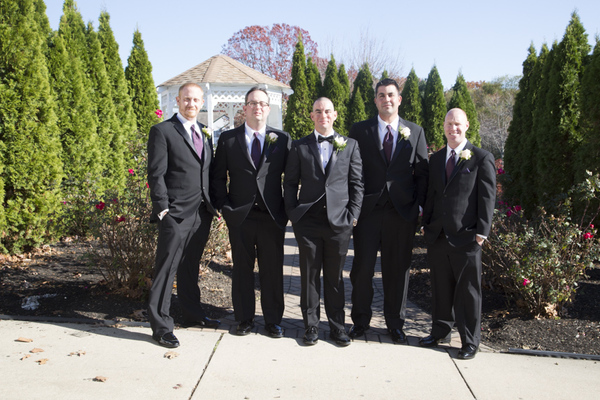 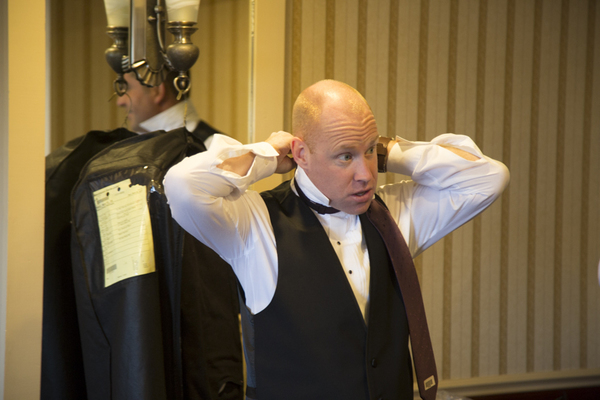 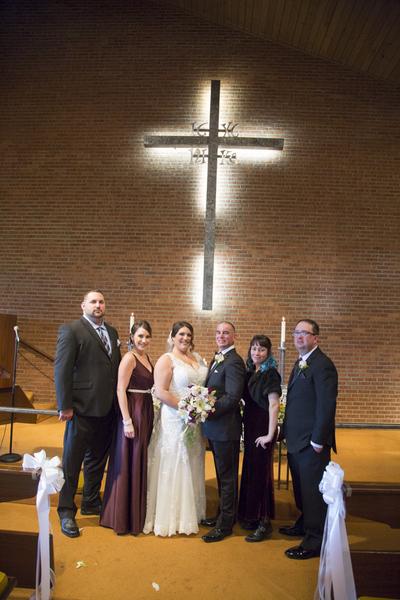 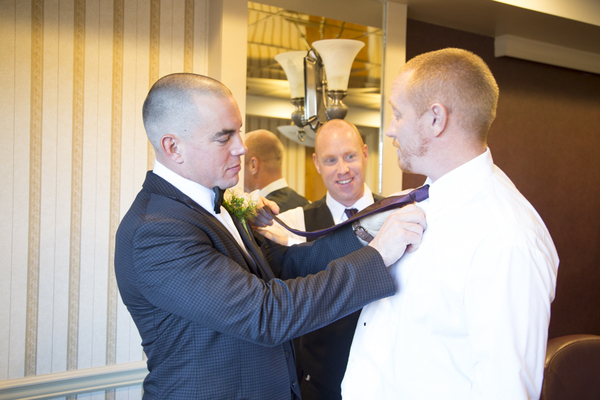 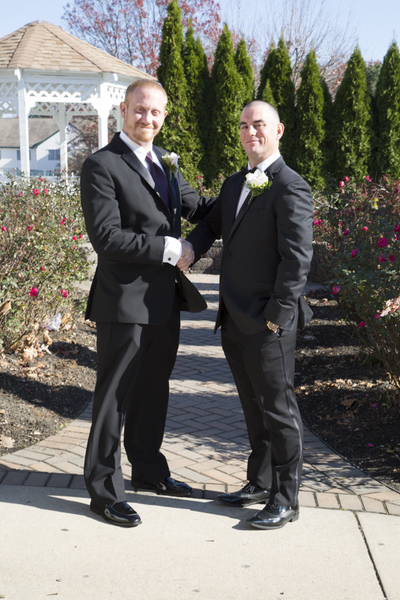 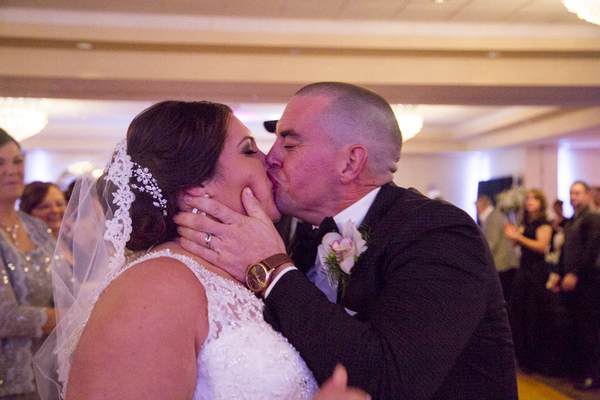 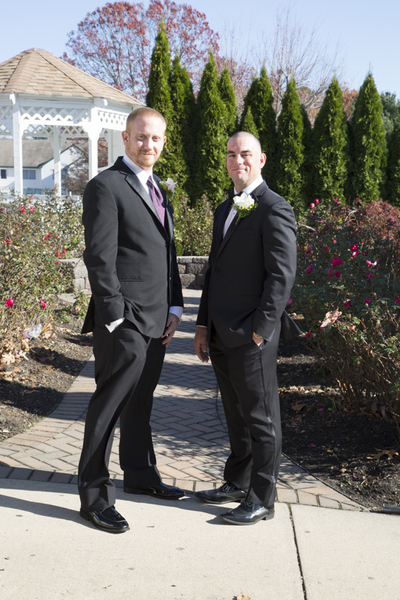 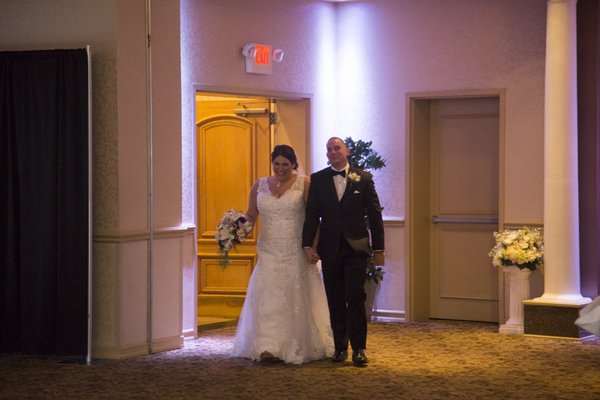 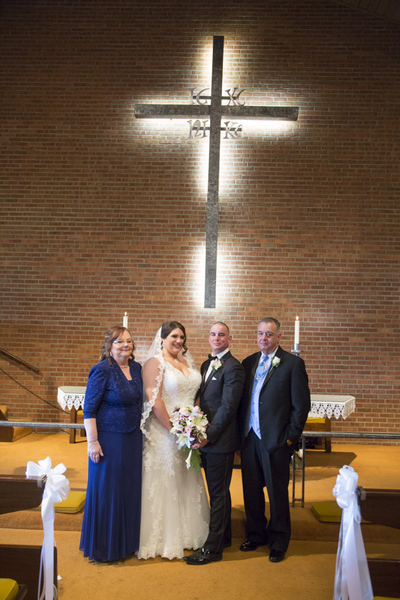 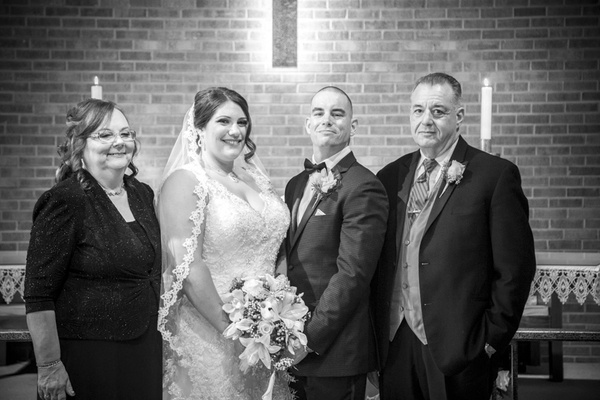 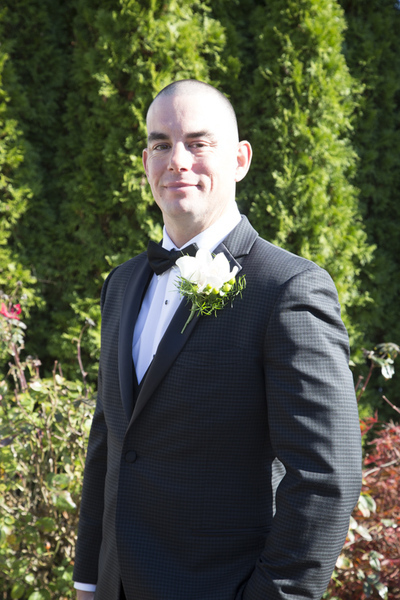 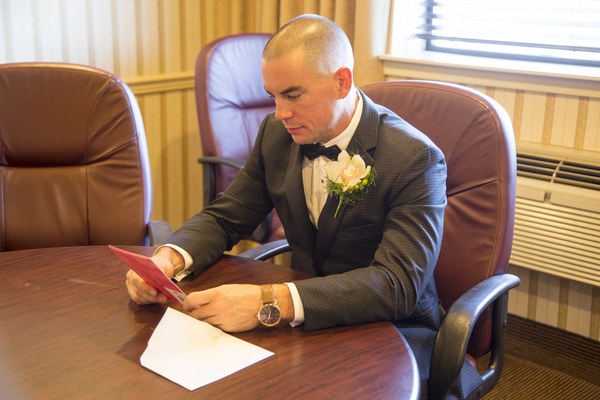 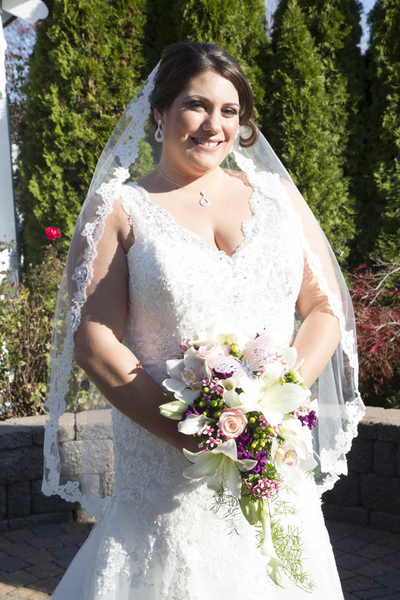 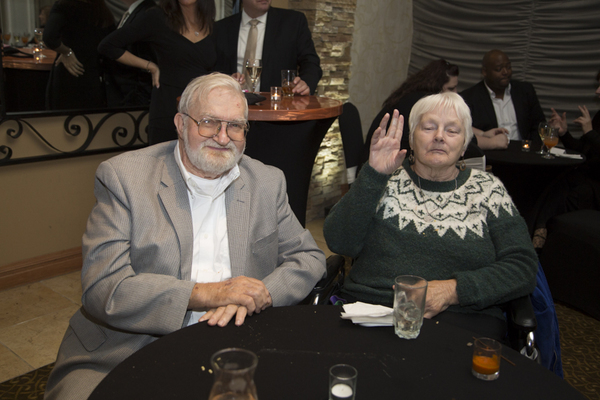 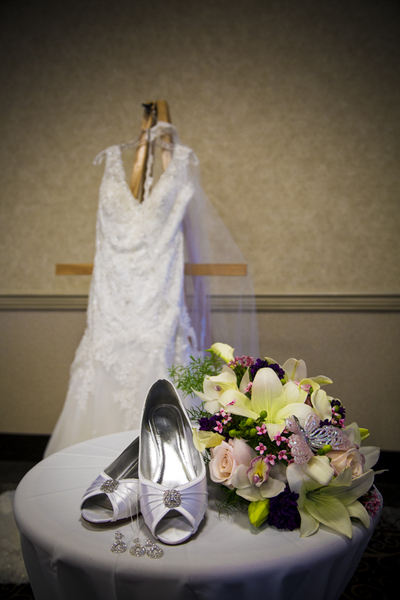 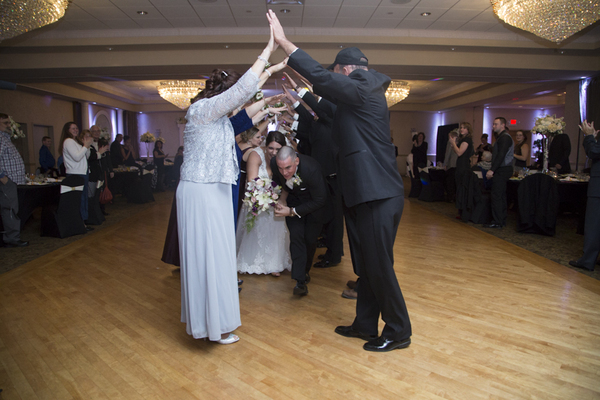 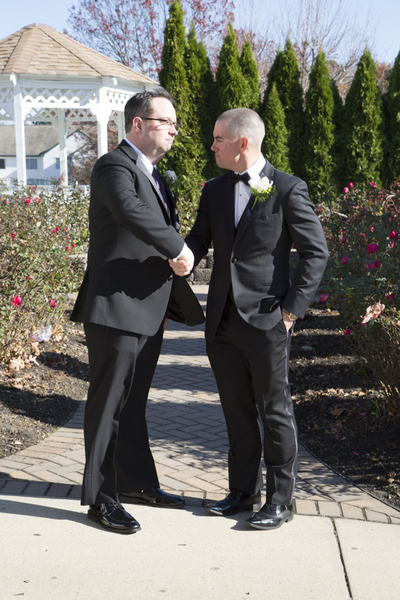 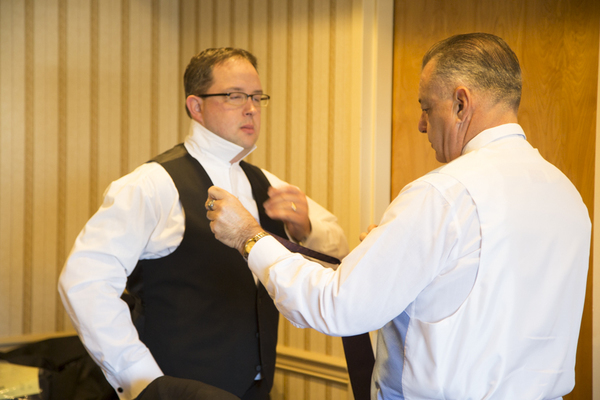 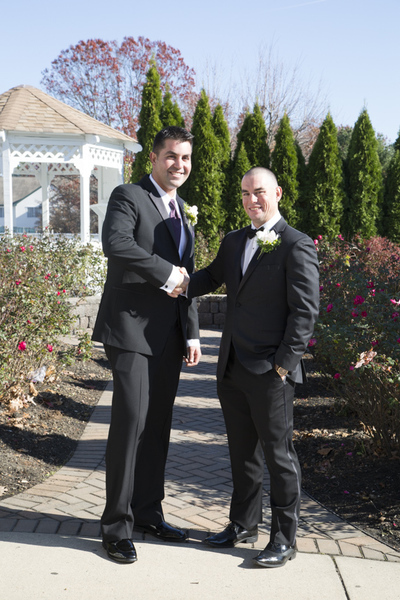 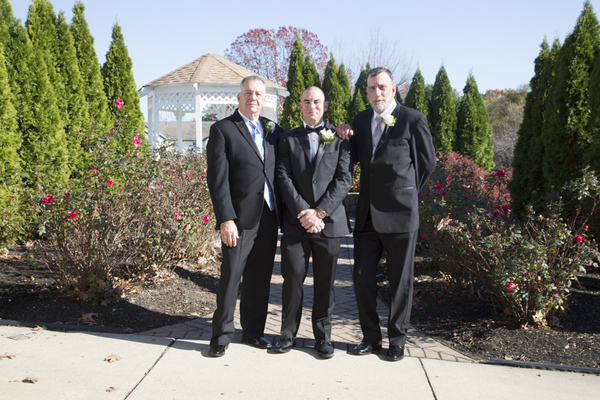 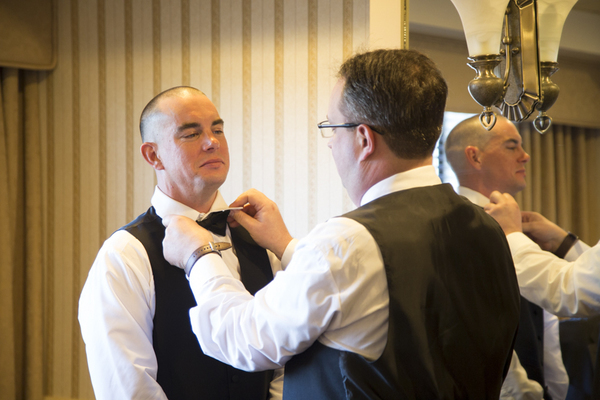 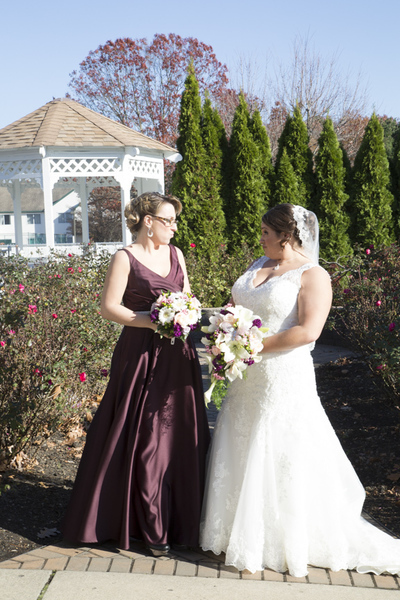 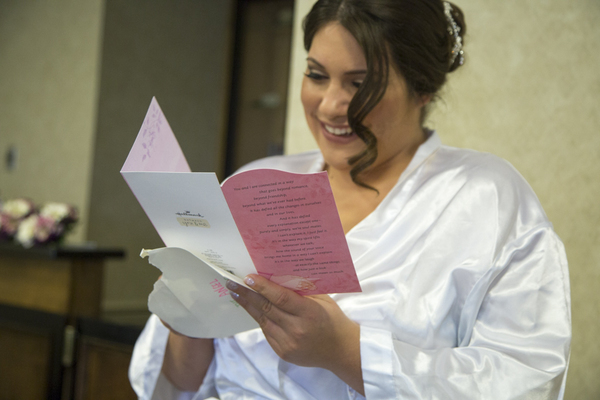 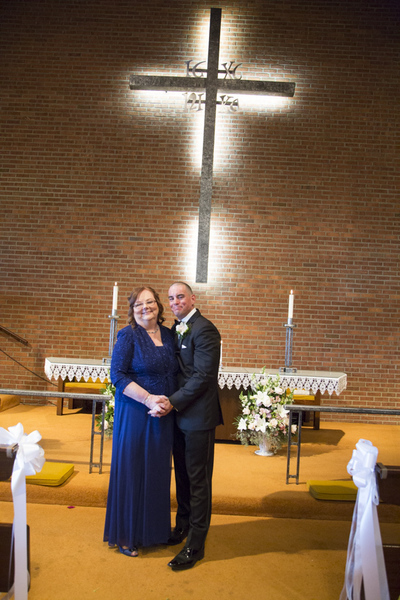 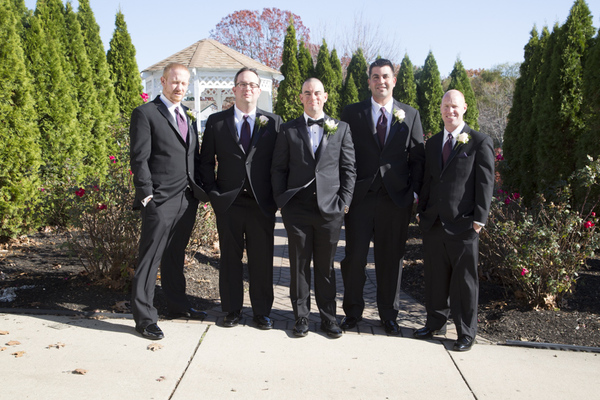 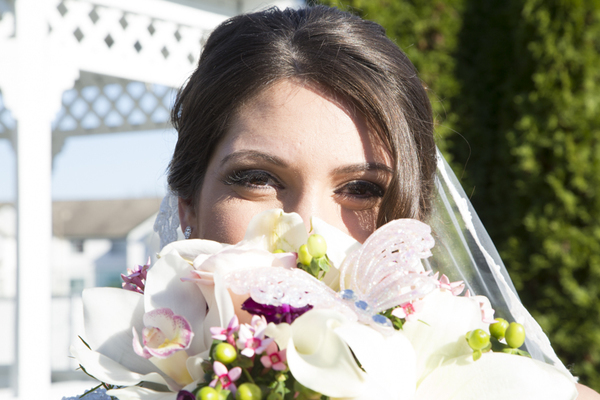 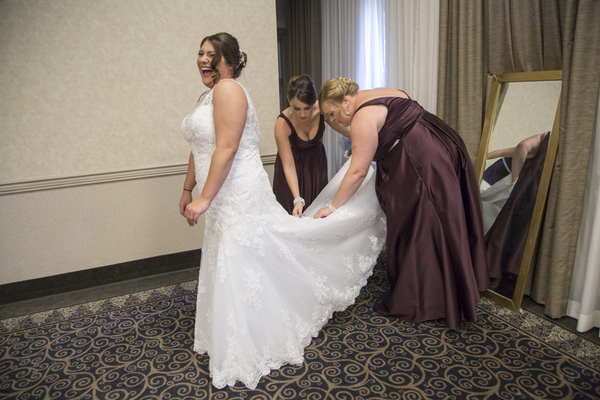 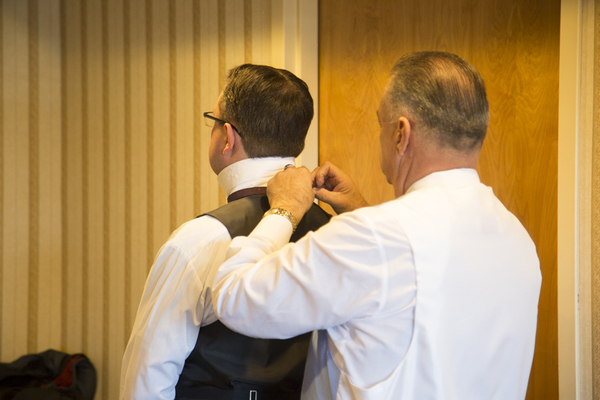 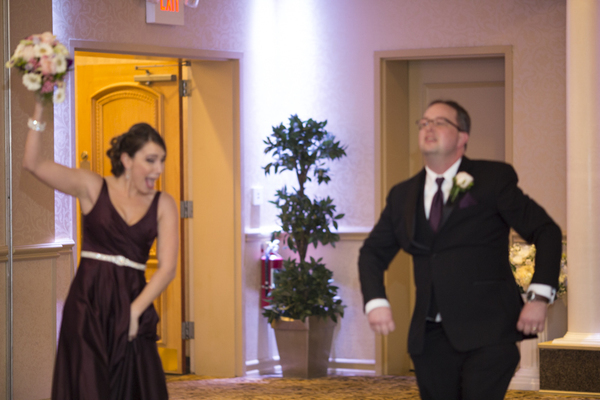 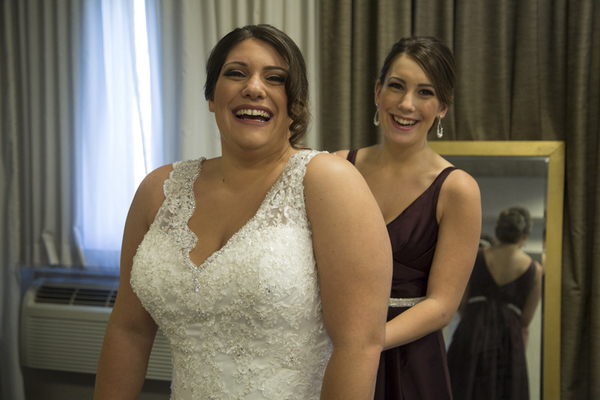 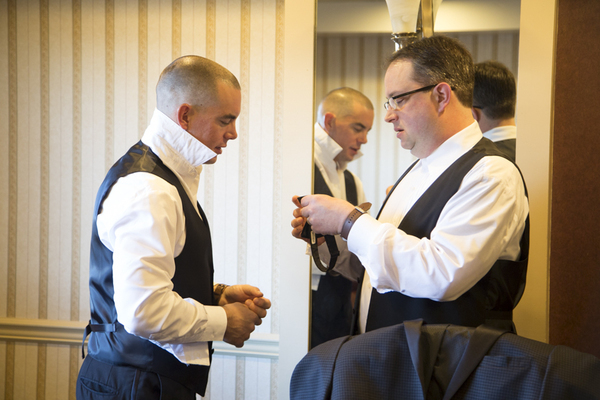 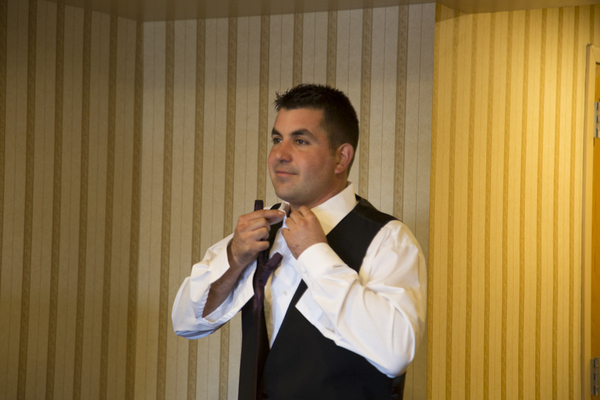 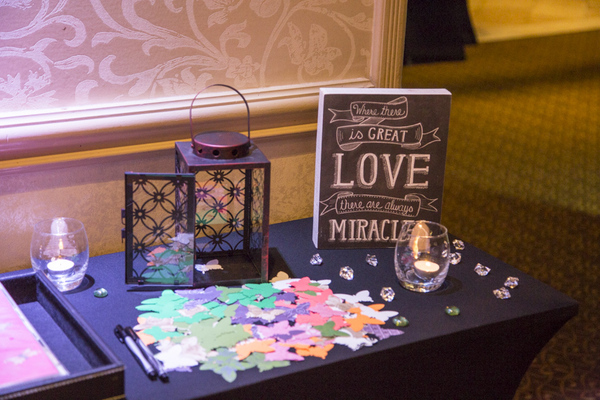 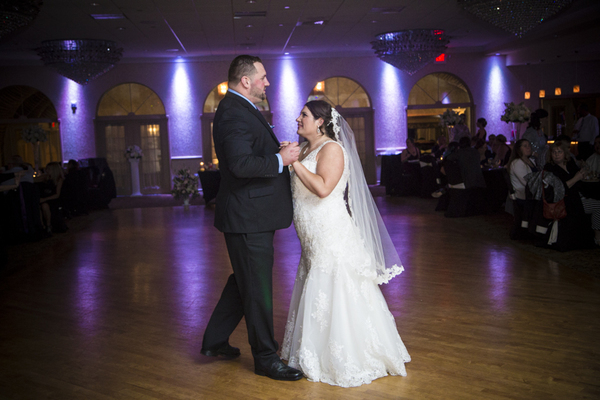 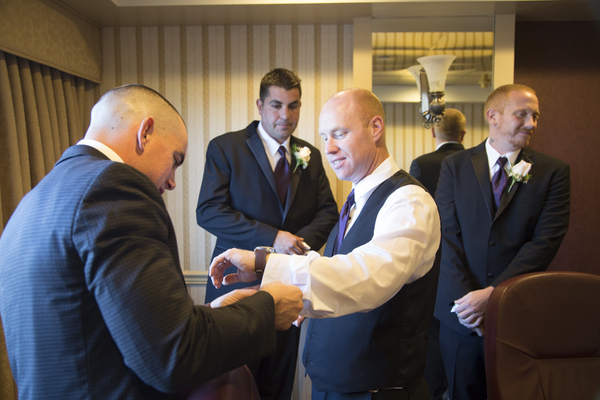 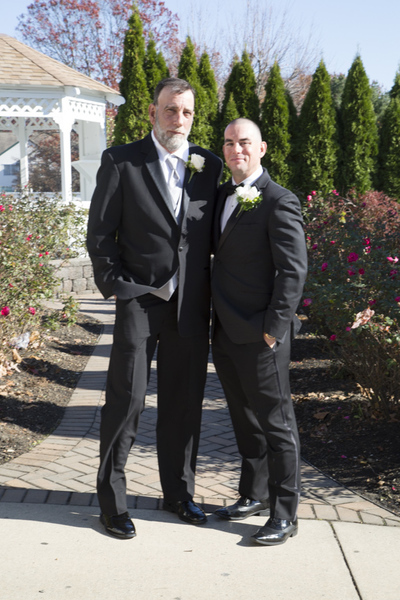 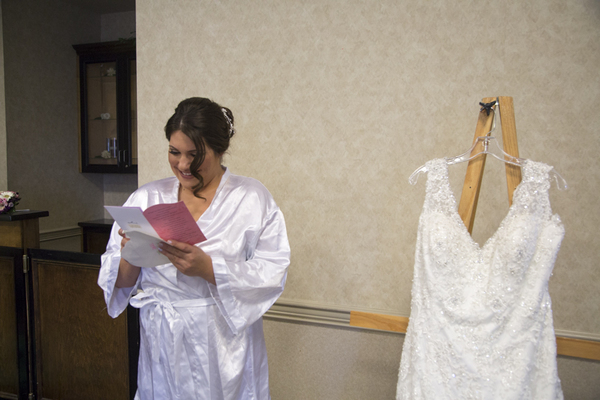 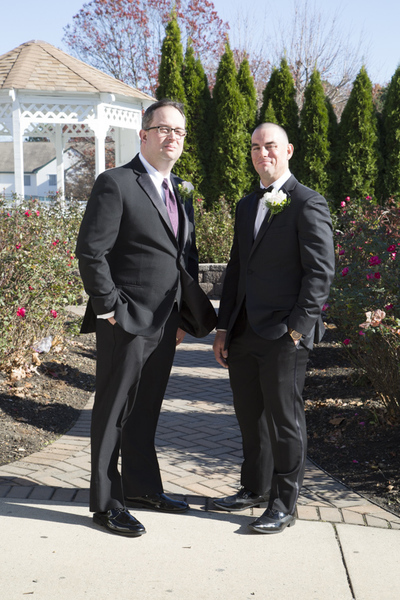 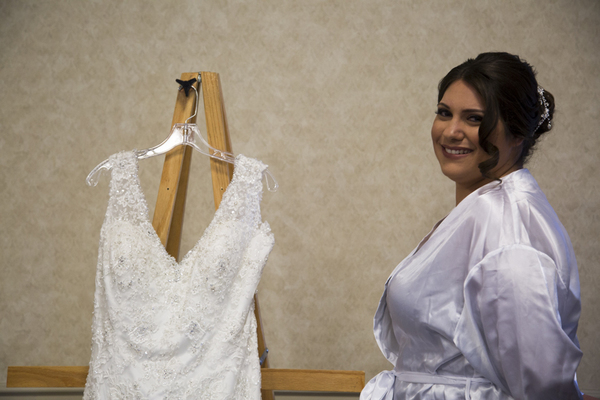 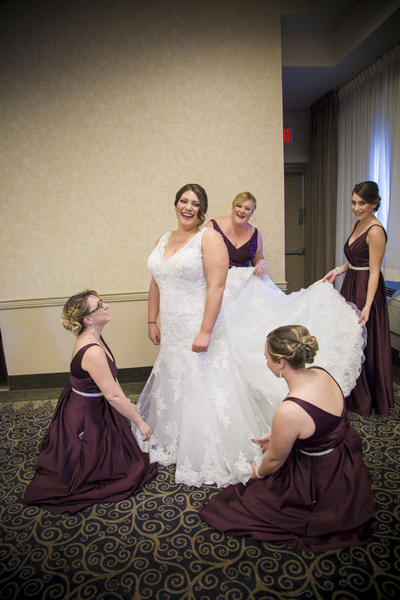 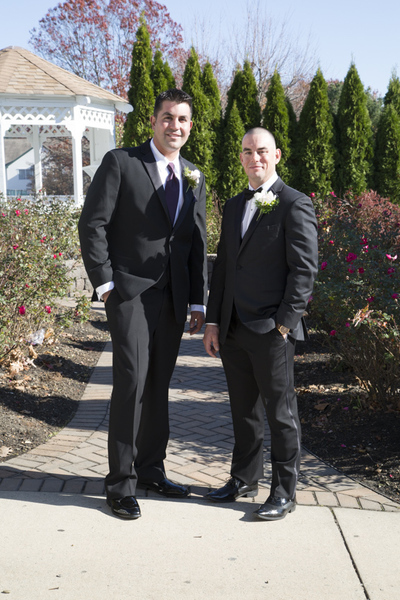 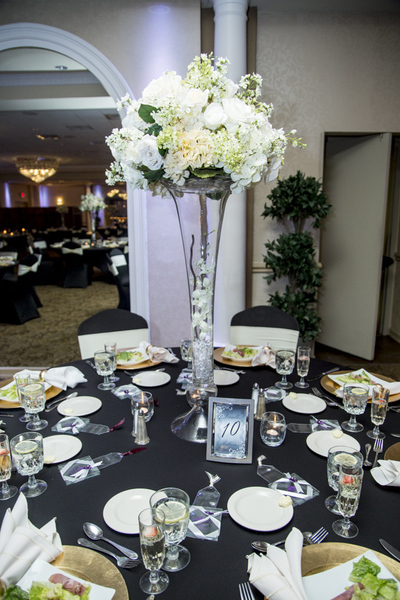 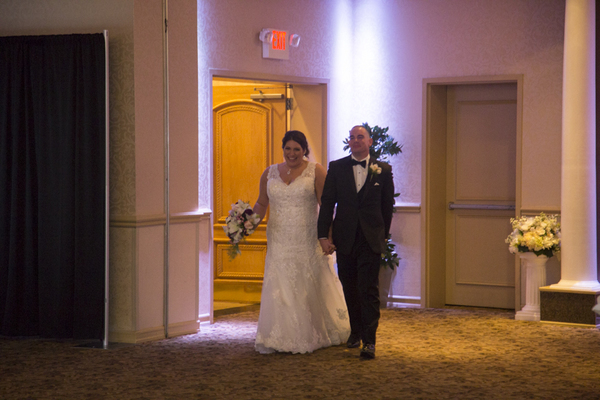 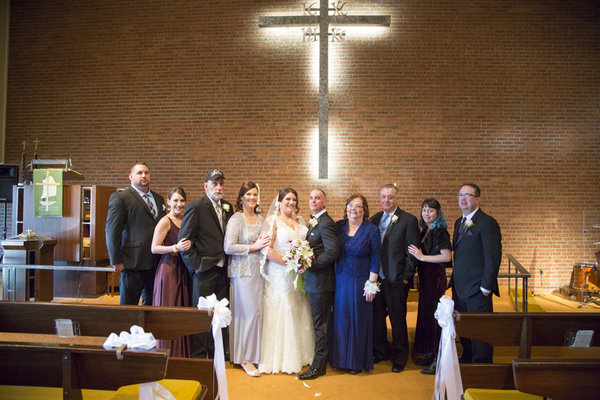 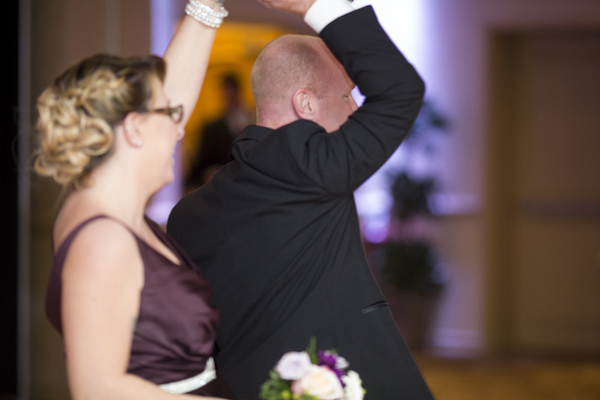 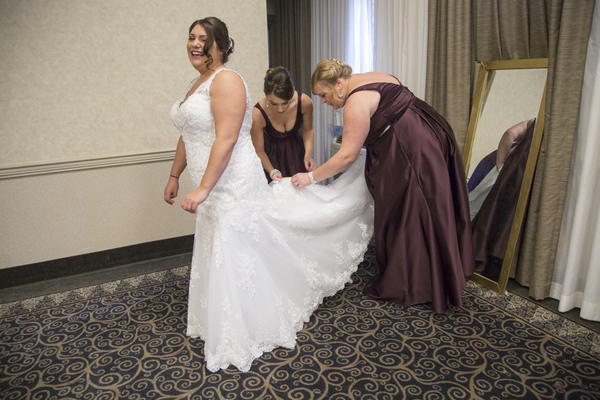 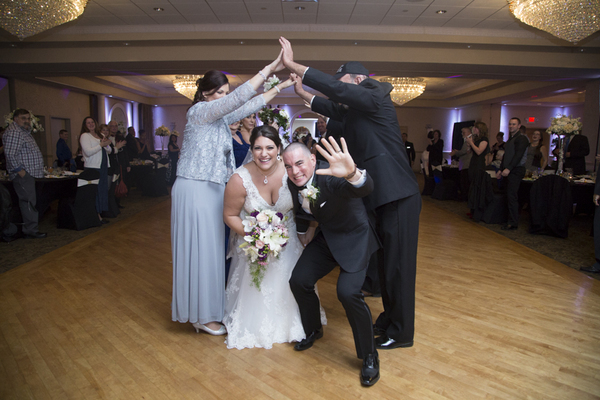 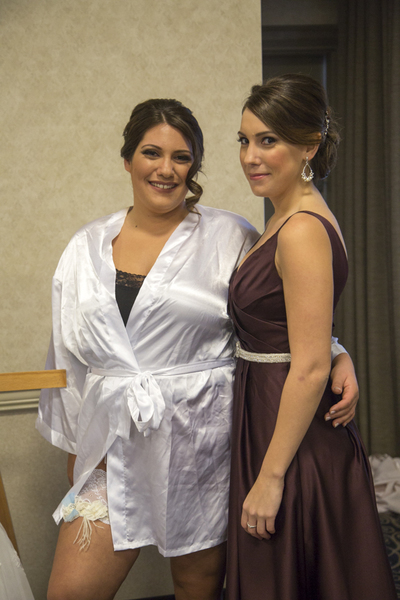 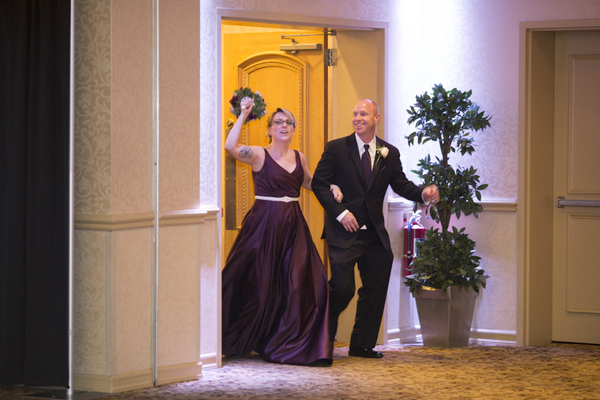 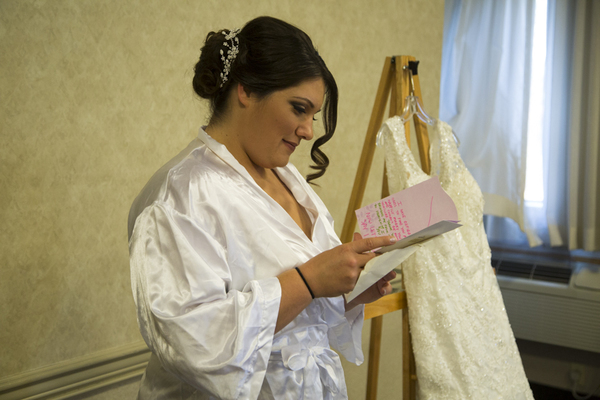 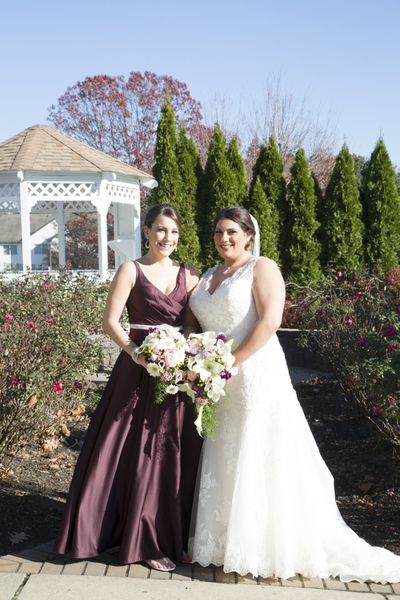 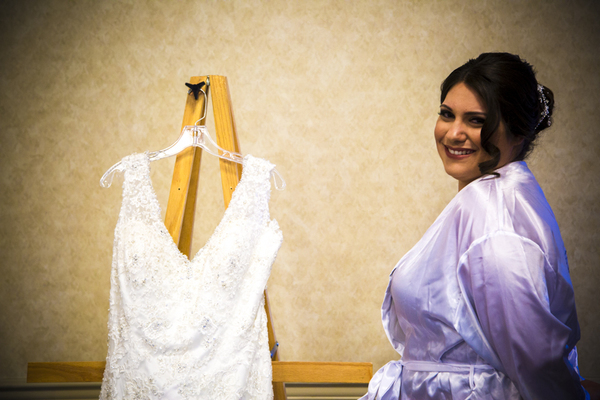 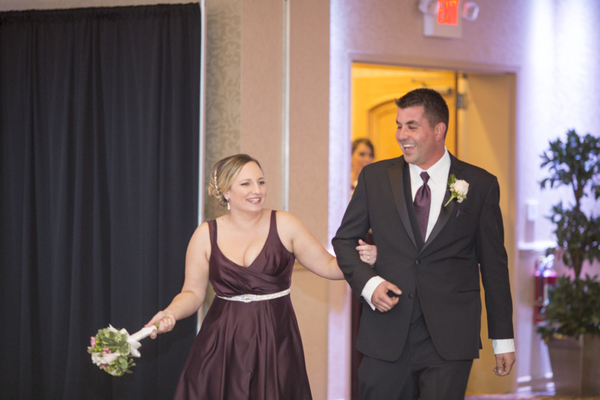 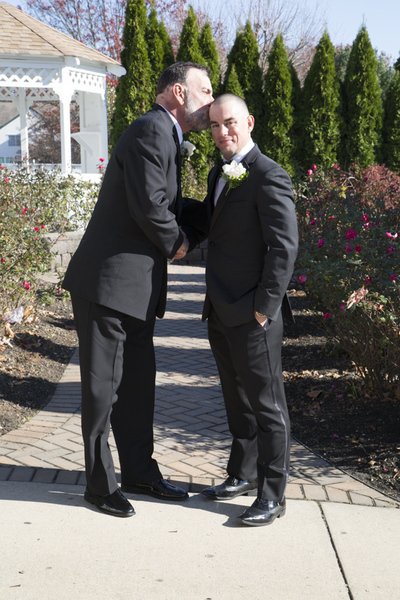 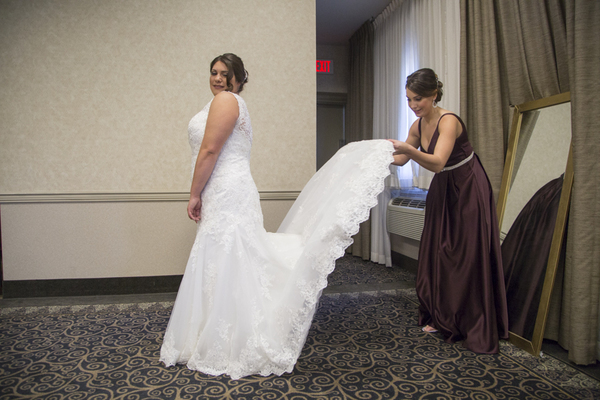 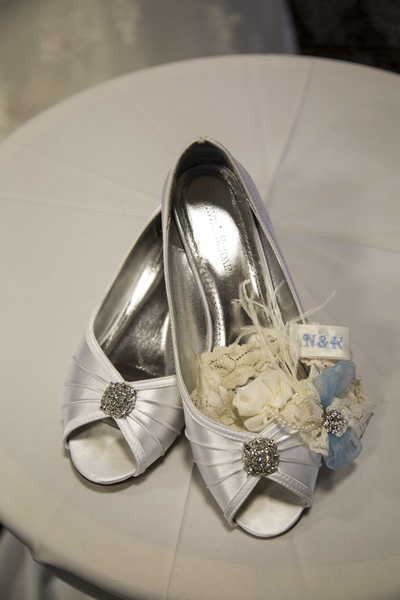 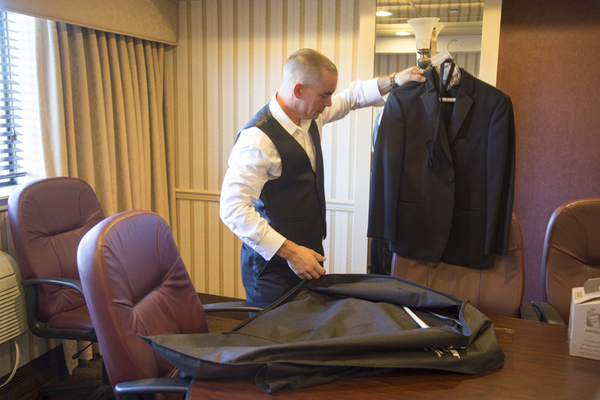 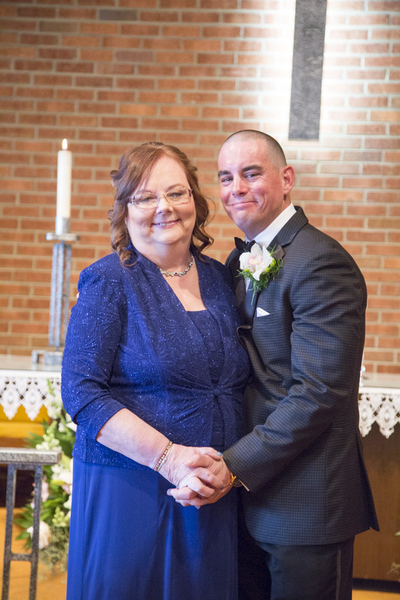 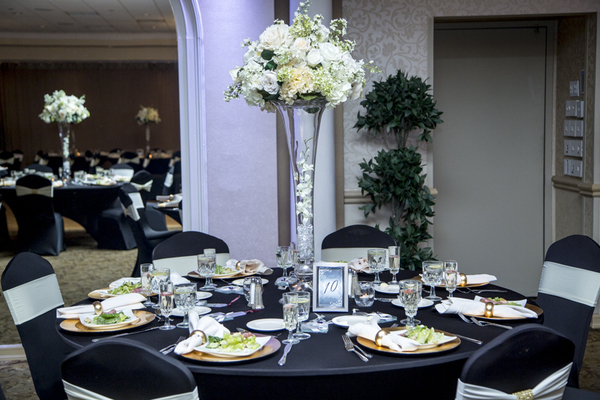 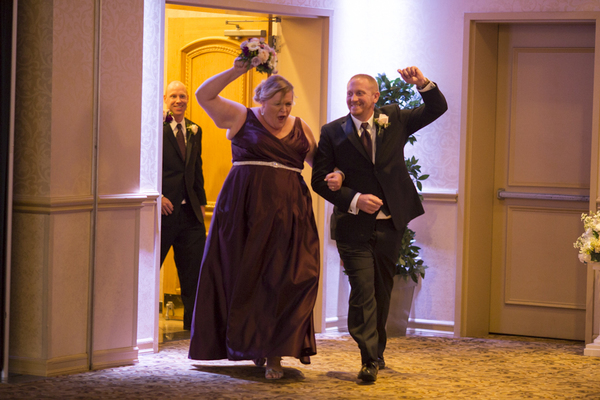 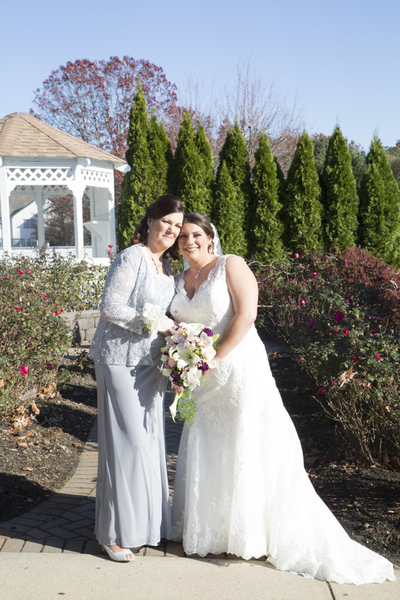 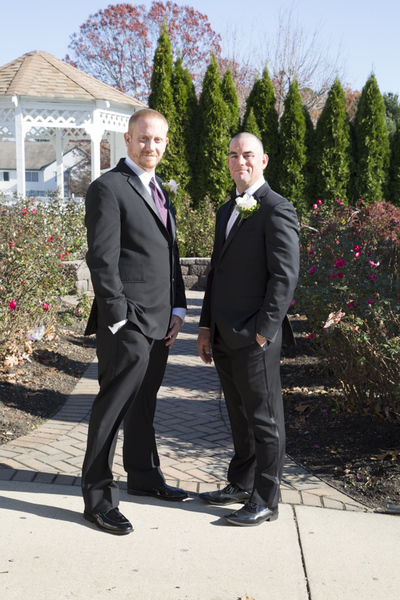 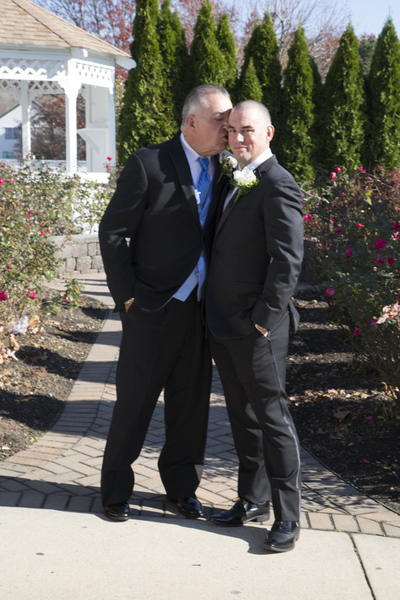 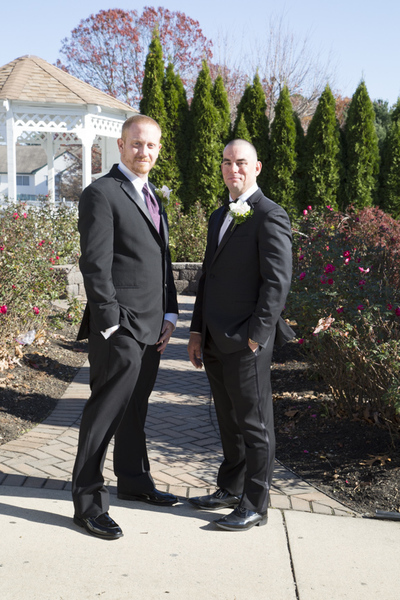 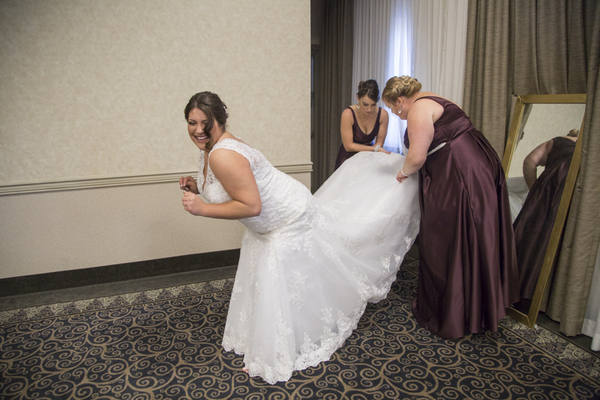 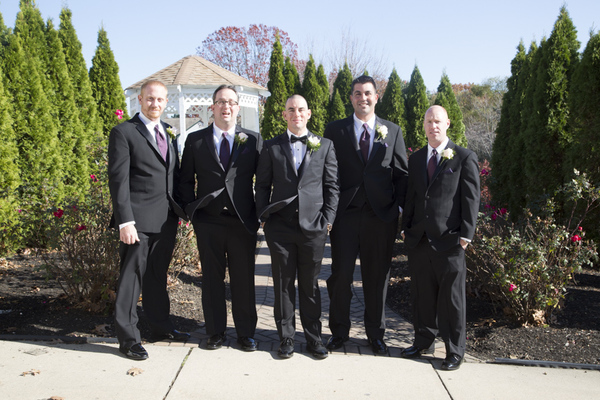 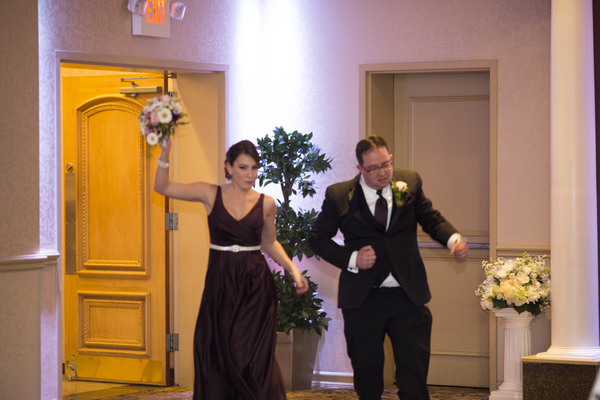 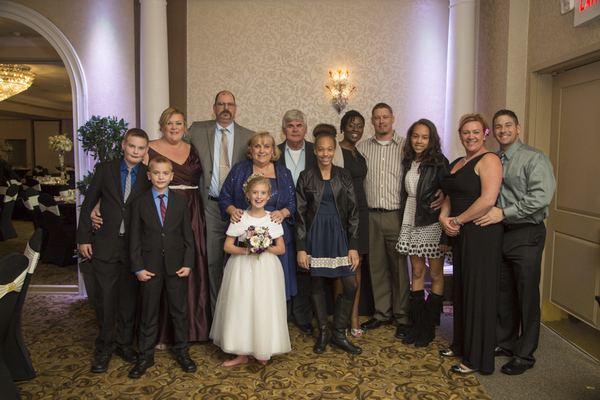 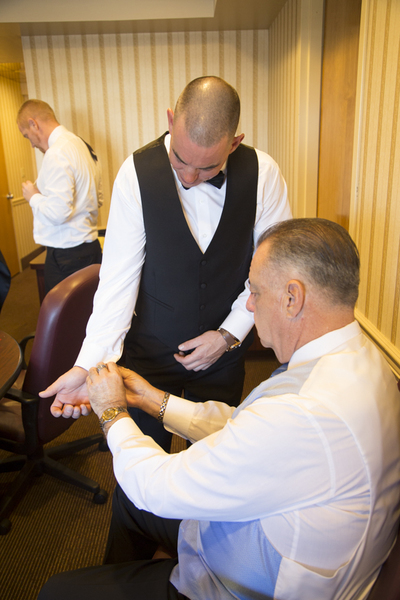 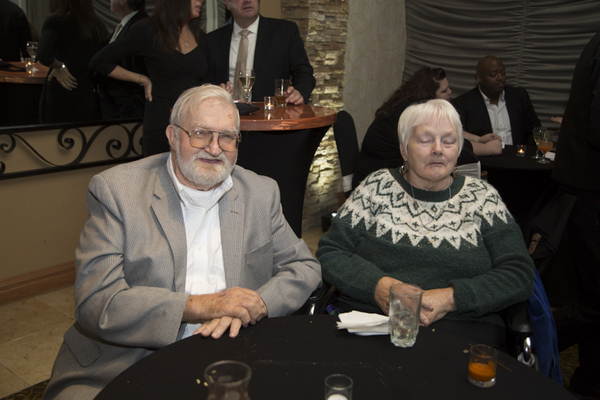 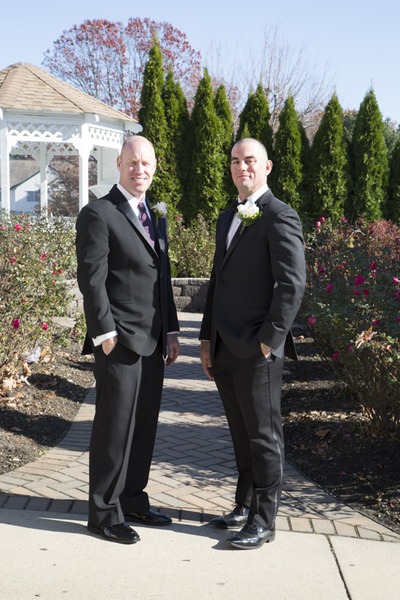 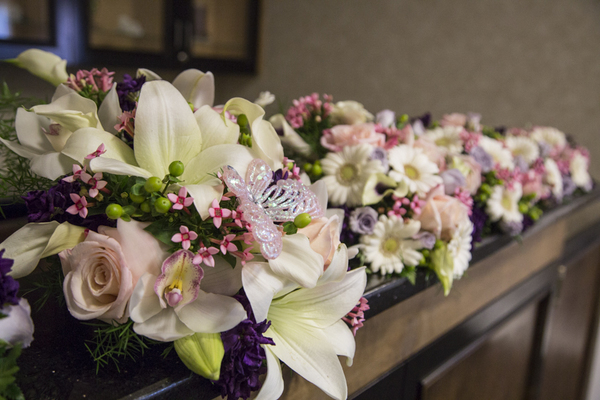 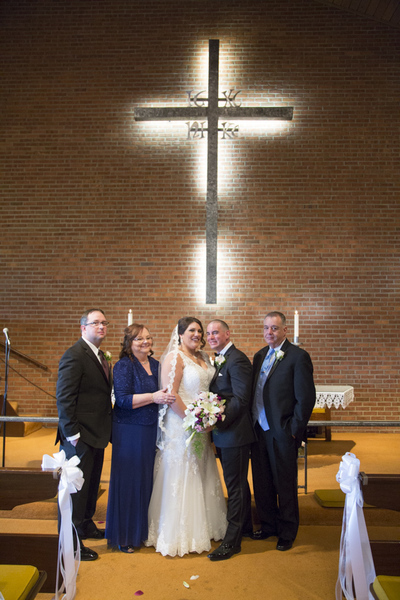 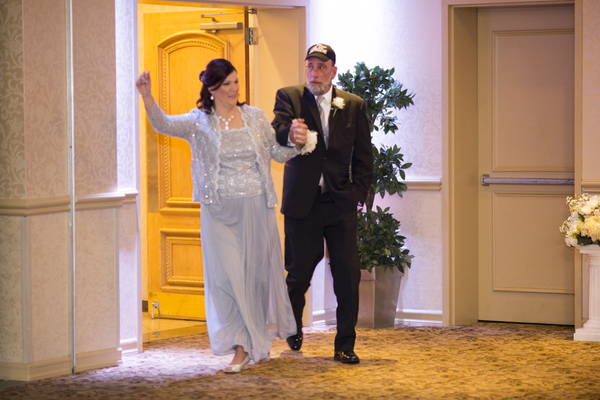 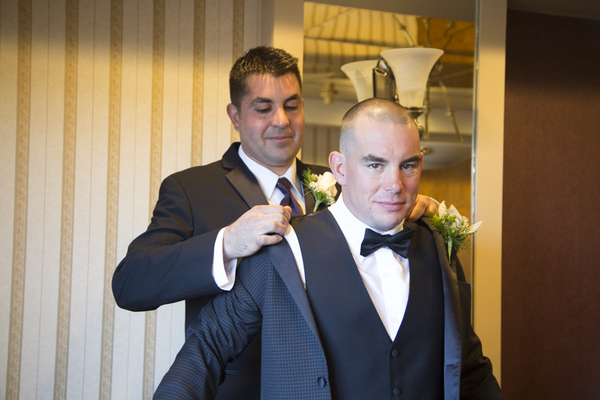 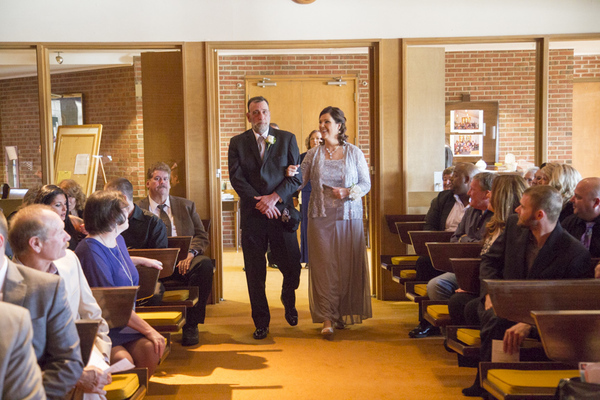 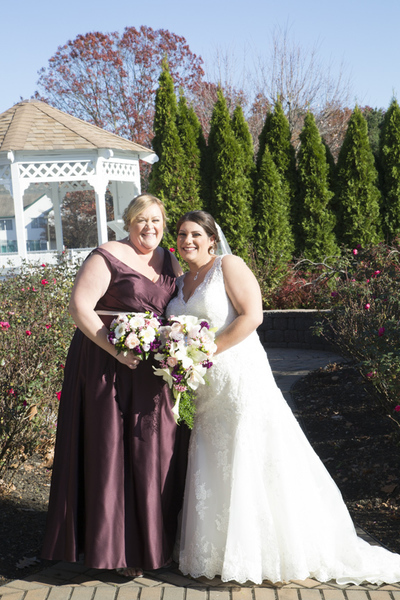 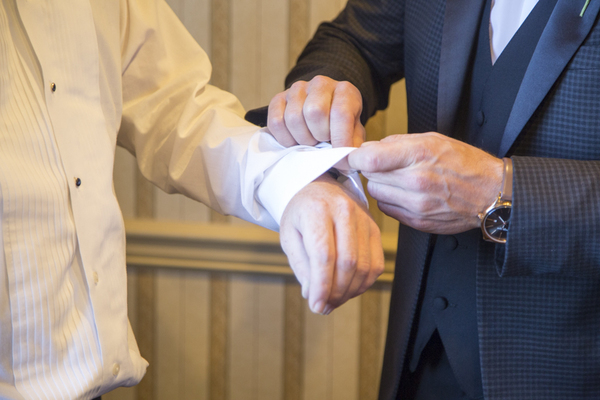 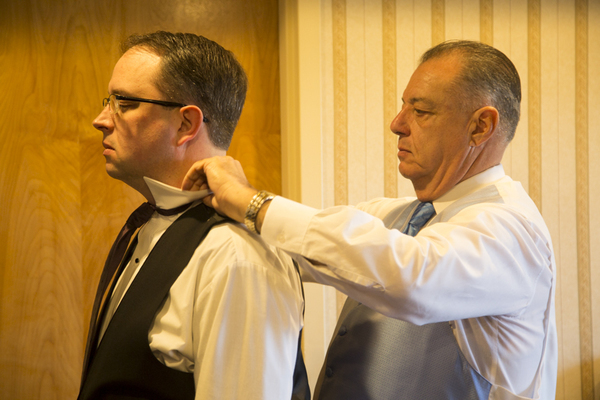 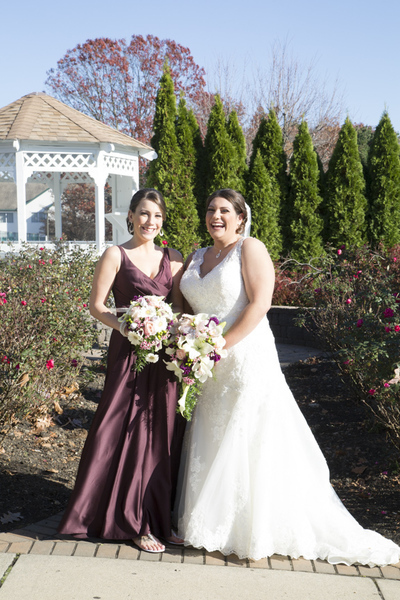 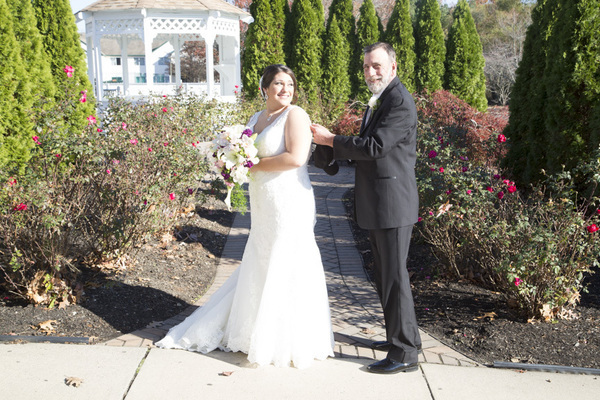 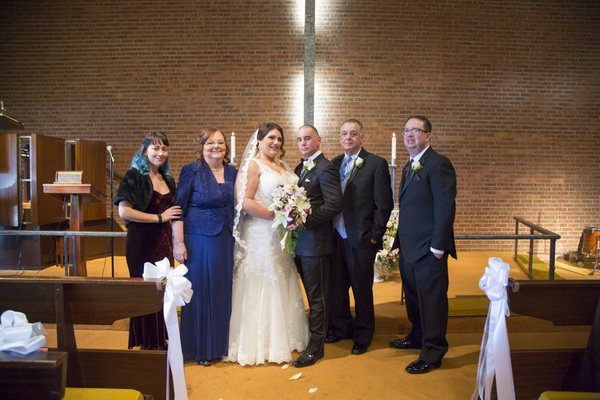 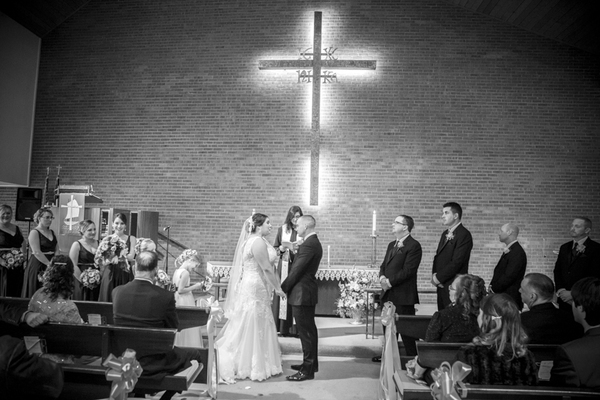 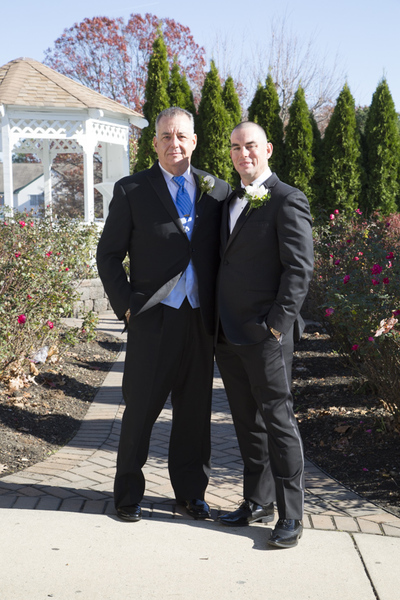 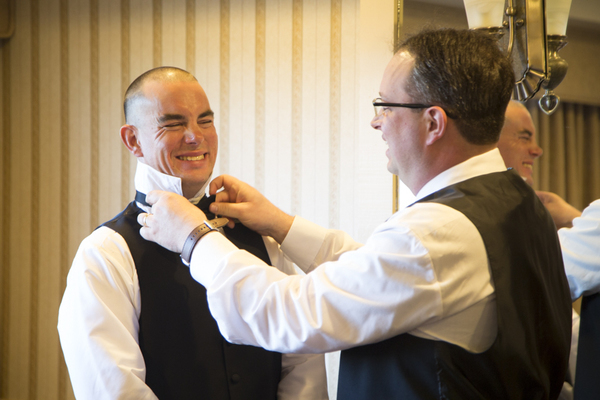 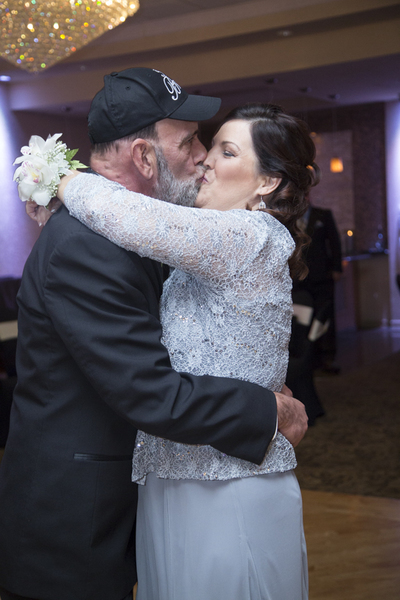 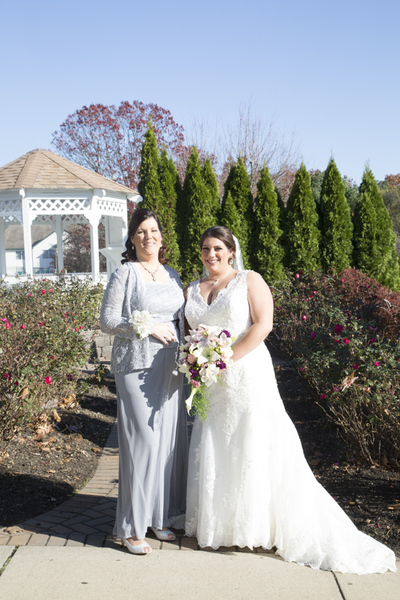 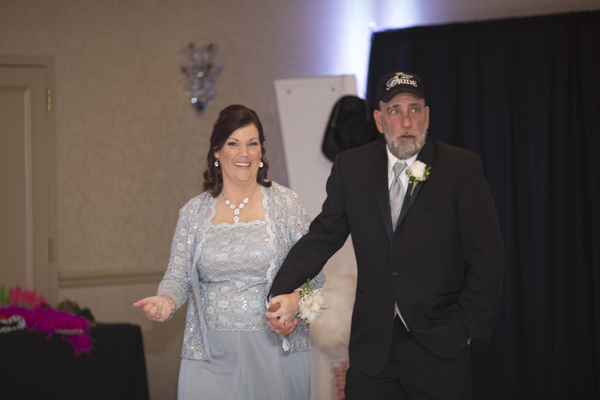 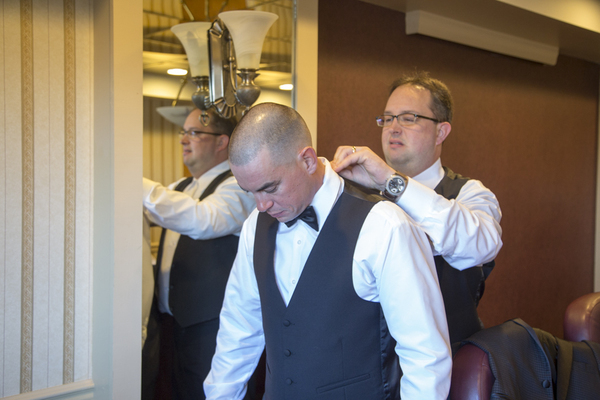 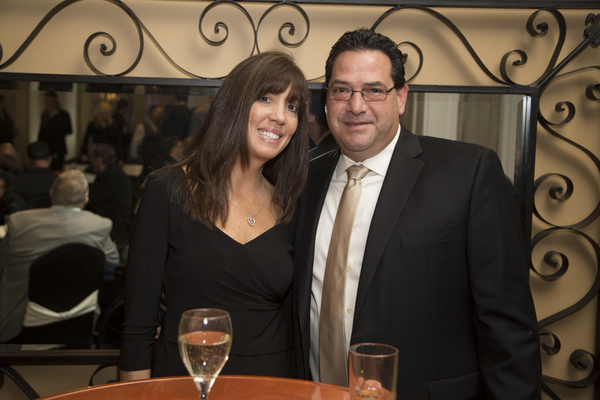 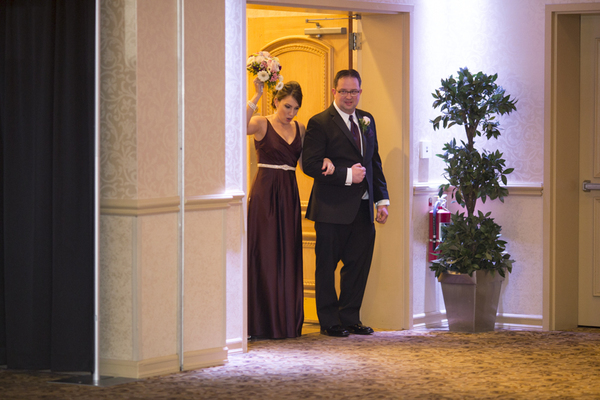 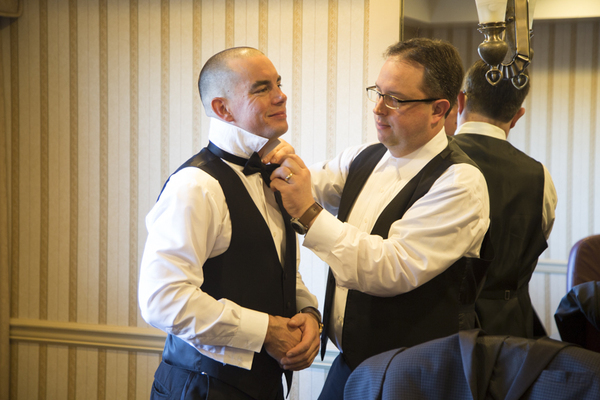 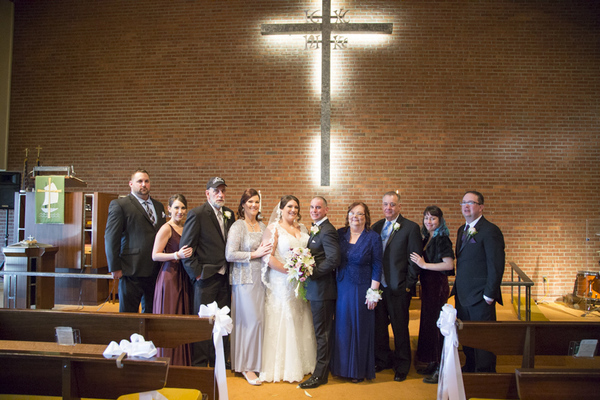 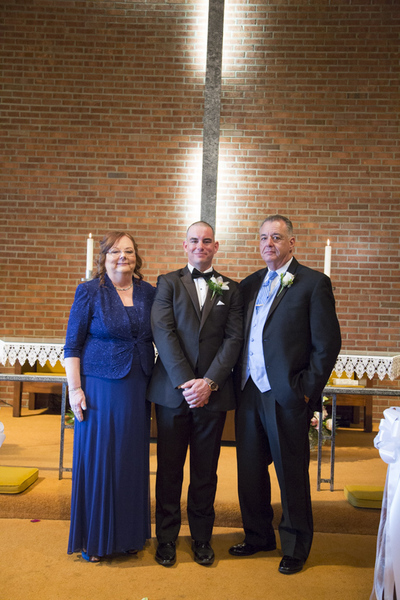 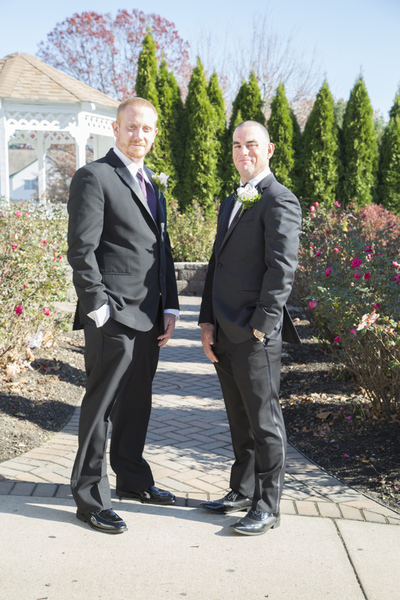 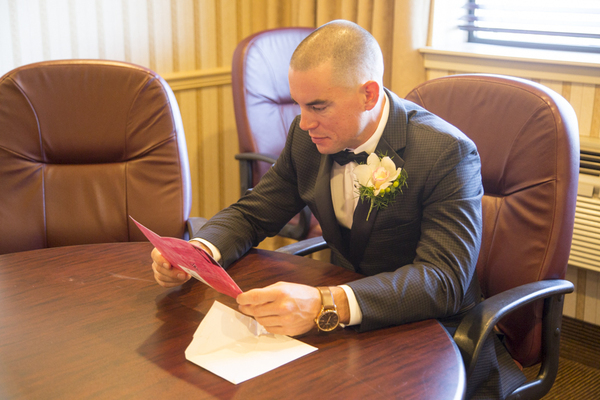 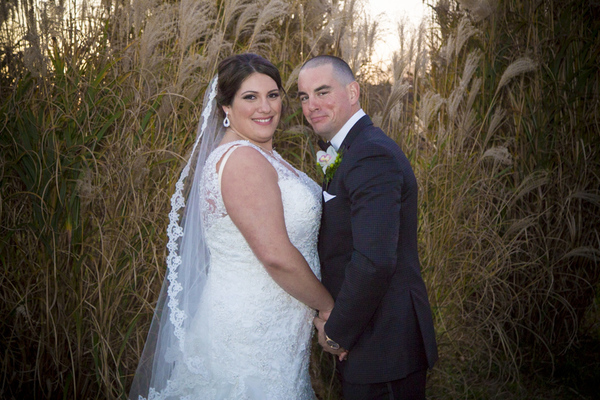 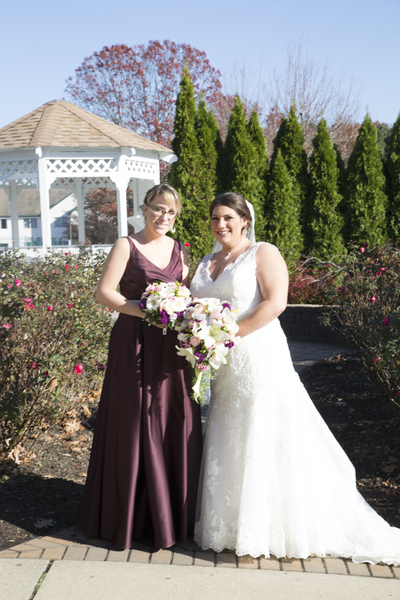 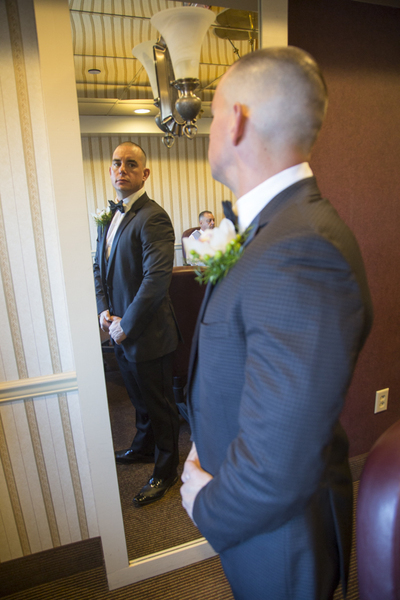 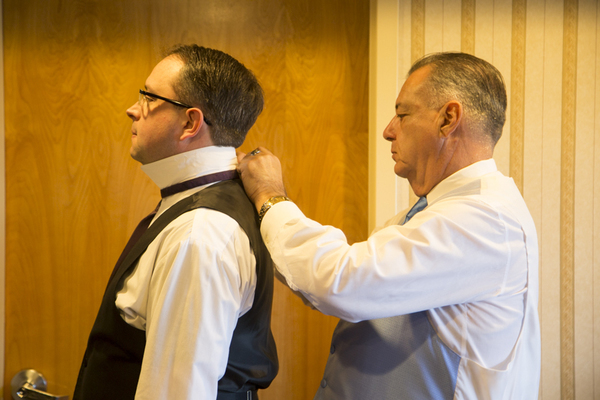 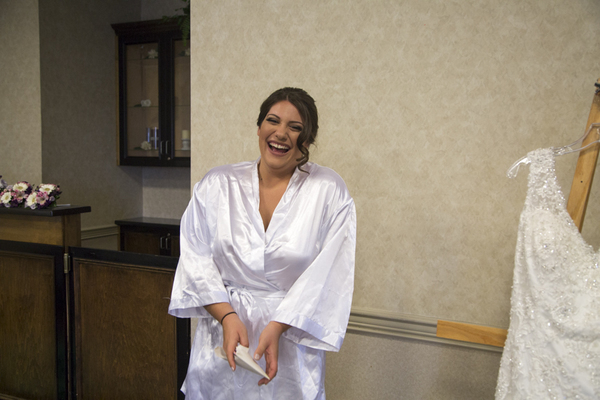 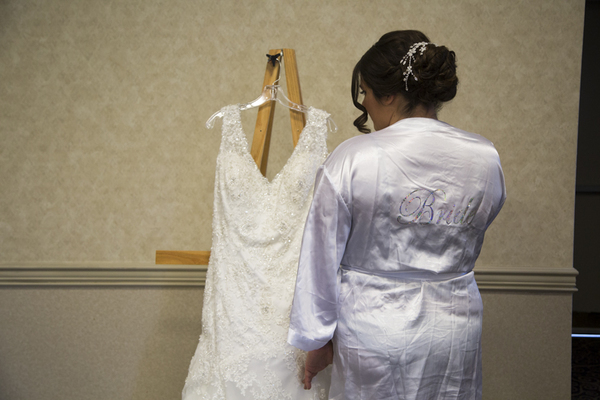 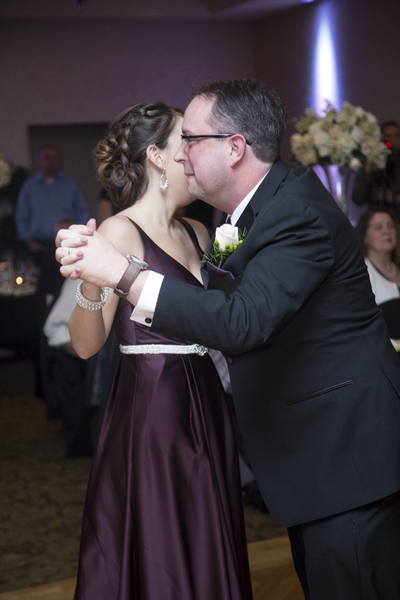 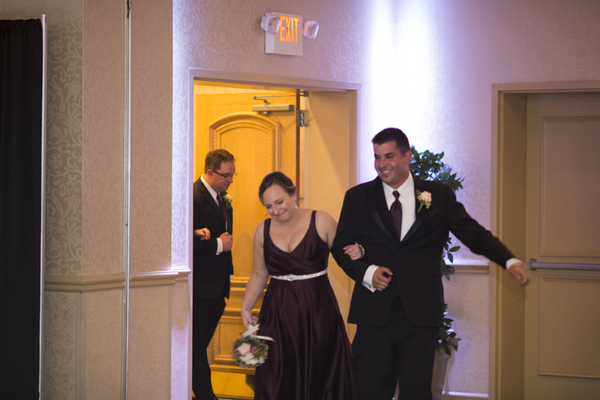 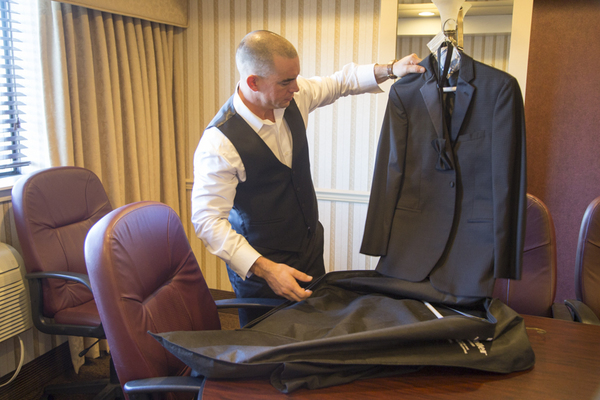 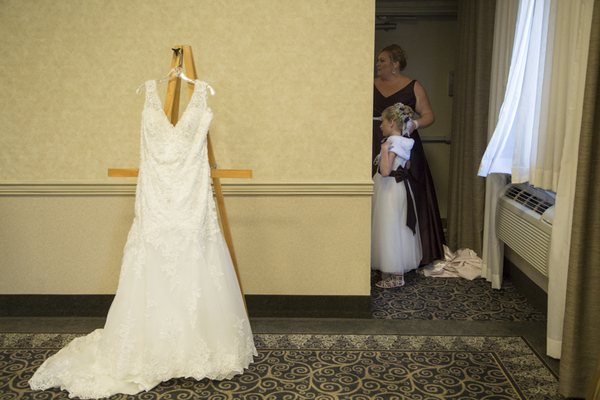 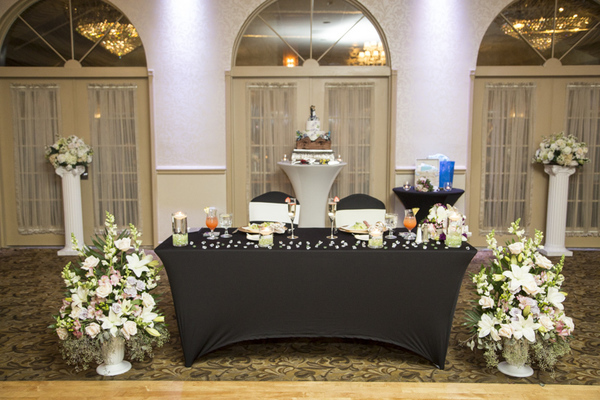 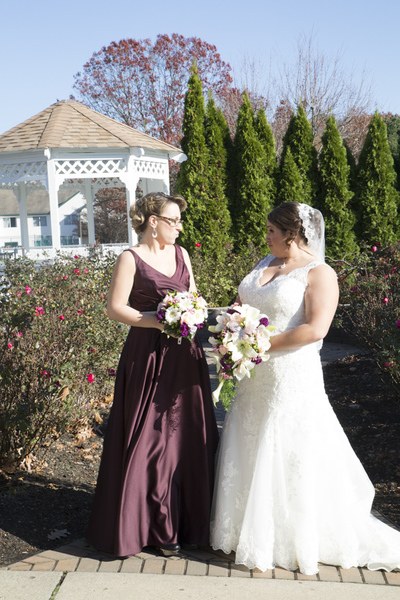 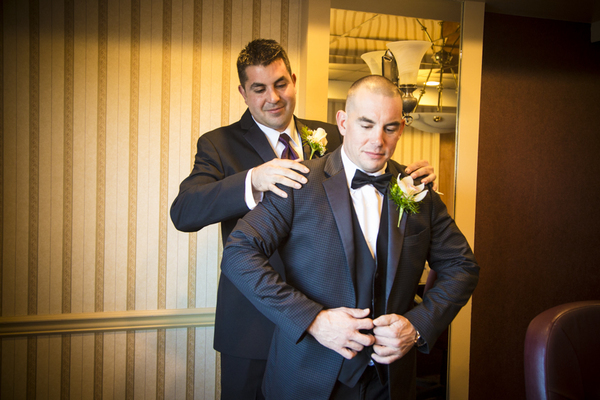 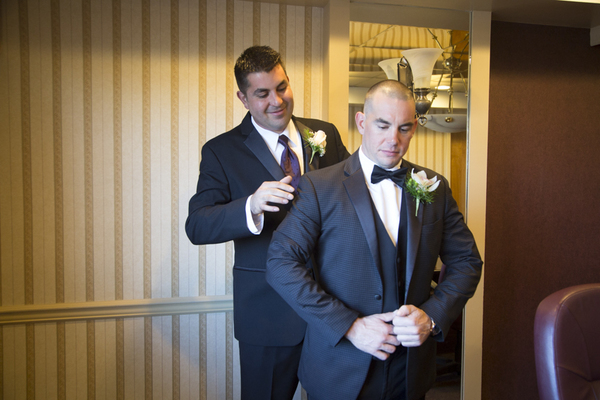 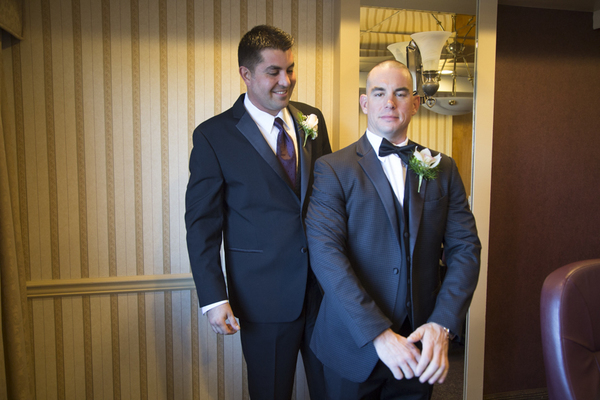 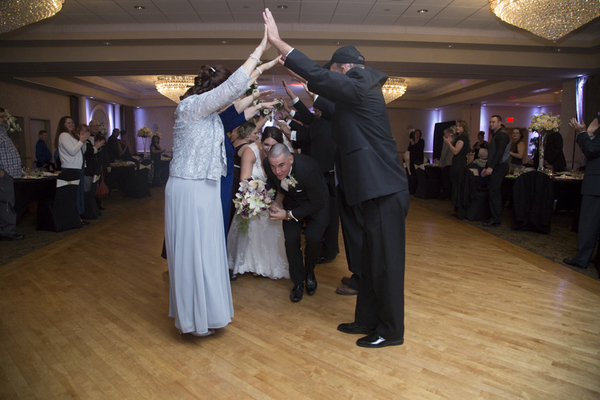 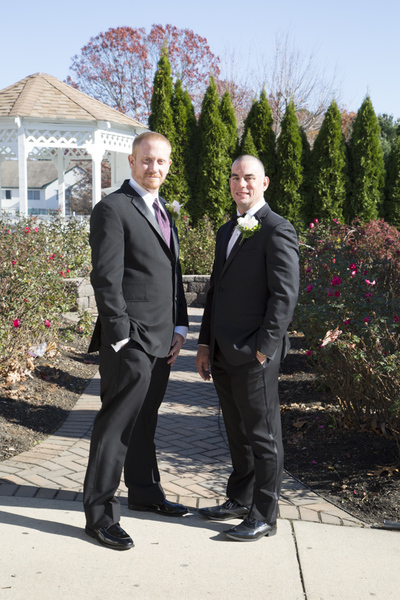 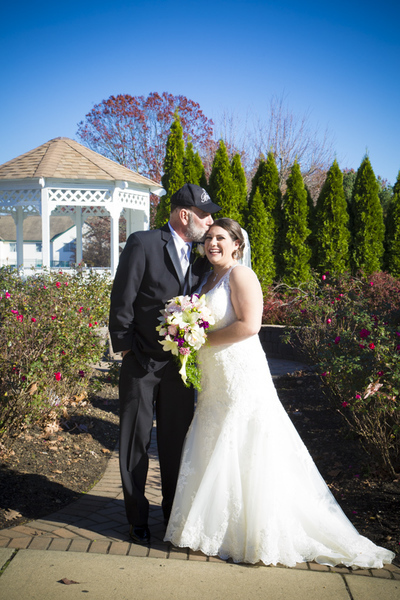 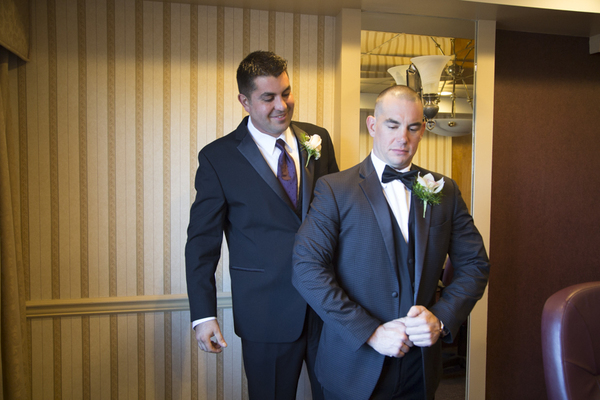 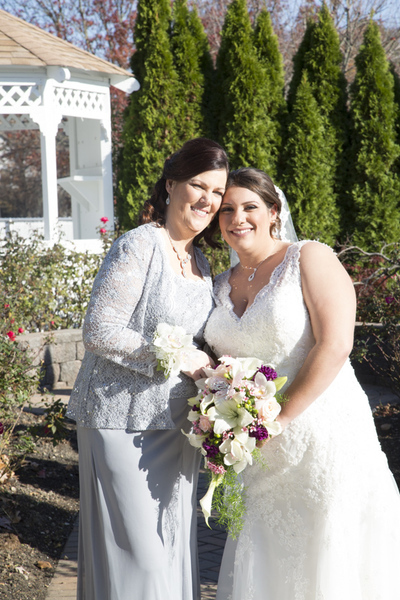 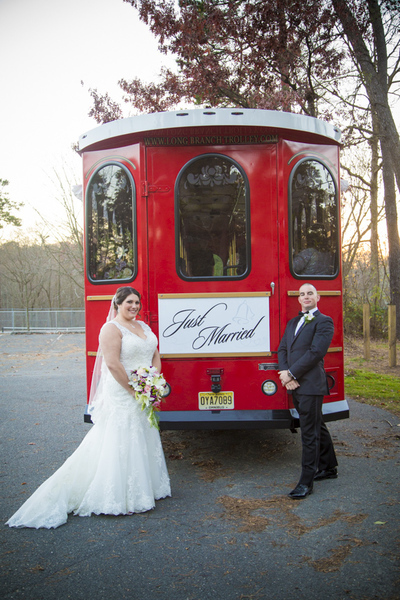 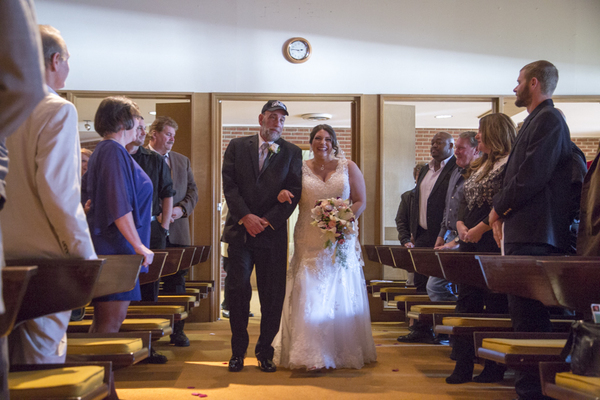 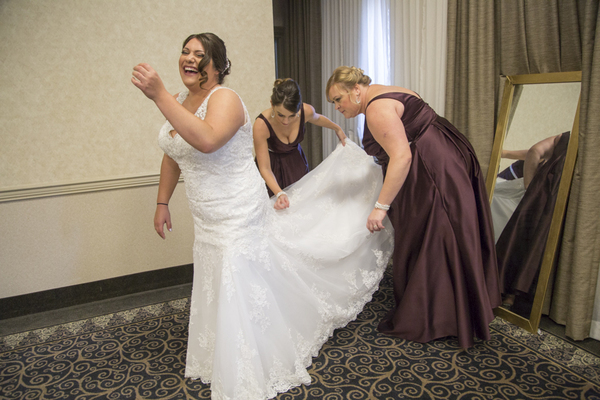 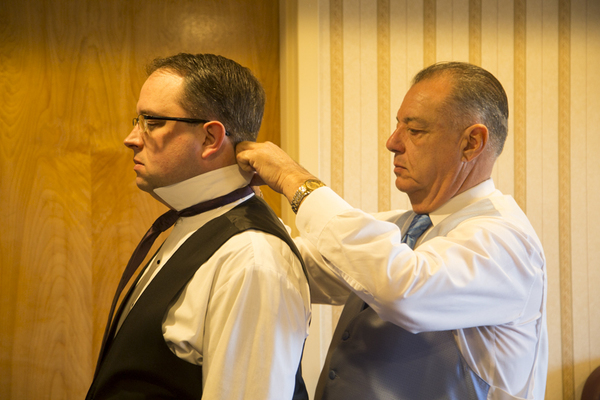 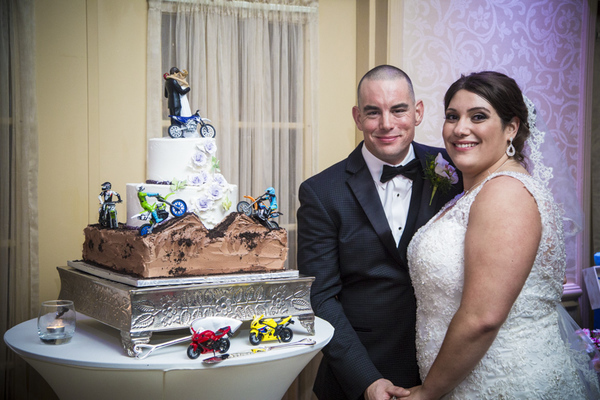 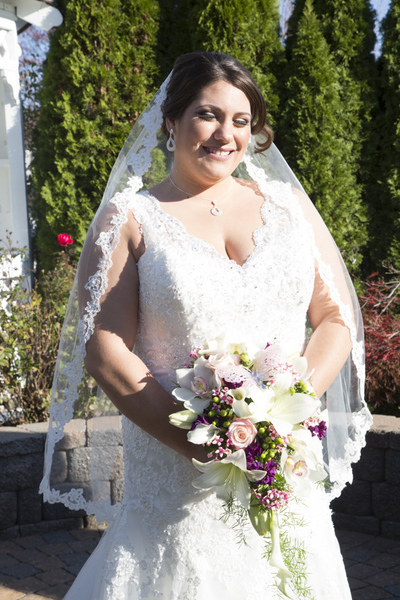 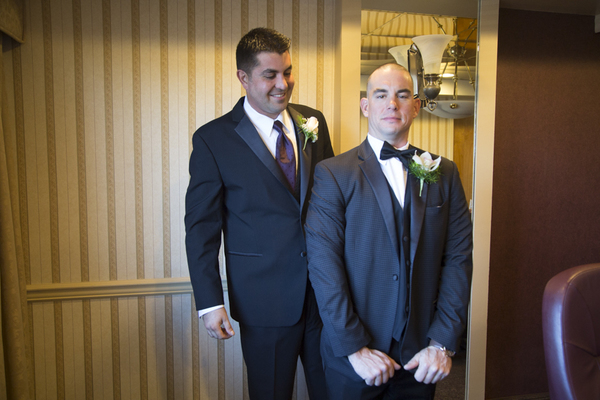 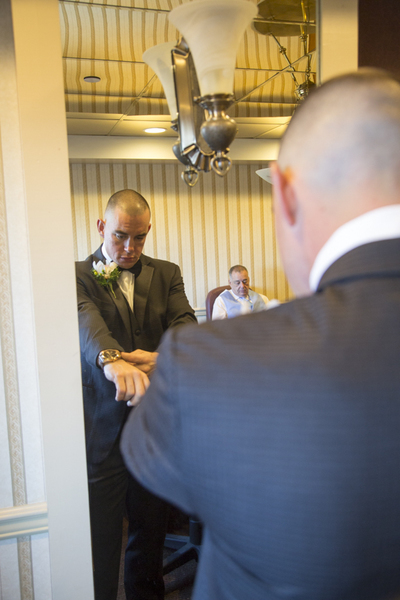 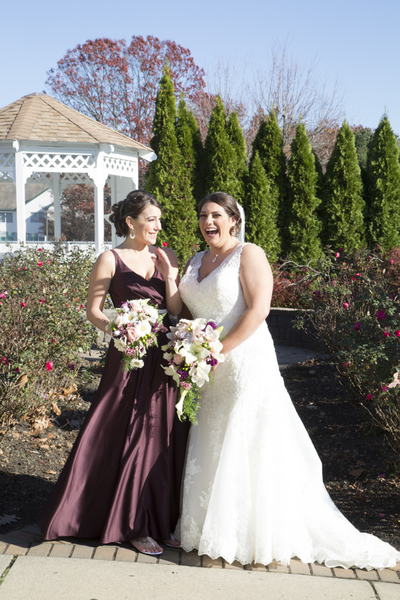 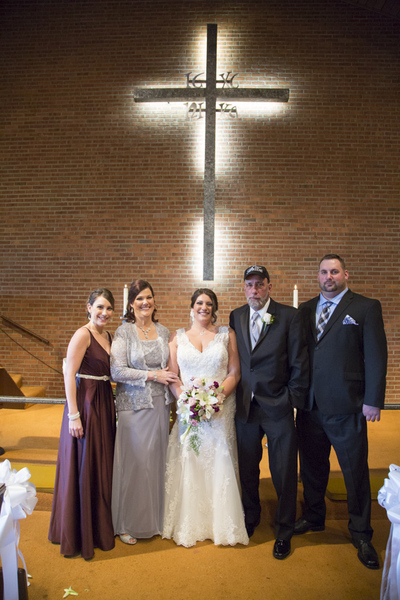 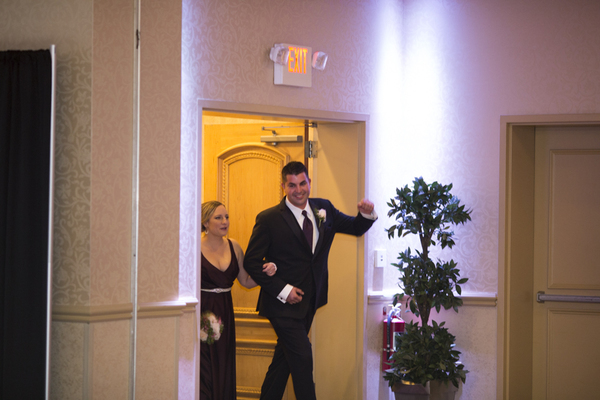 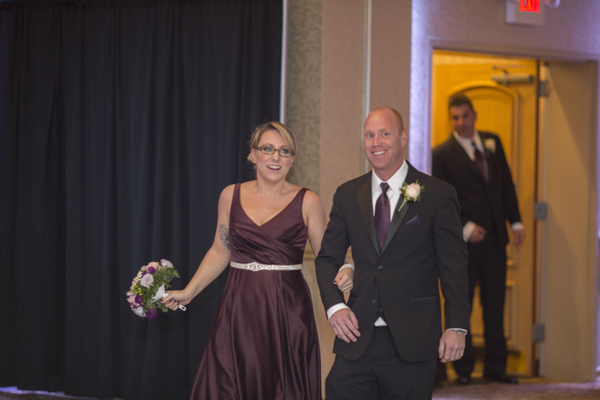 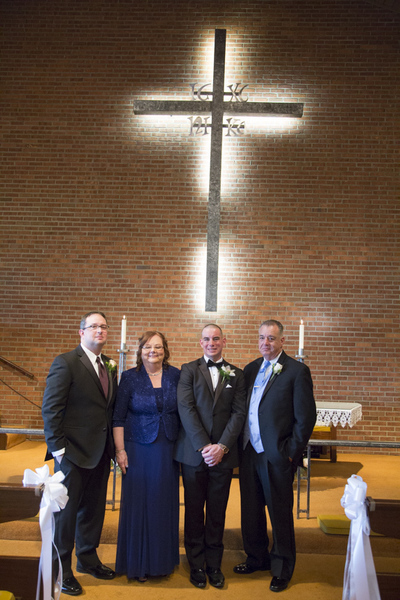 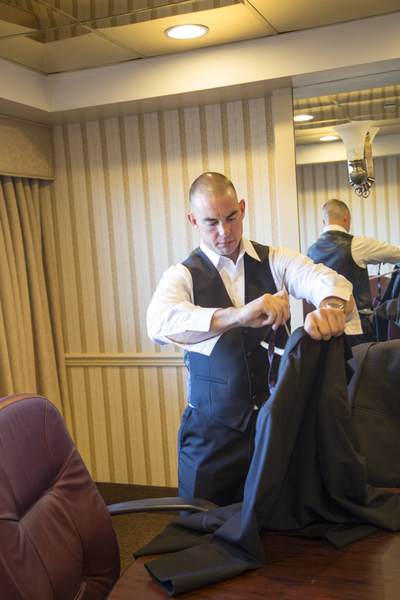 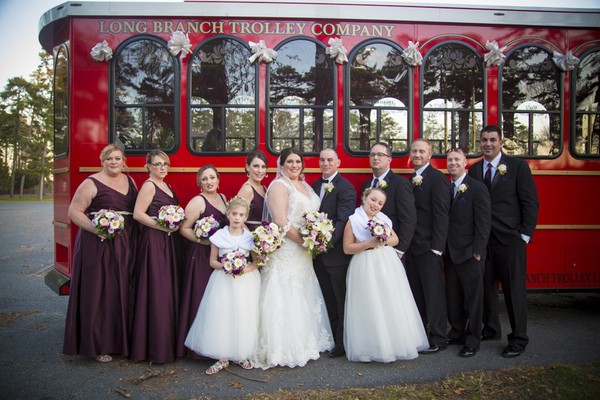 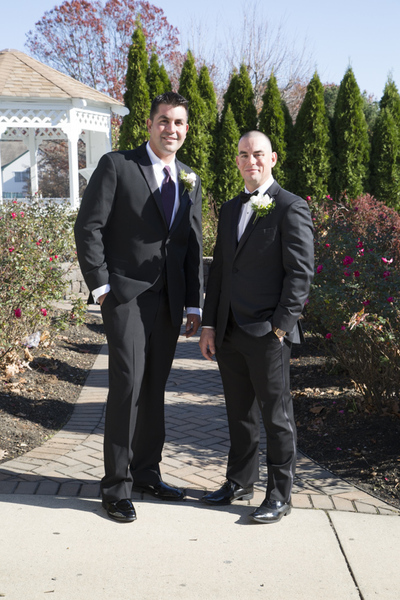 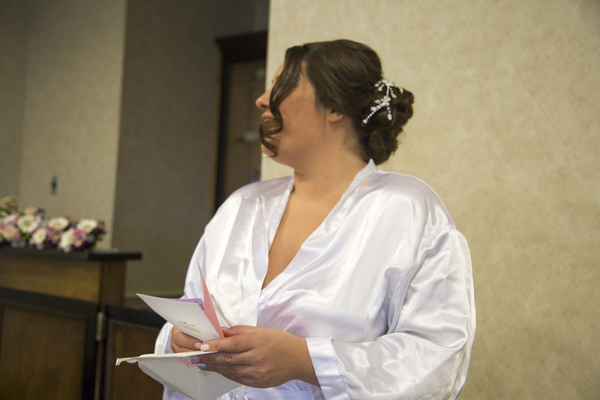 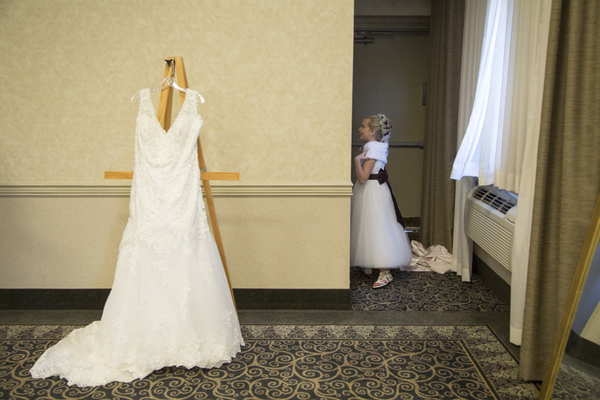 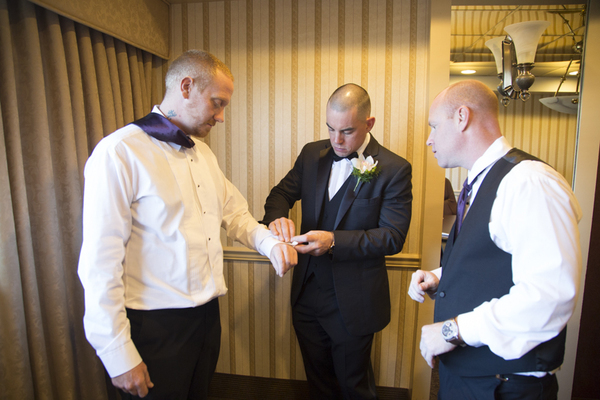 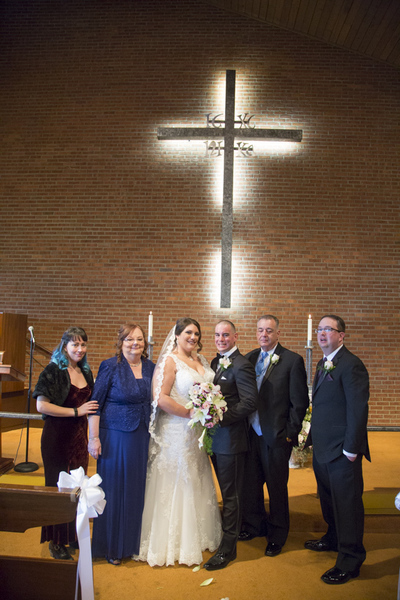 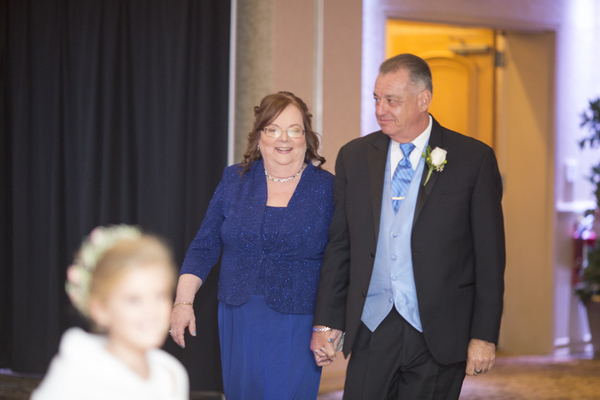 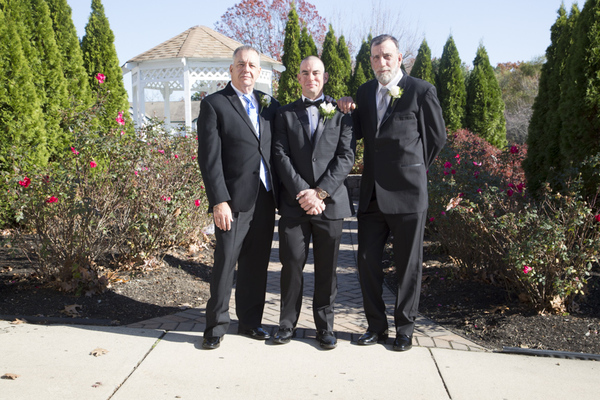 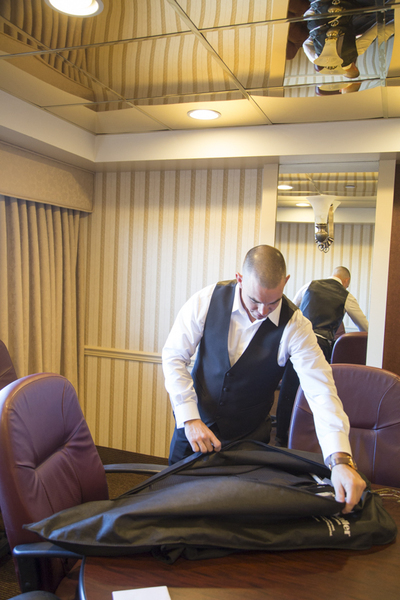 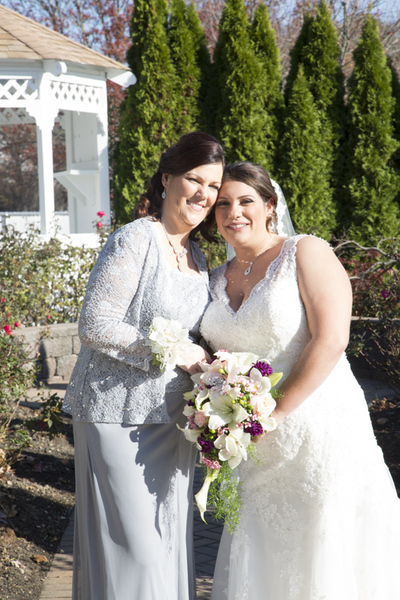 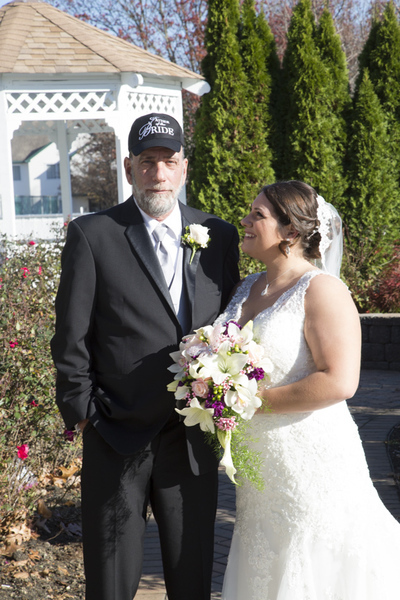 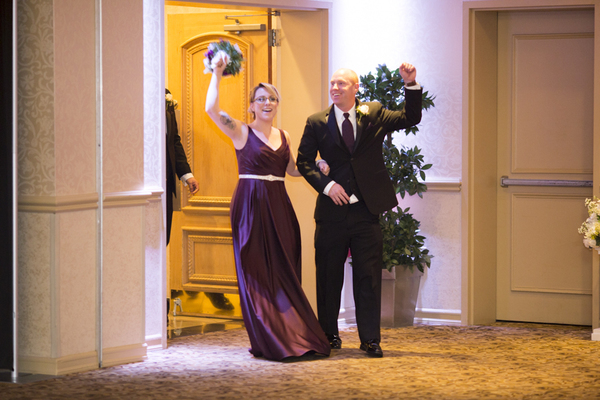 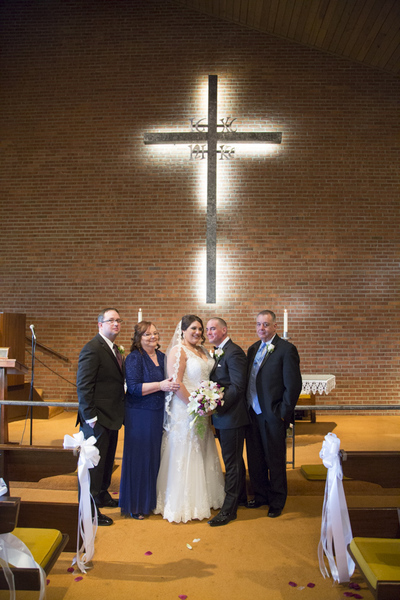 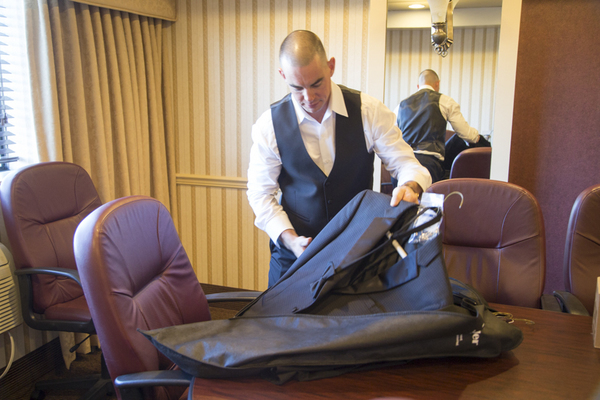 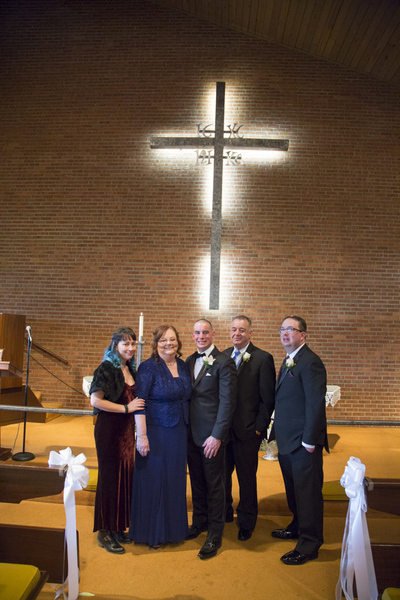 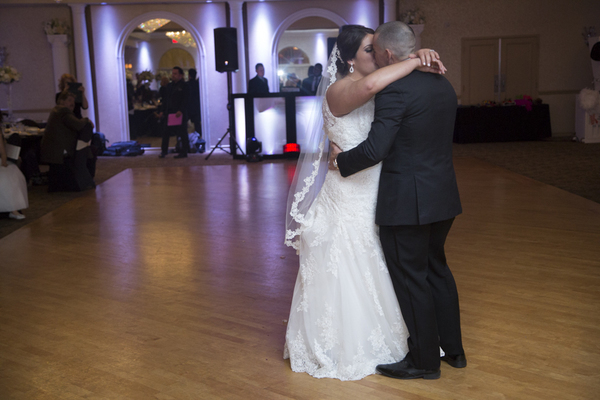 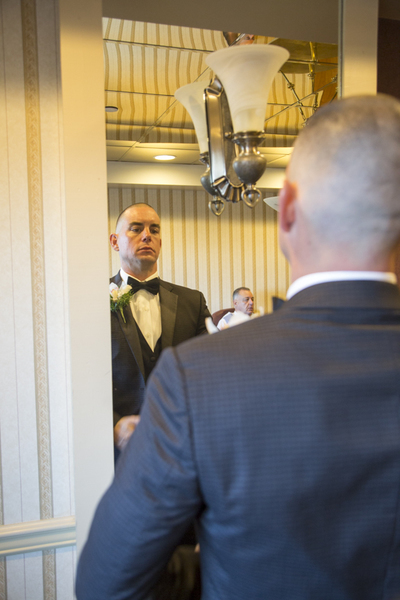 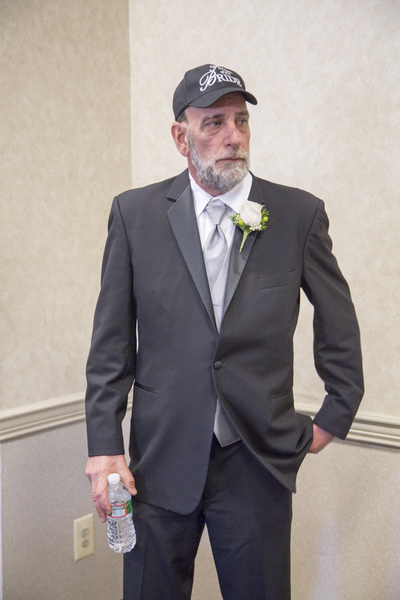 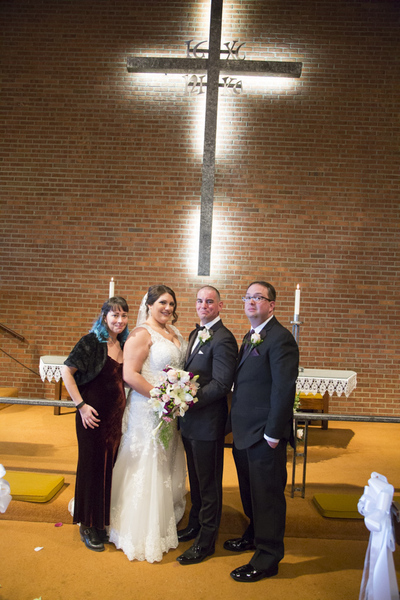 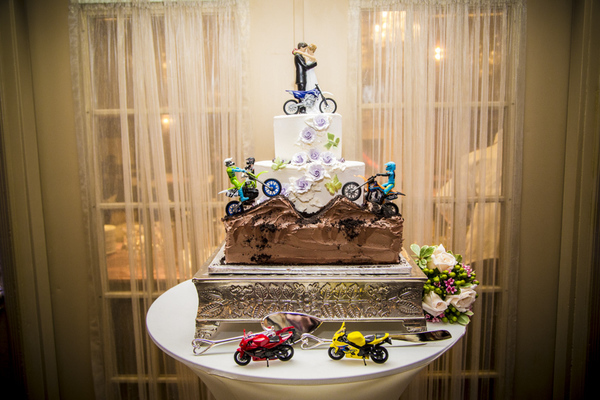 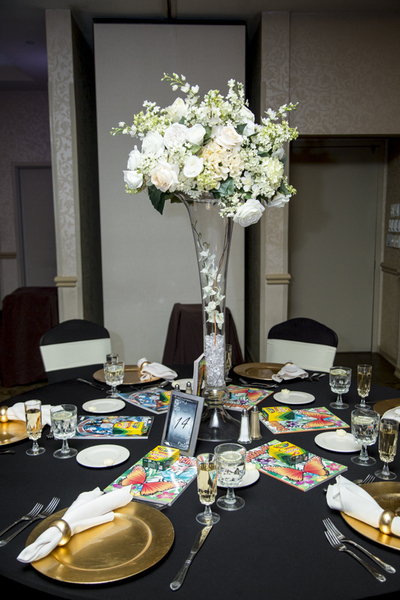 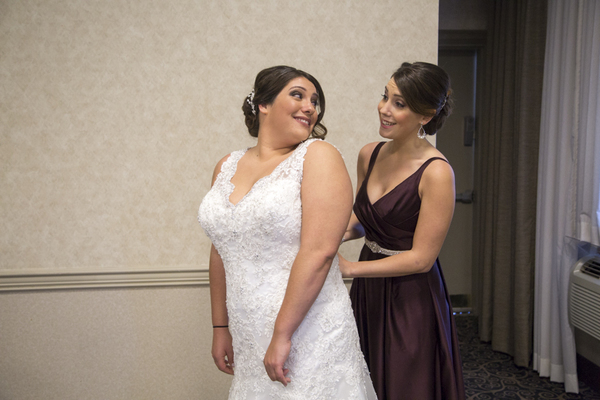 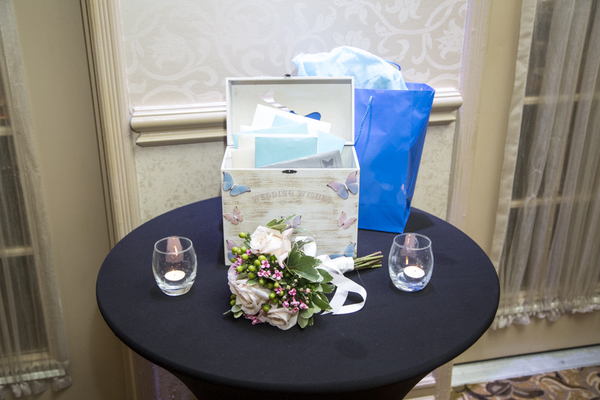 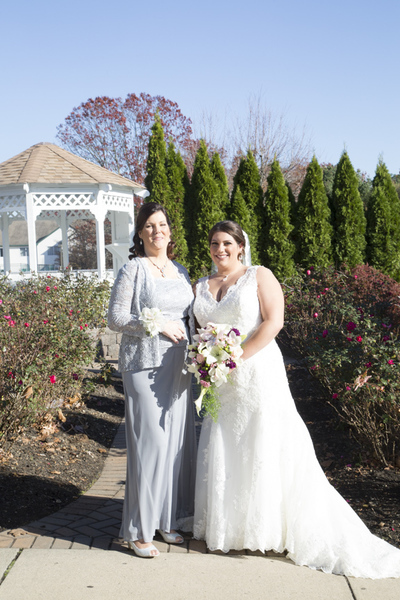 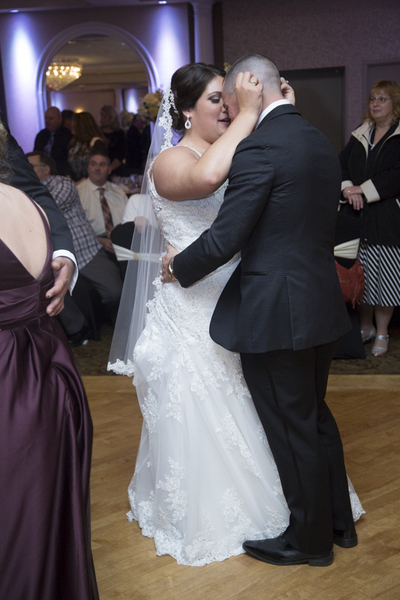 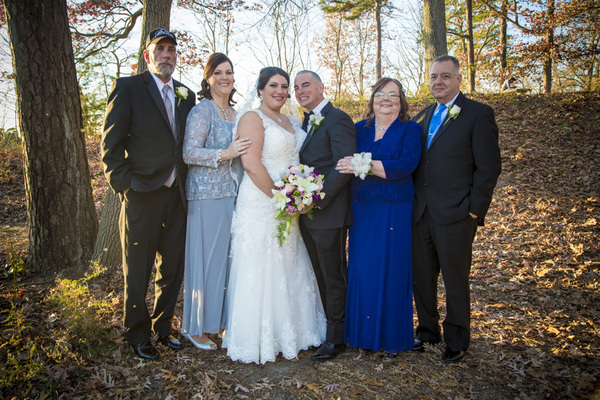 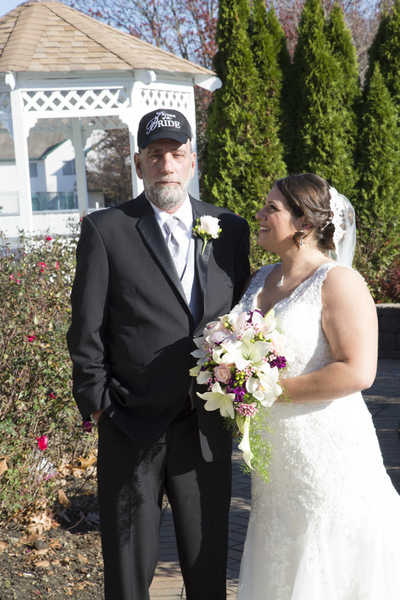 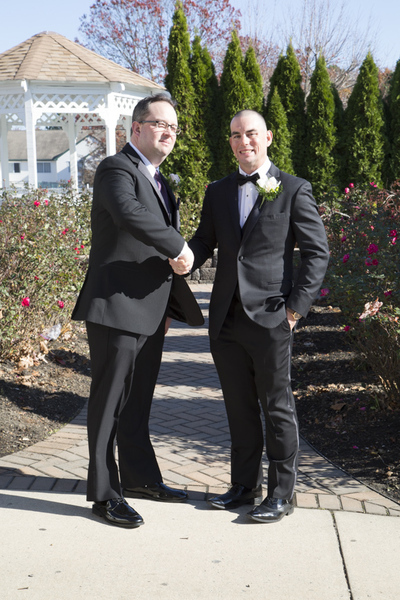 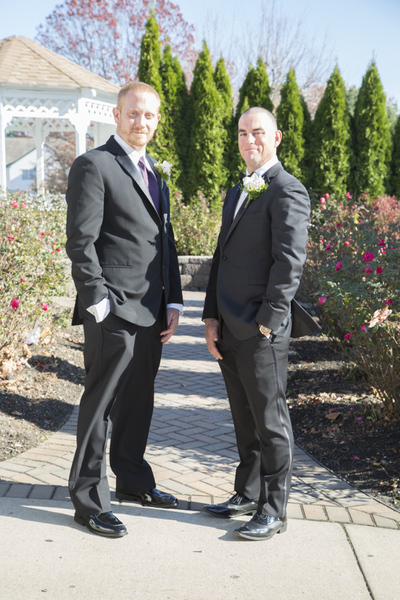 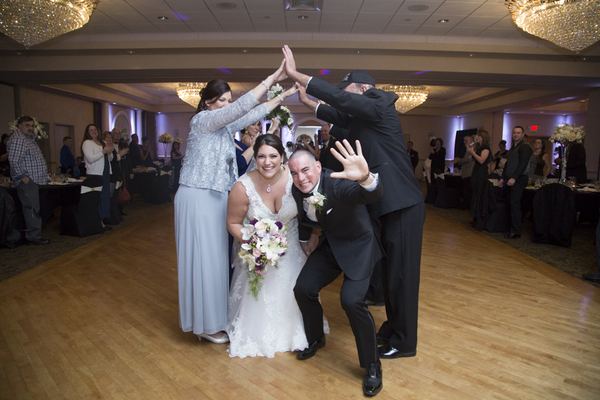 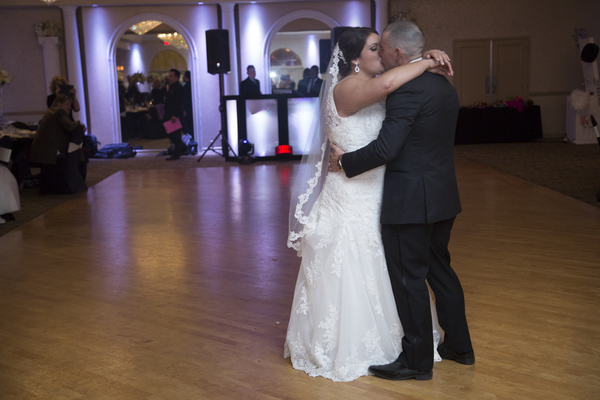 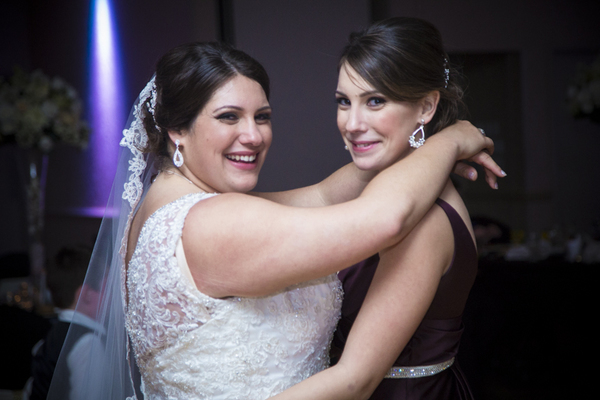 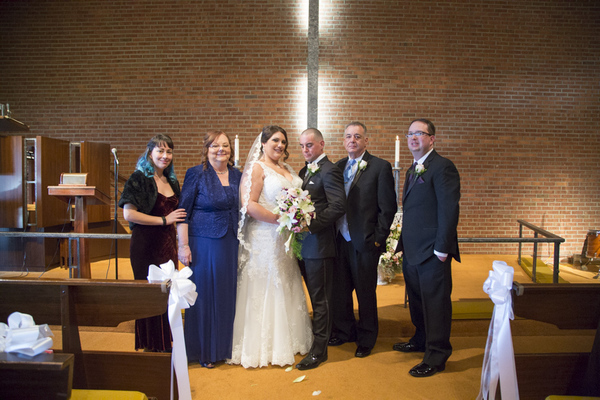 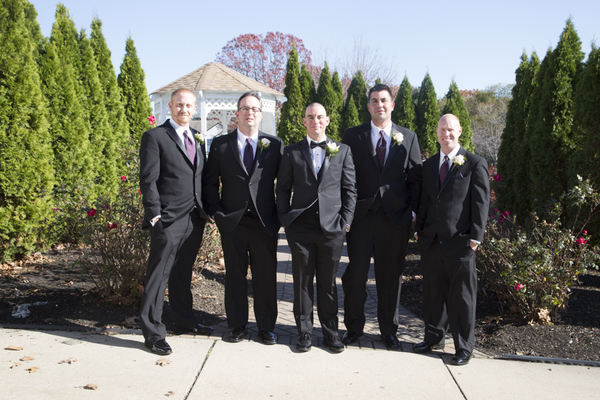 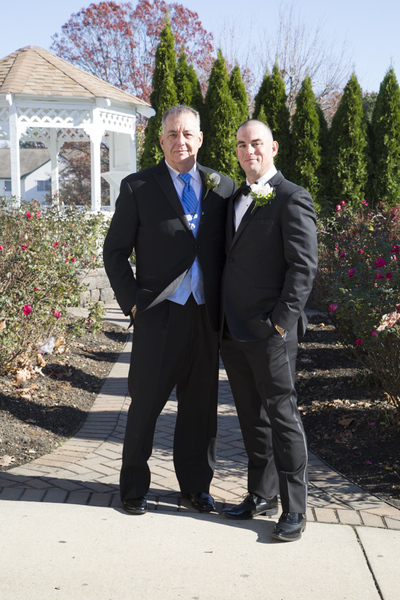 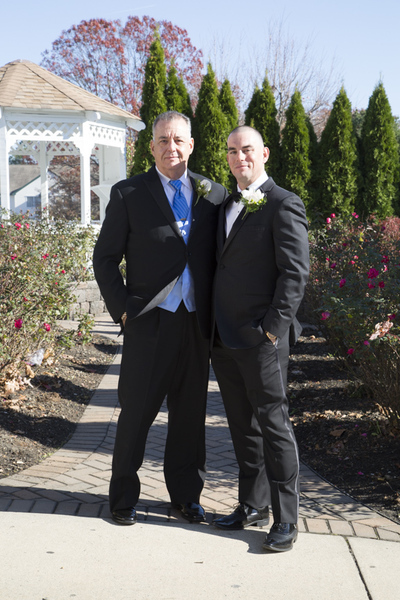 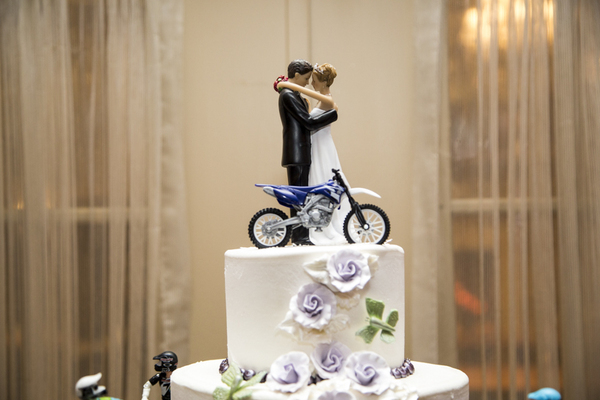 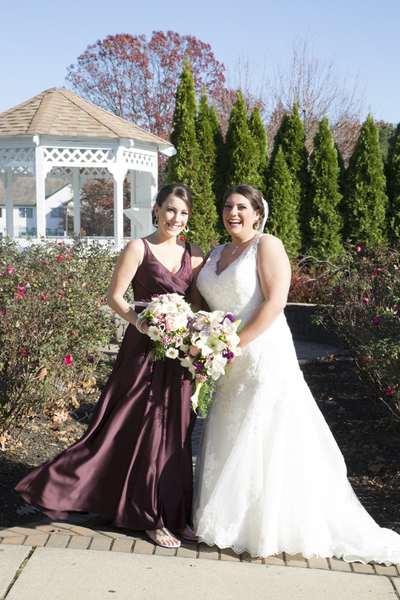 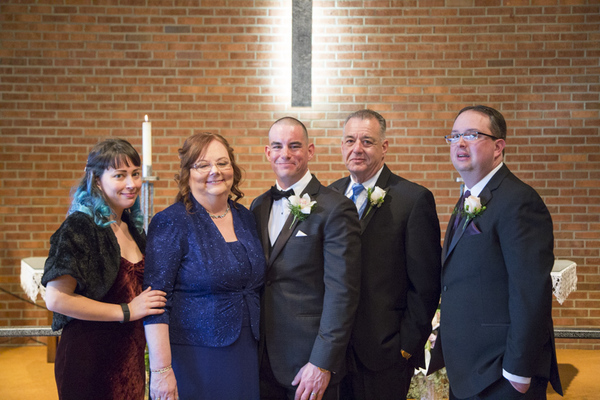 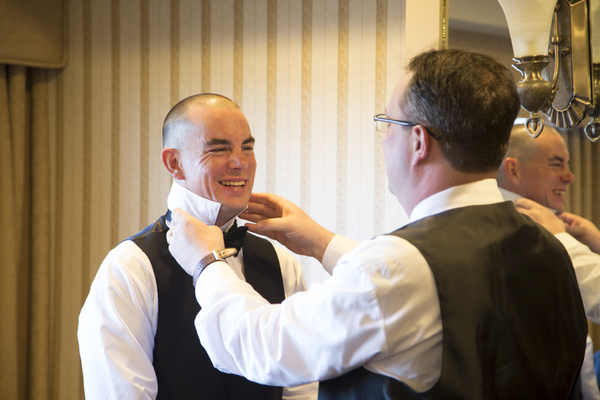 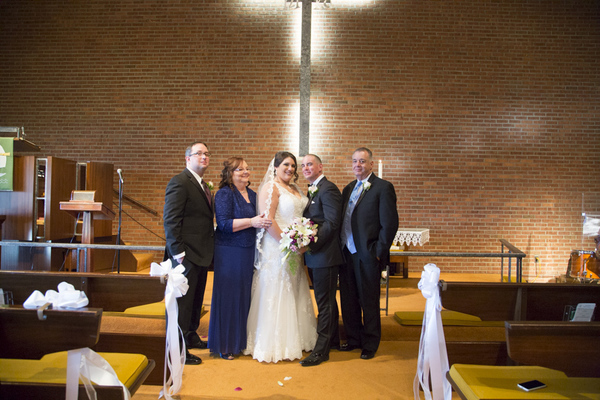 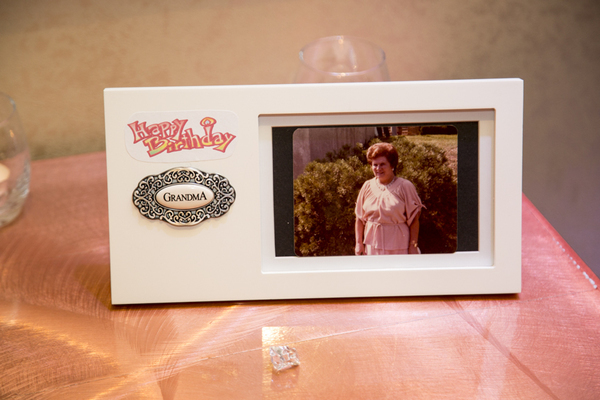 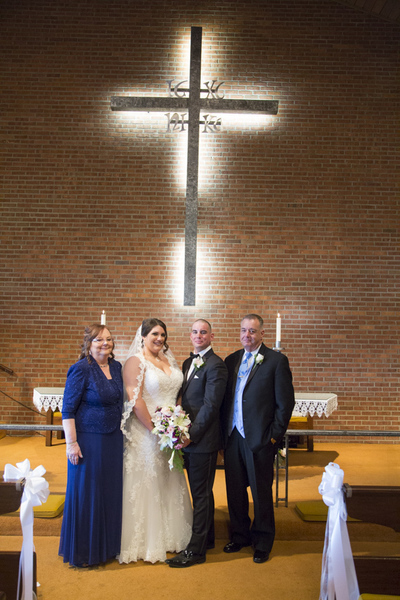 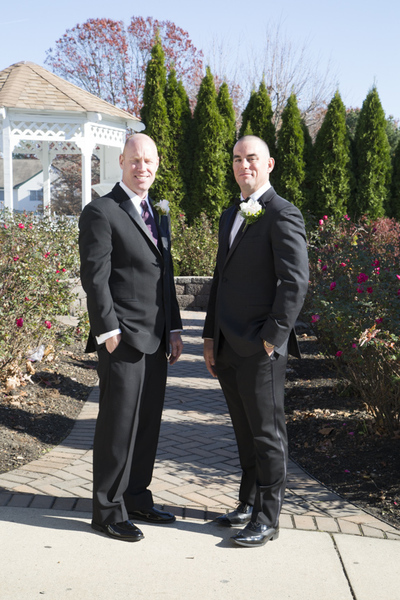 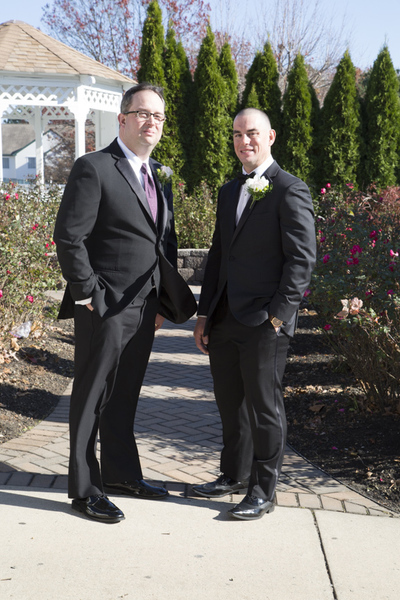 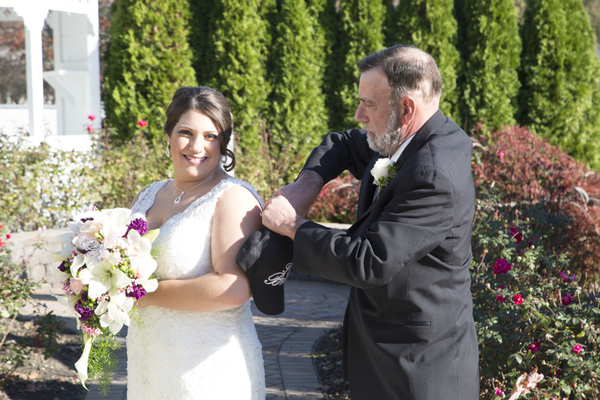 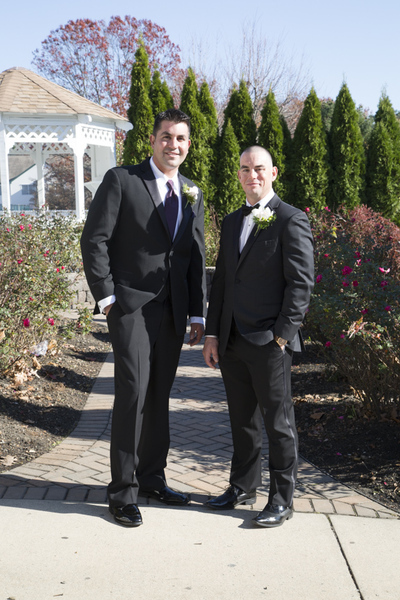 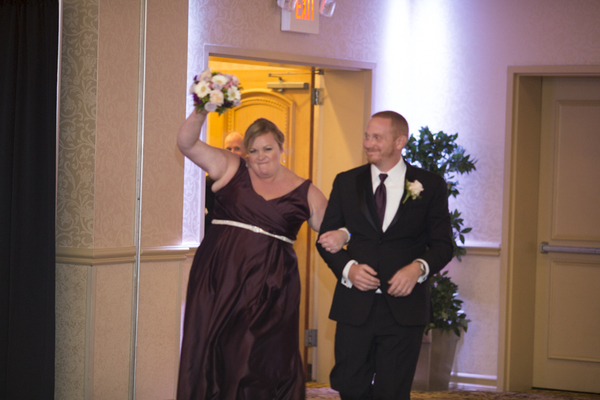 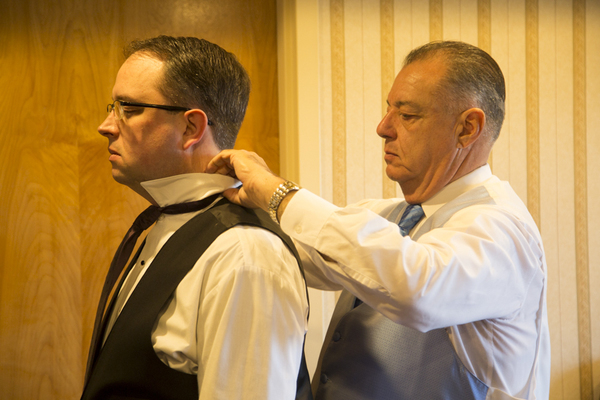 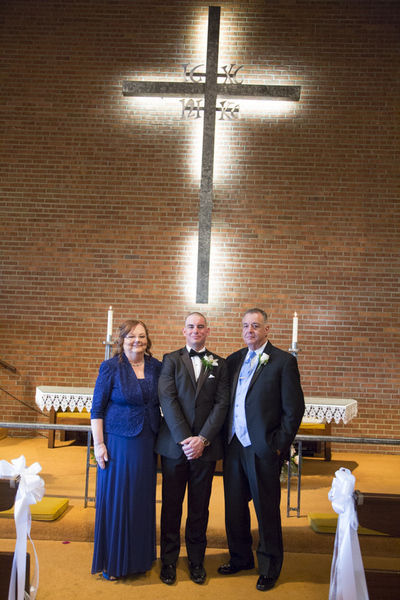 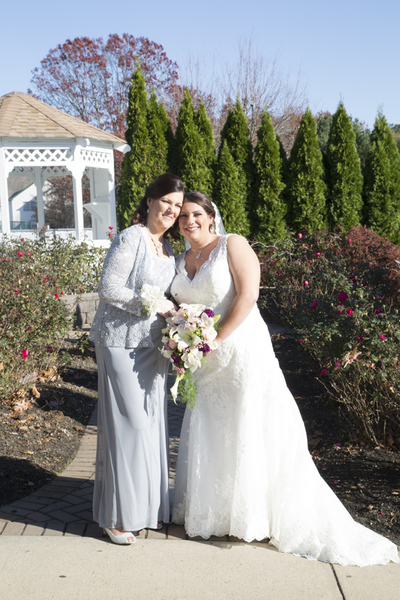 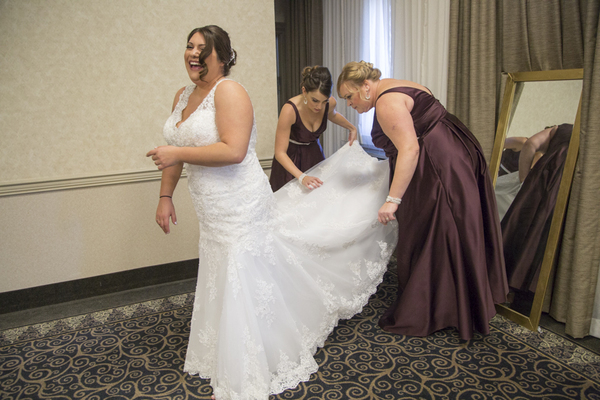 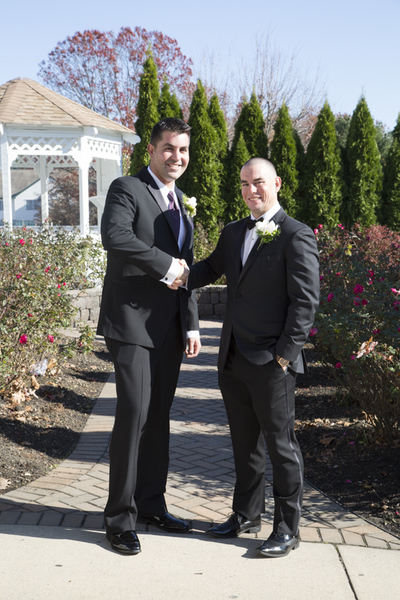 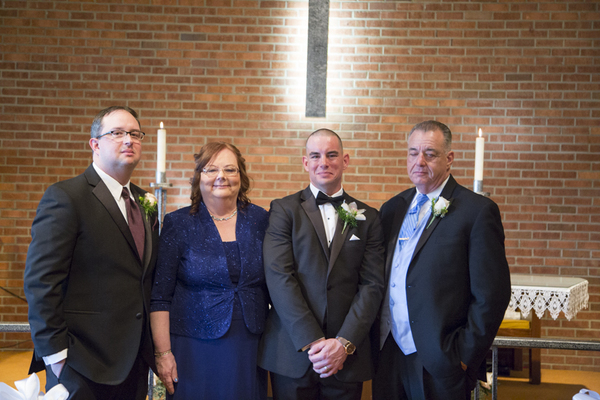 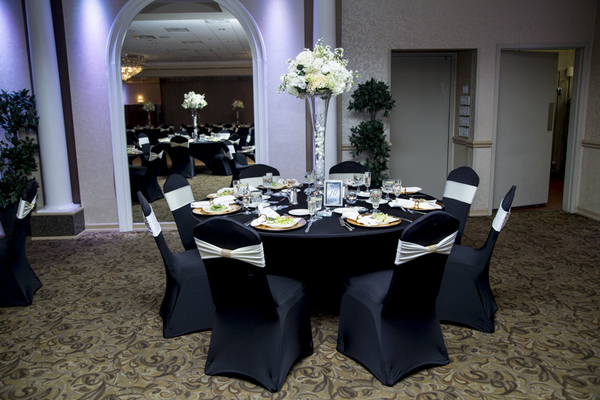 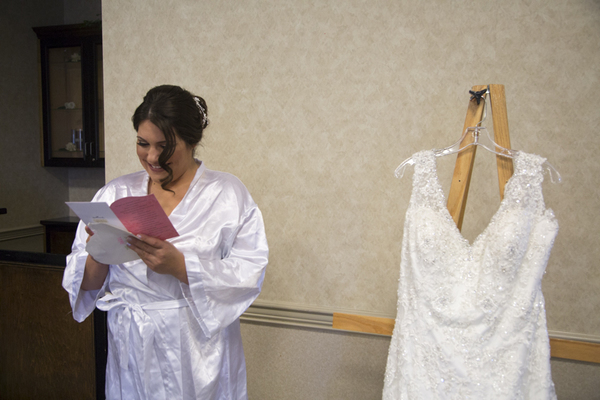 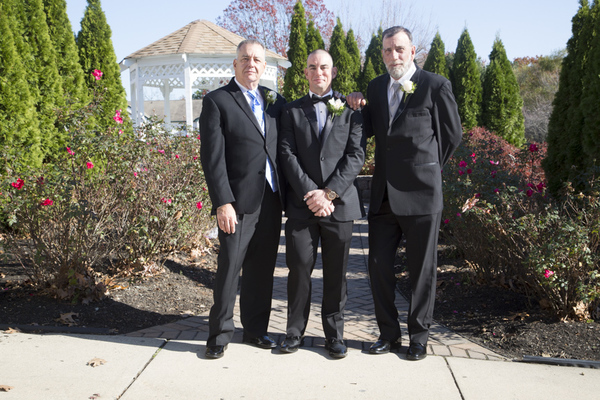 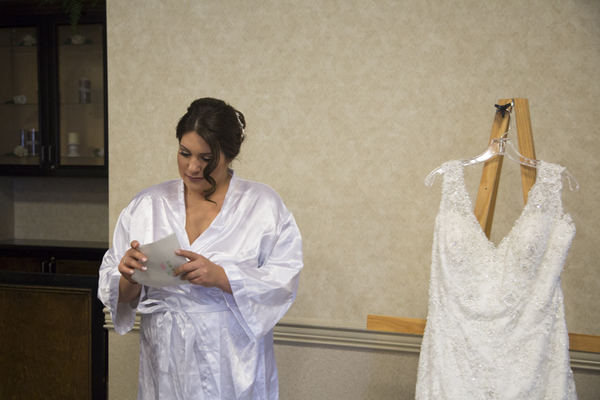 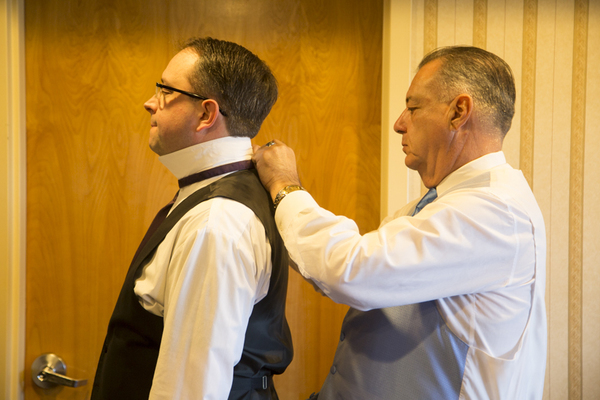 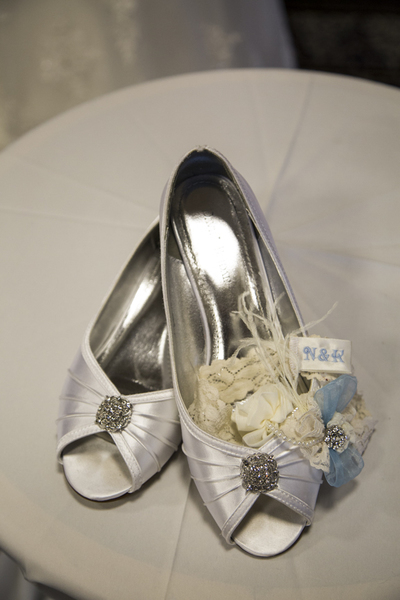 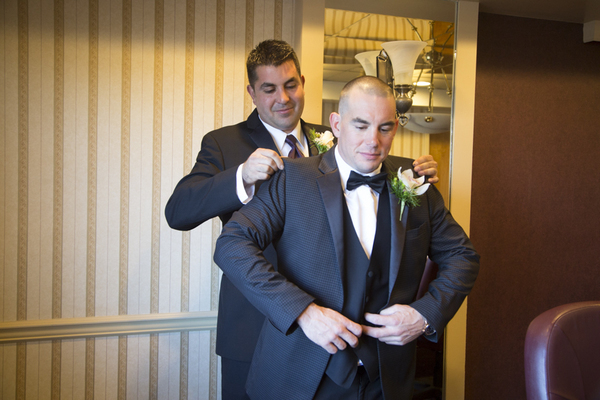 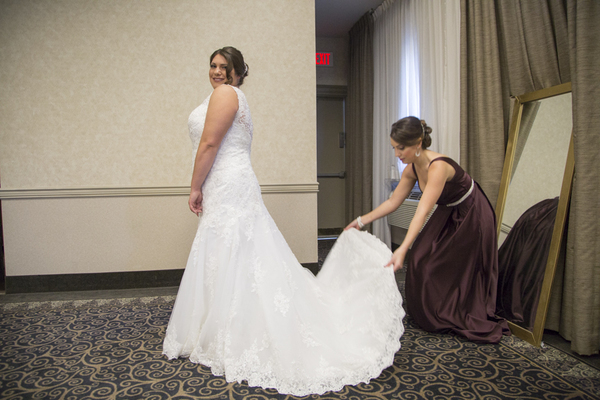 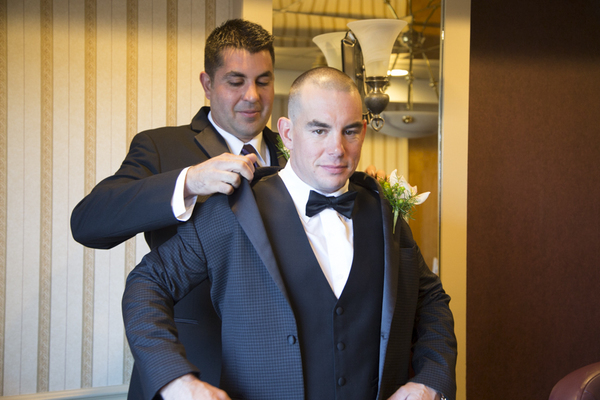 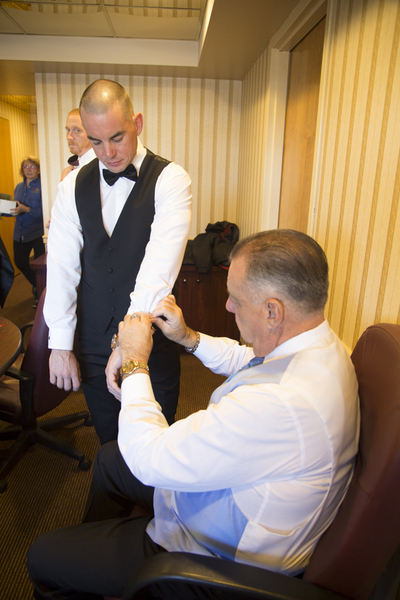 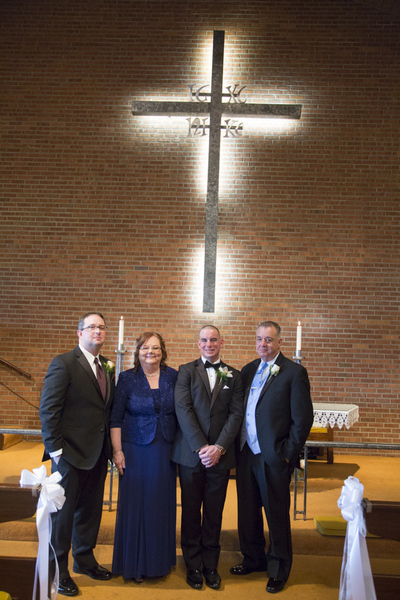 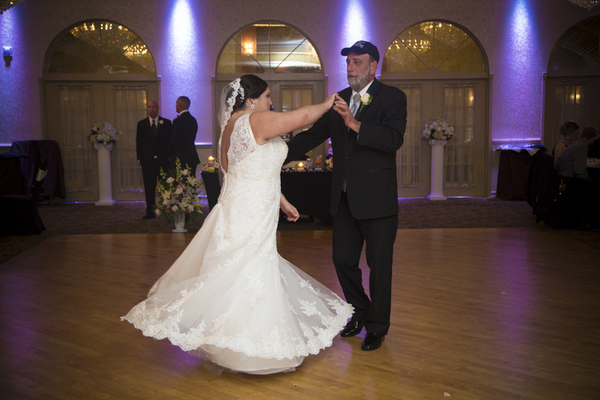 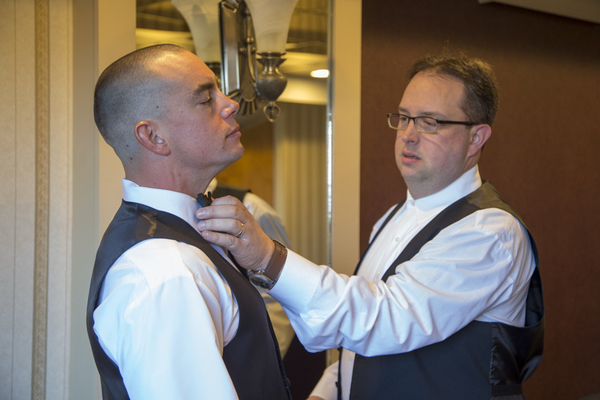 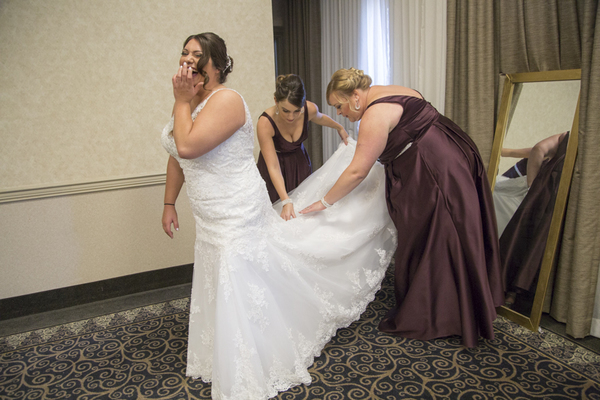 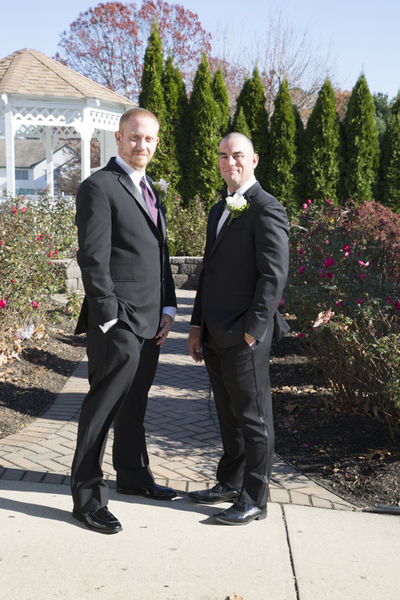 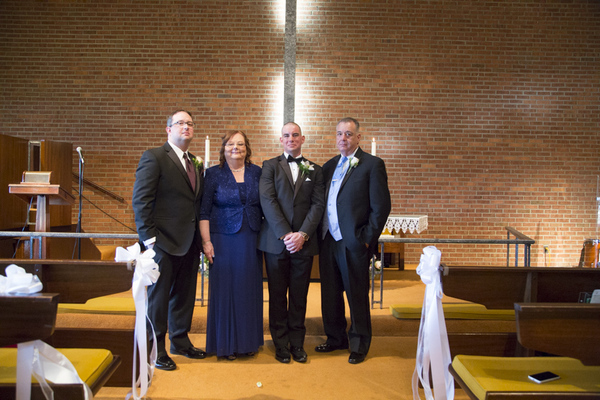 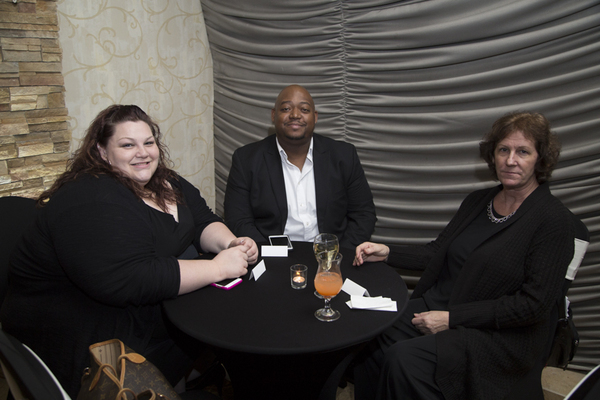 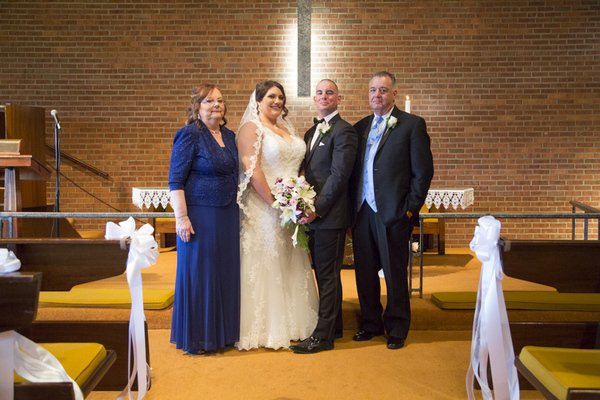 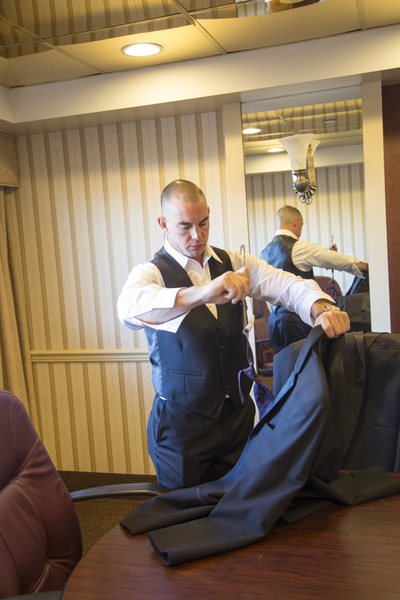 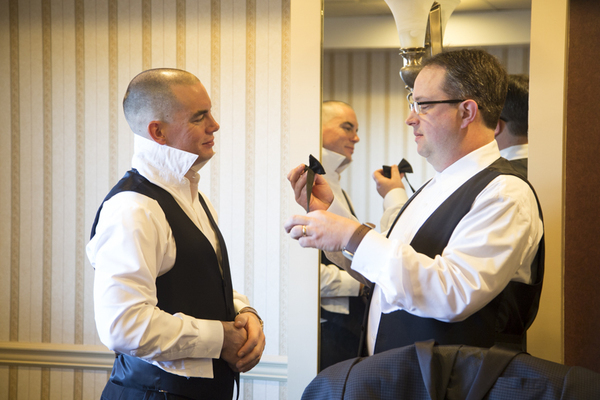 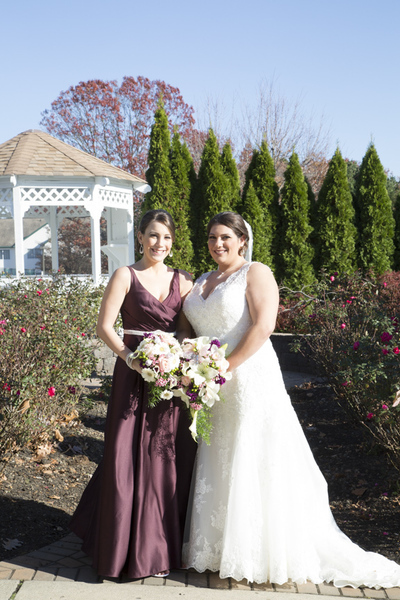 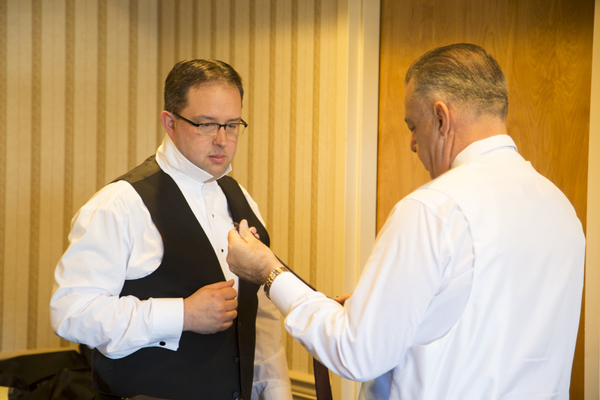 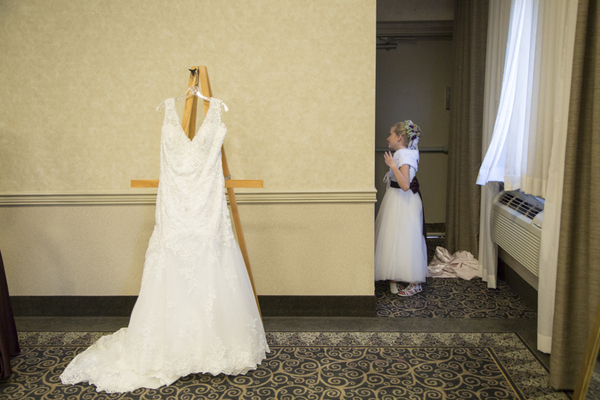 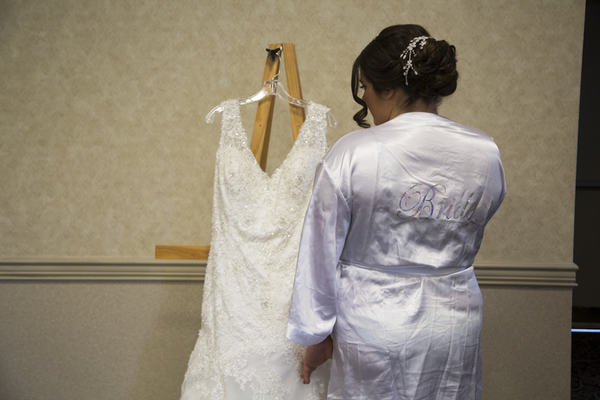 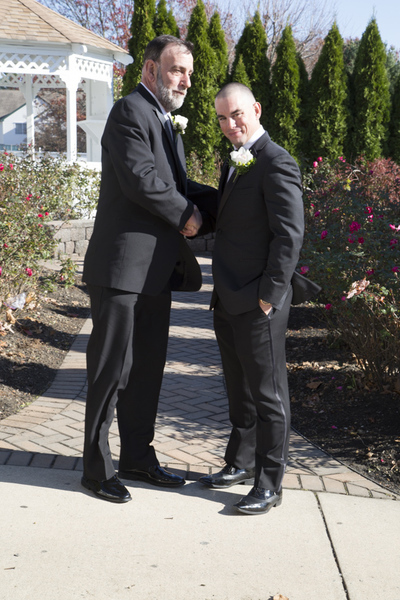 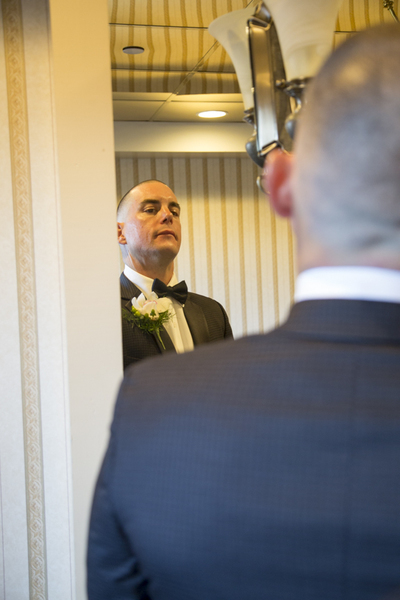 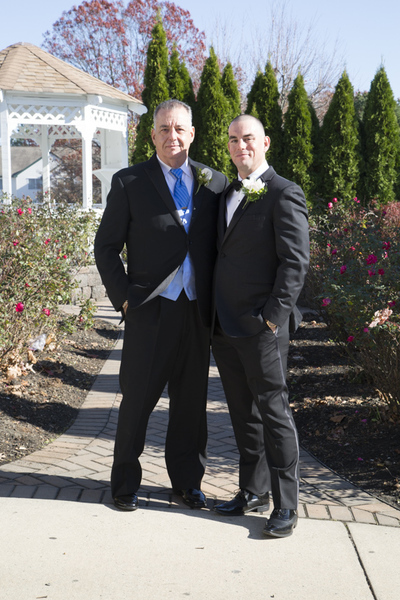 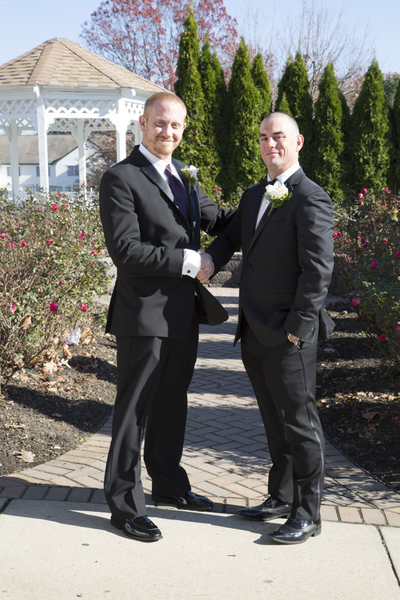 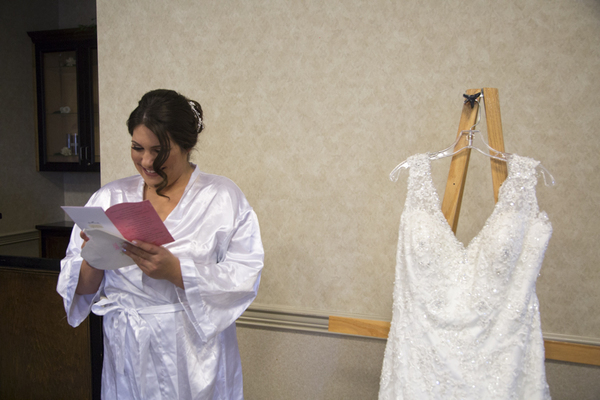 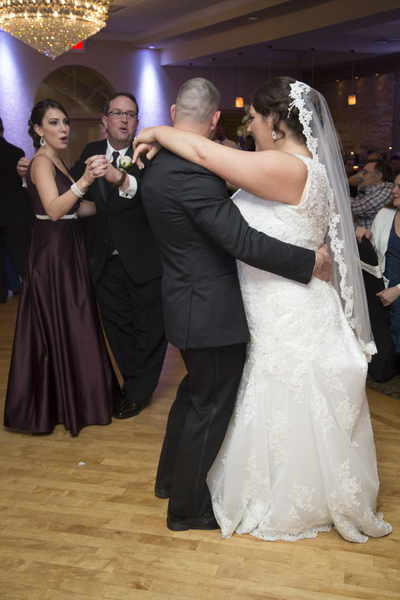 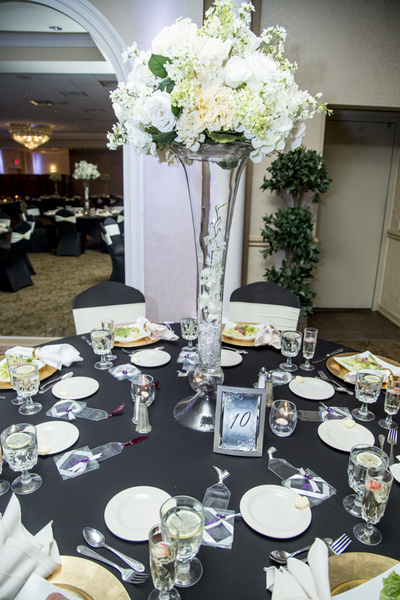 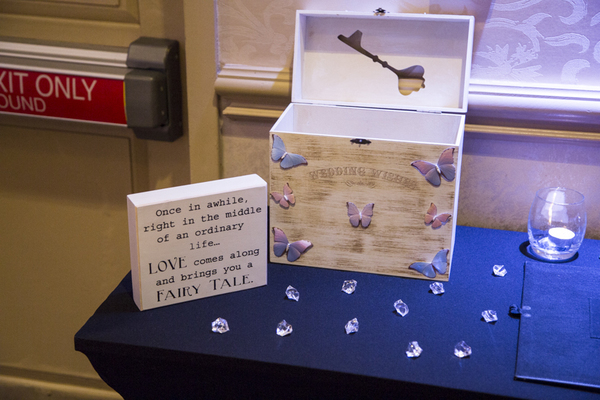 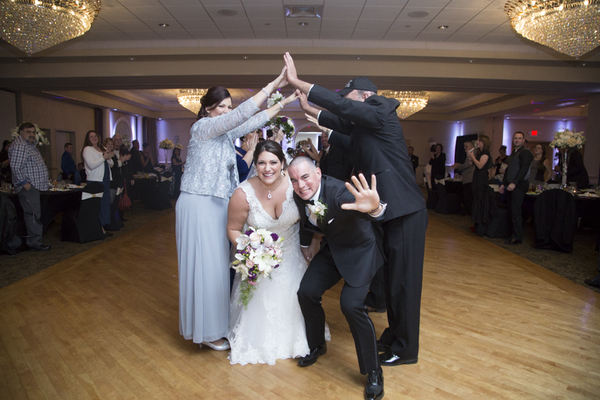 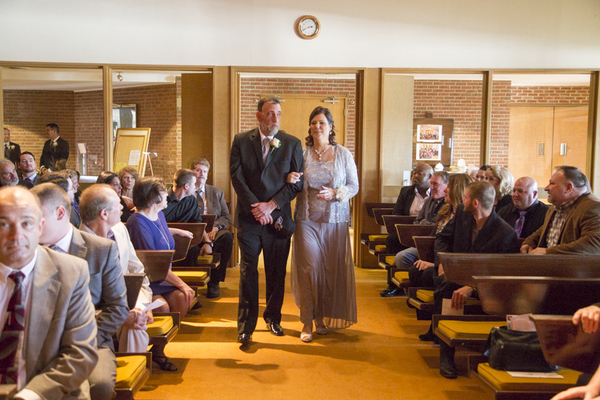 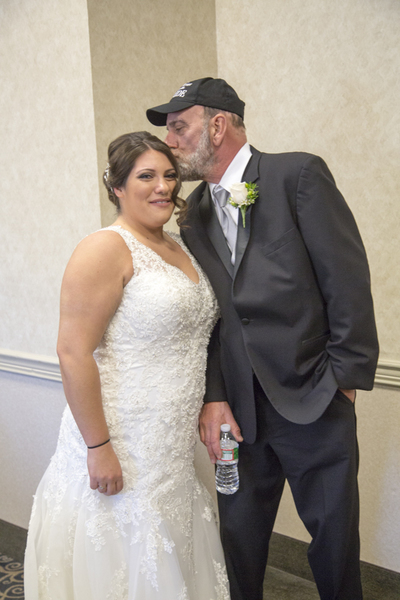 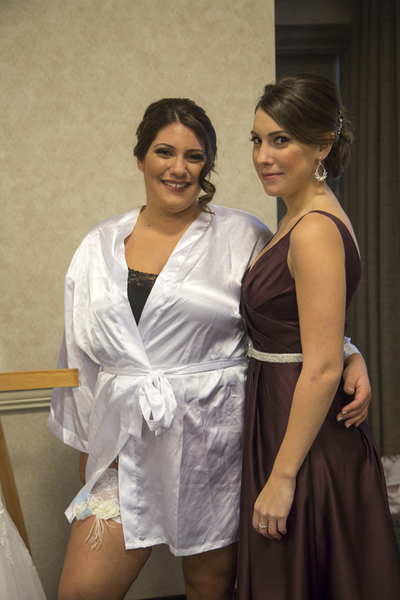 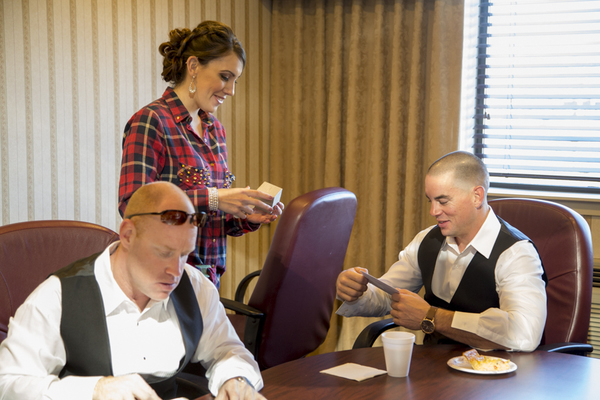 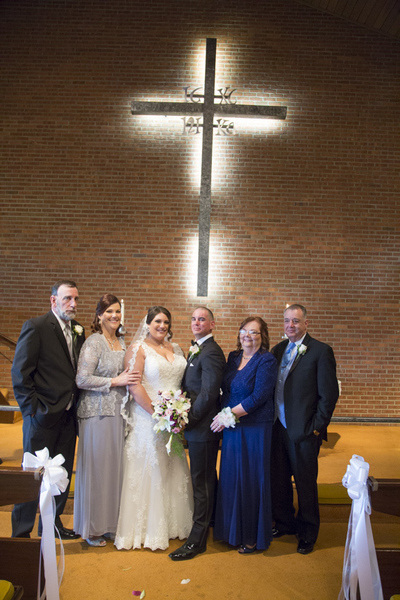 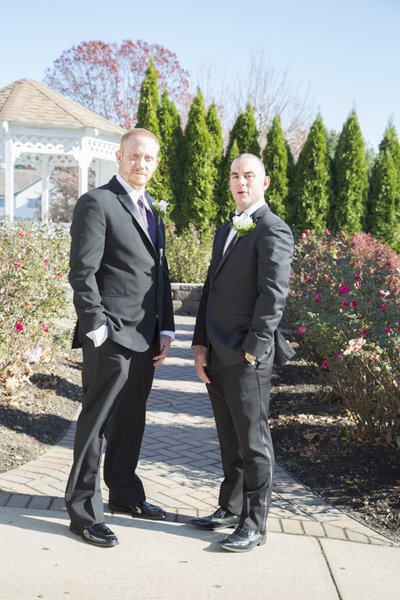 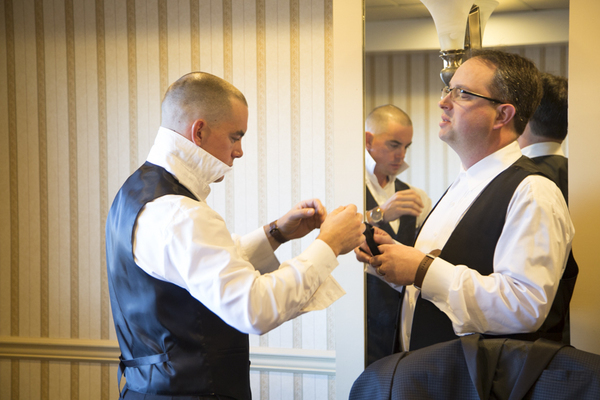 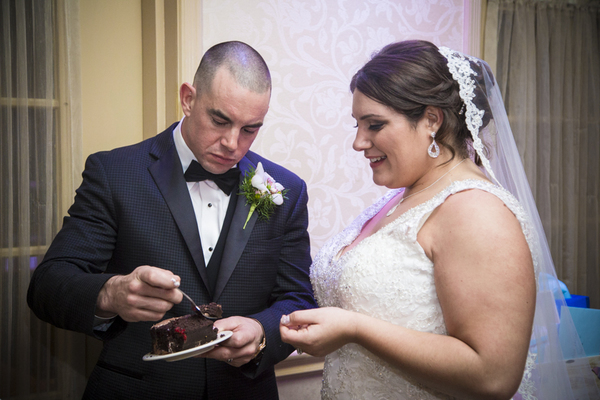 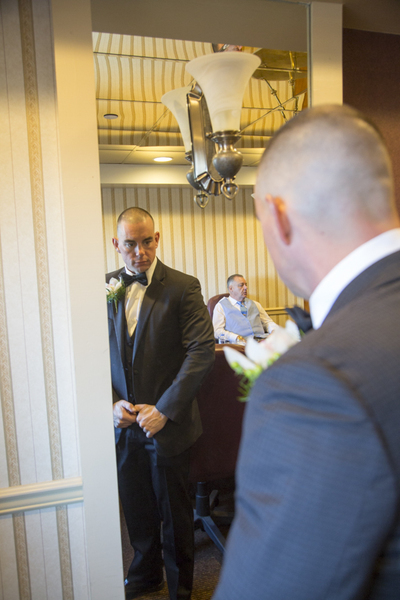 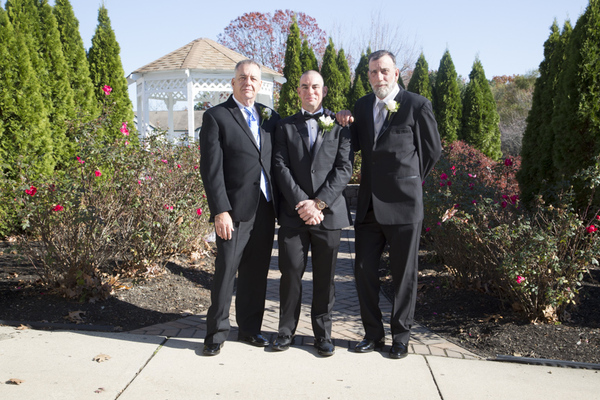 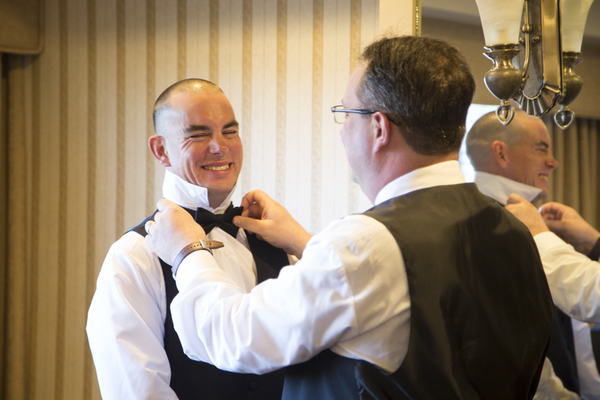 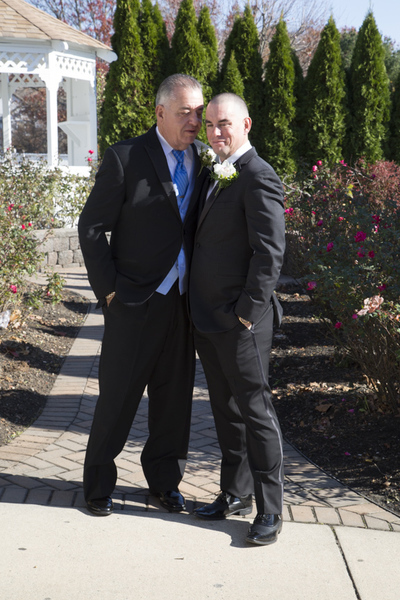 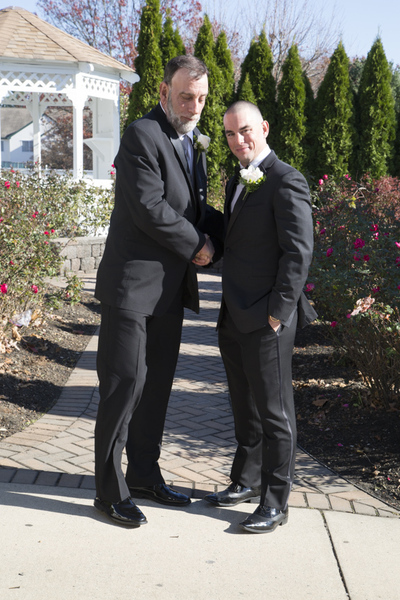 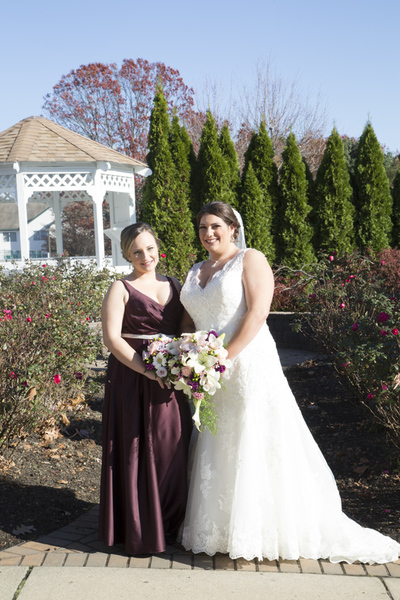 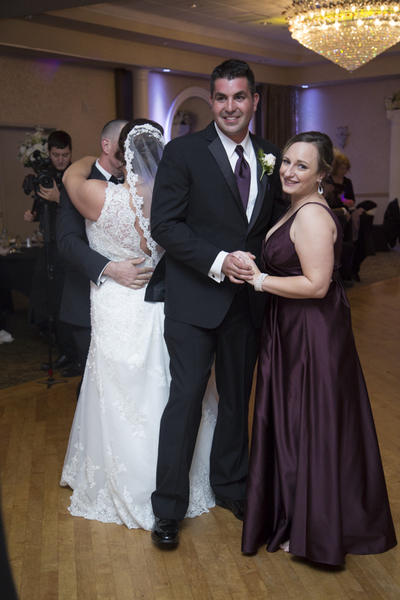 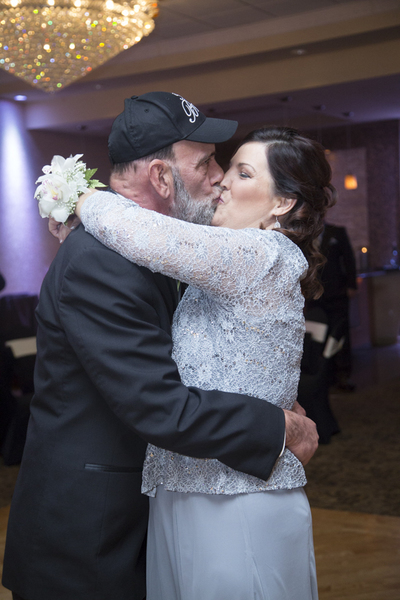 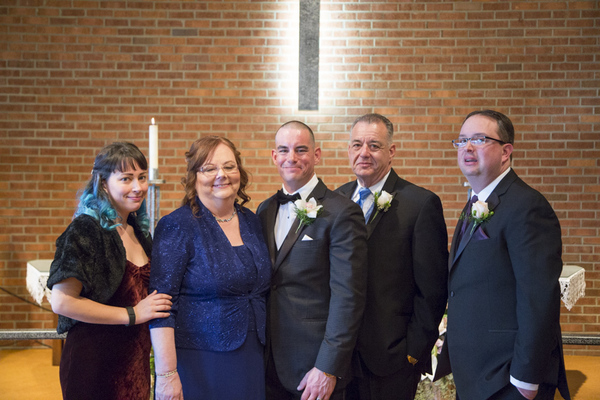 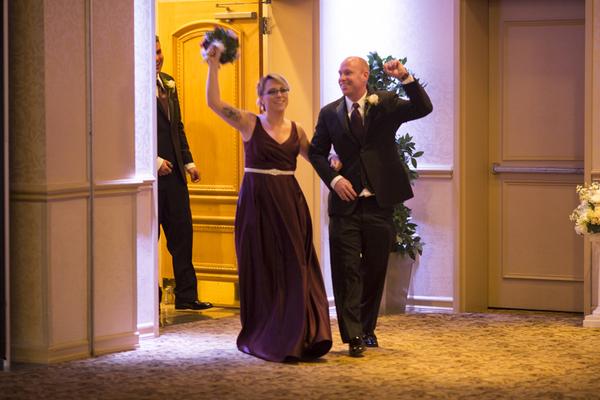 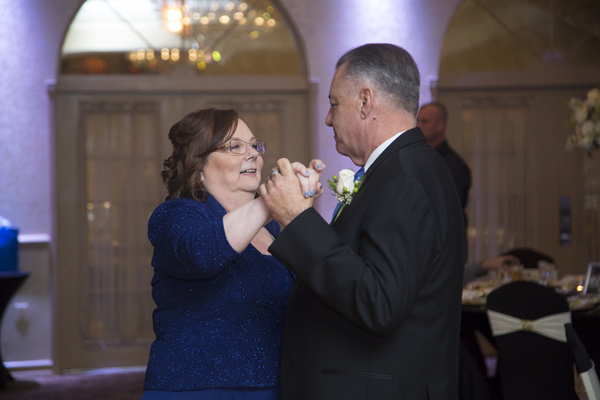 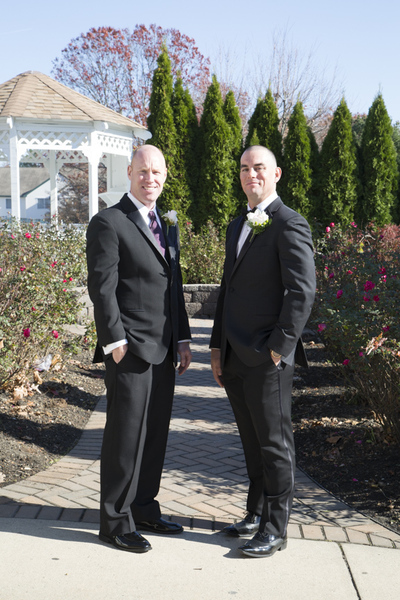 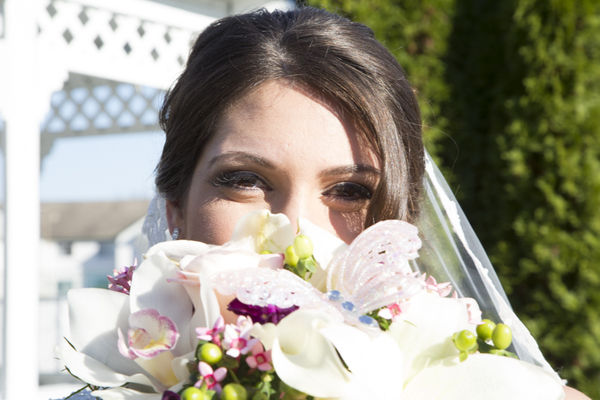 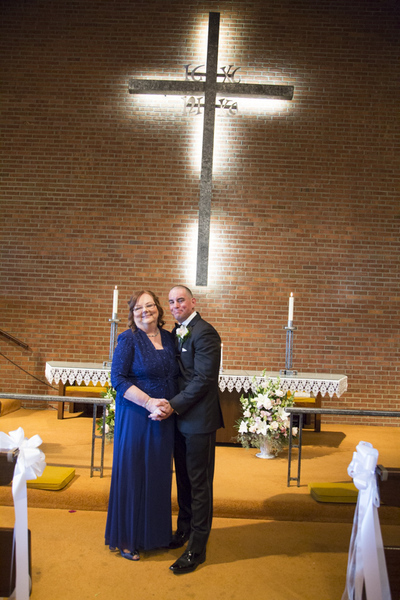 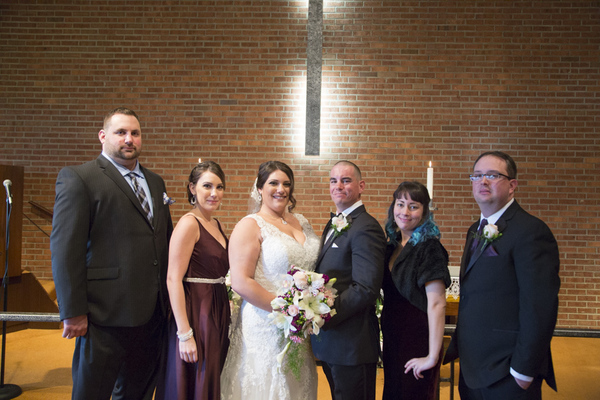 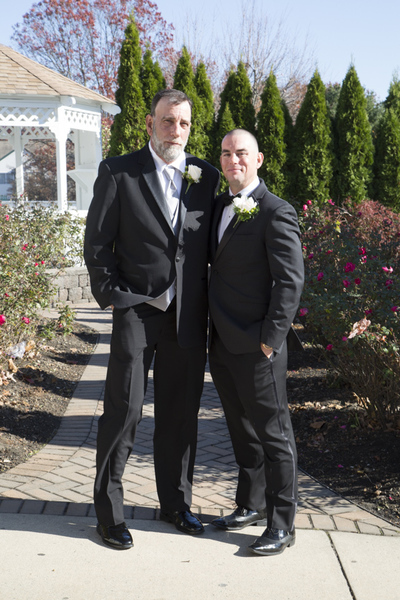 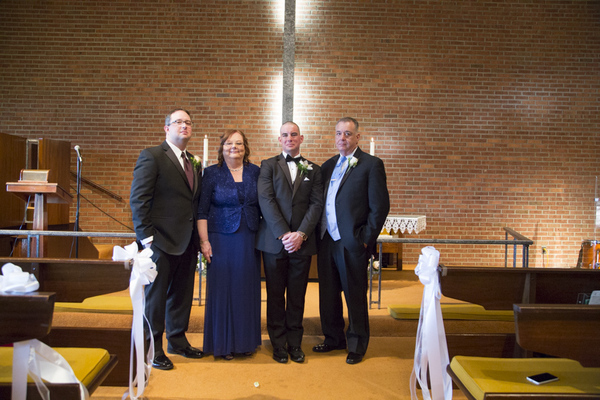 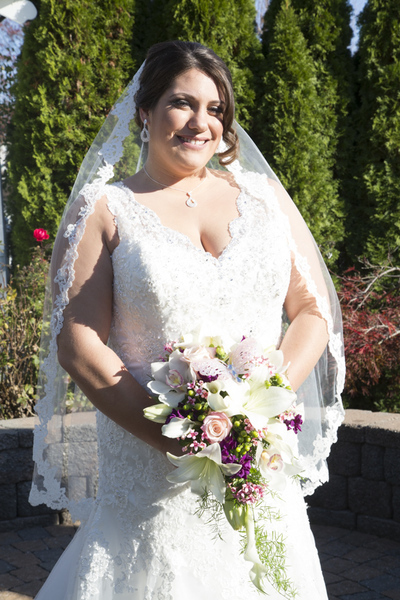 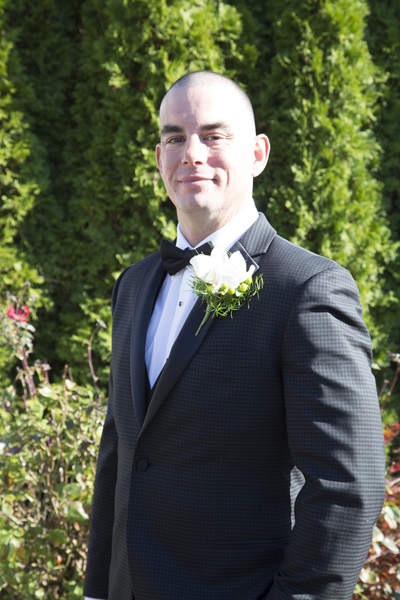 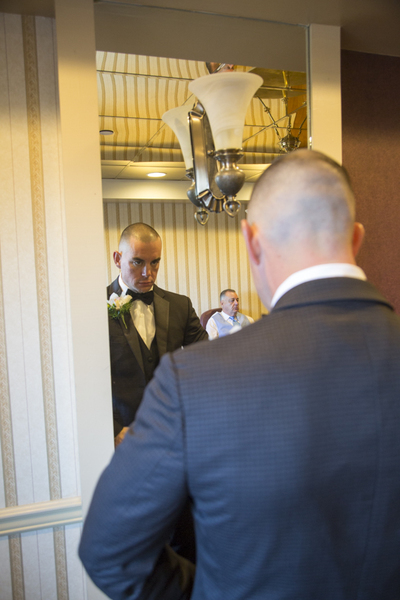 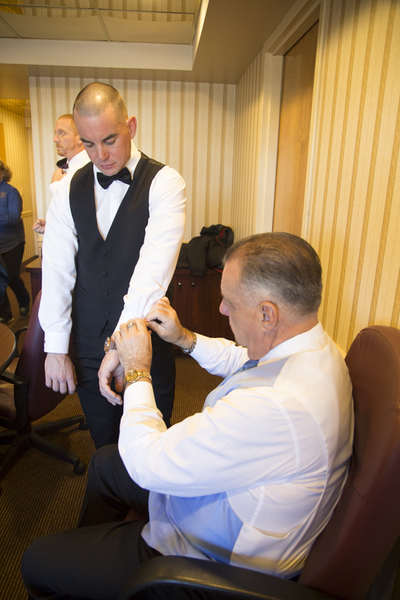 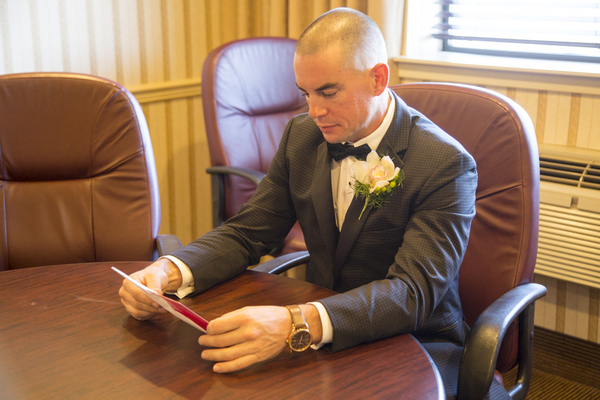 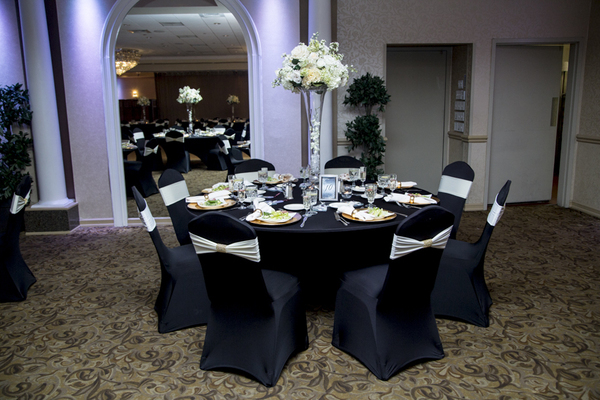 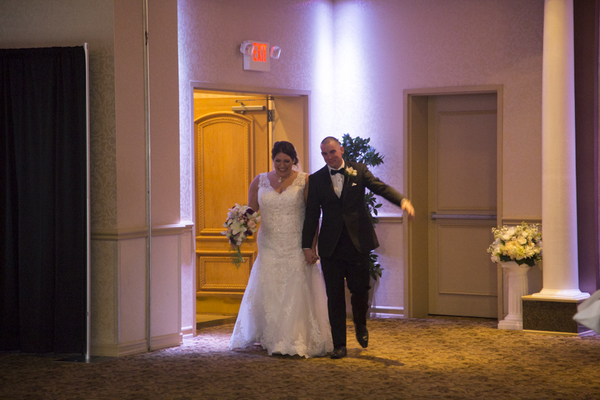 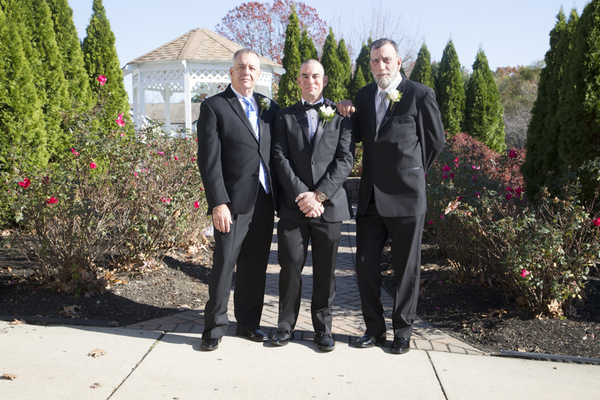 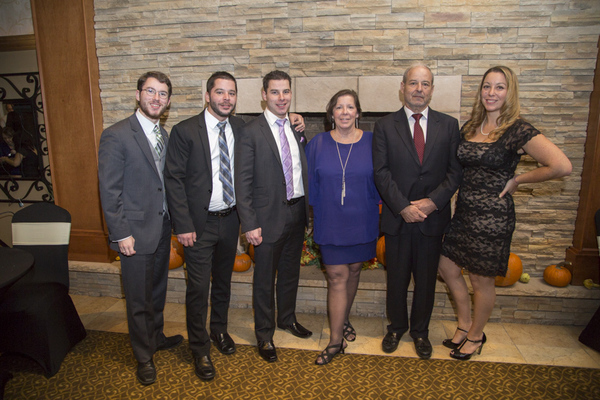 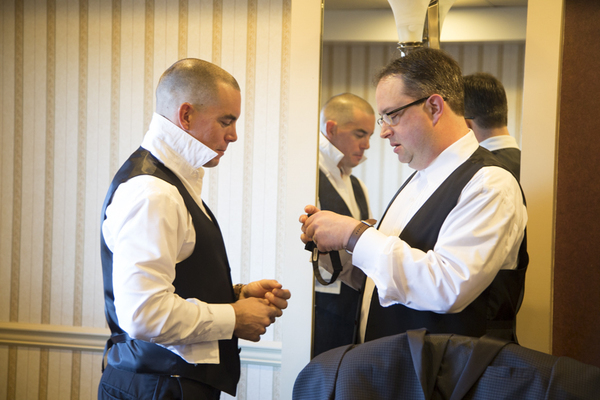 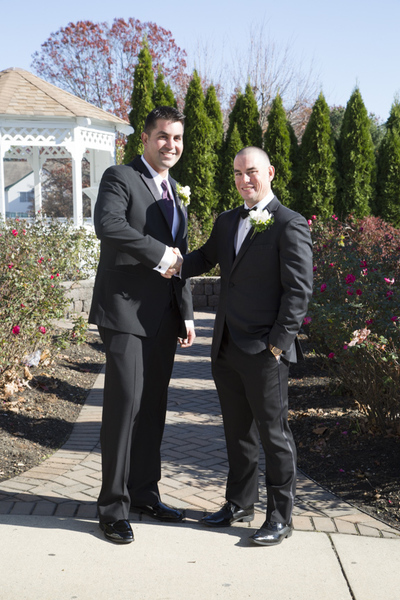 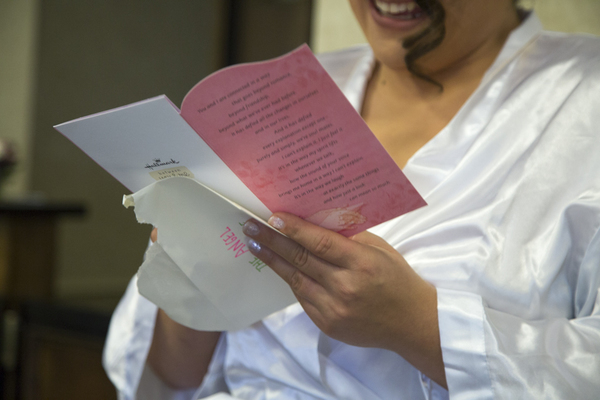 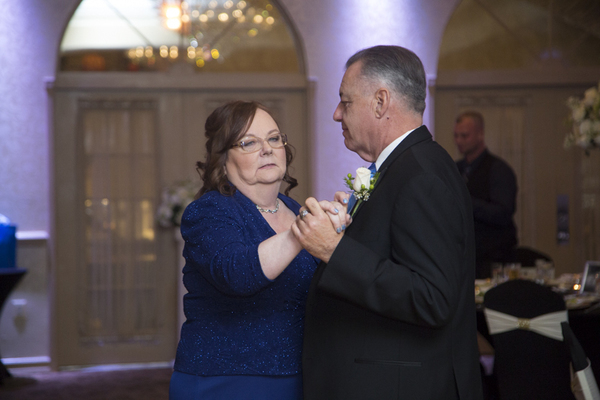 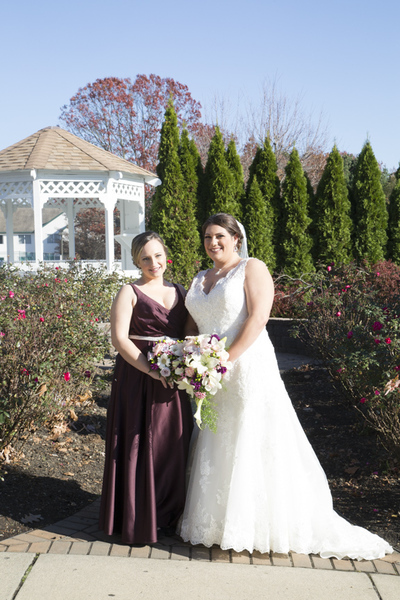 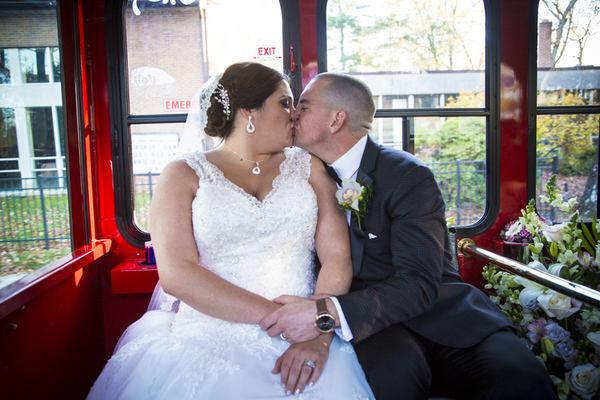 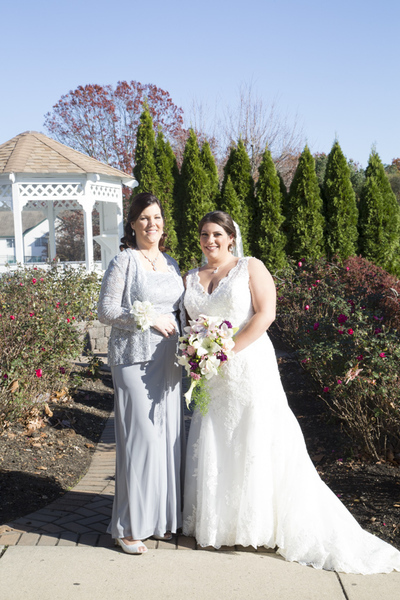 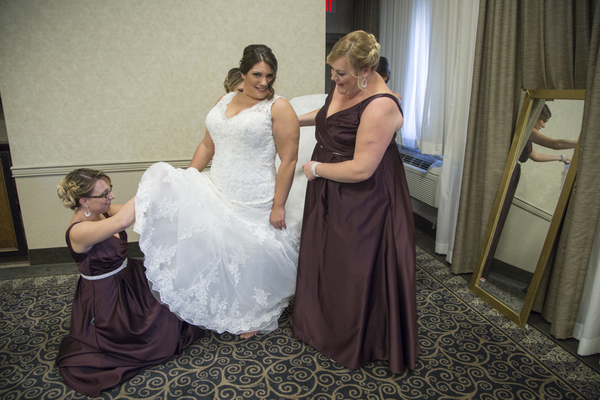 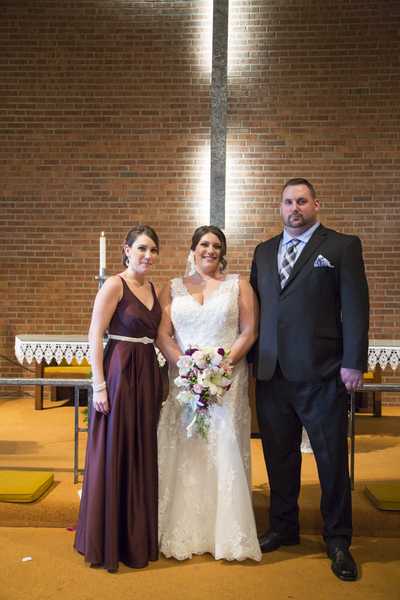 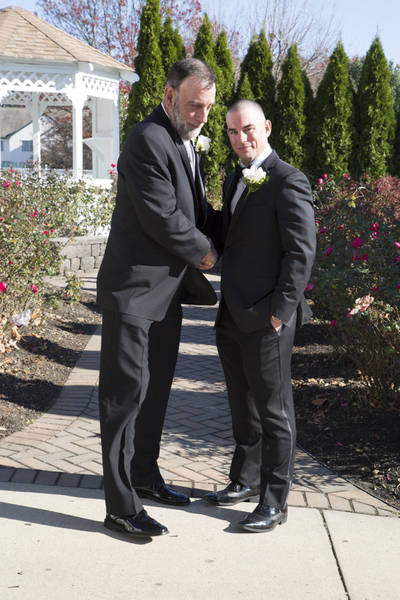 This charming couple spent their special day with family and friends at the beautiful Ramada Inn in Toms River, NJ. 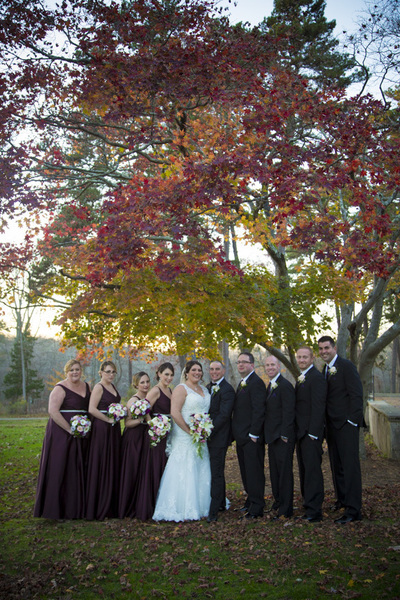 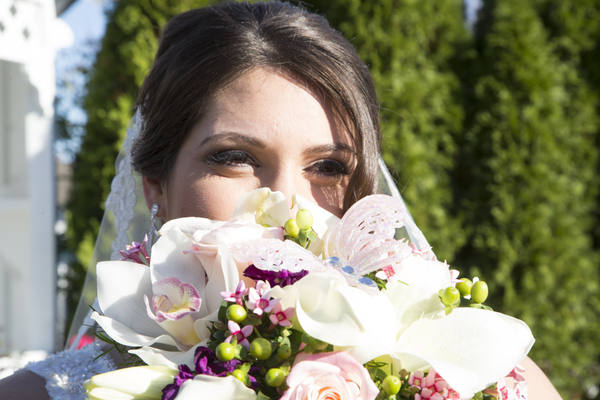 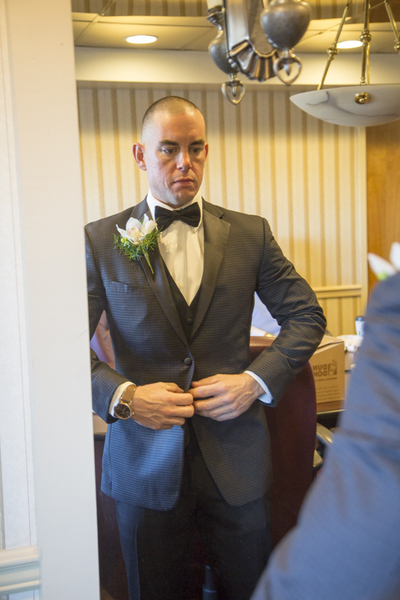 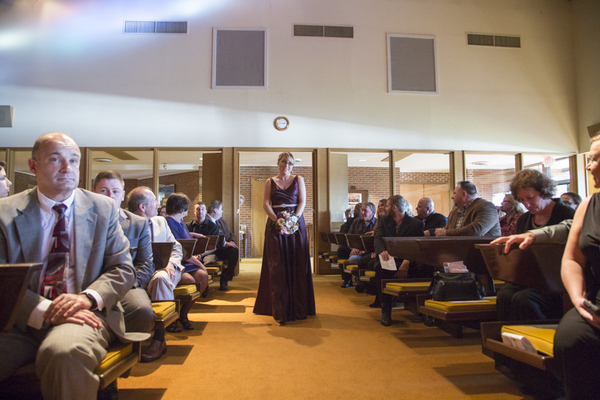 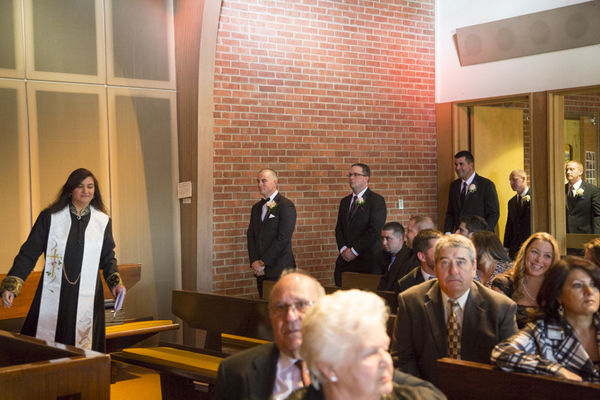 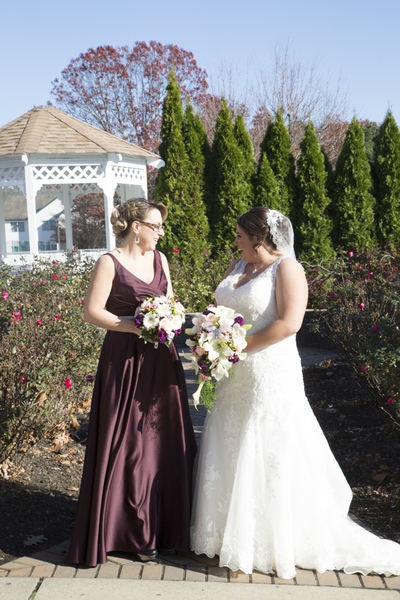 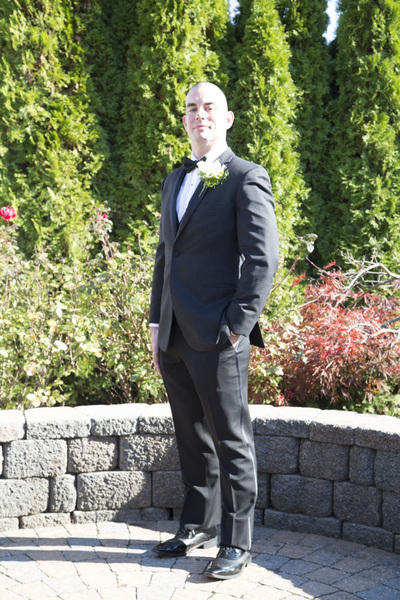 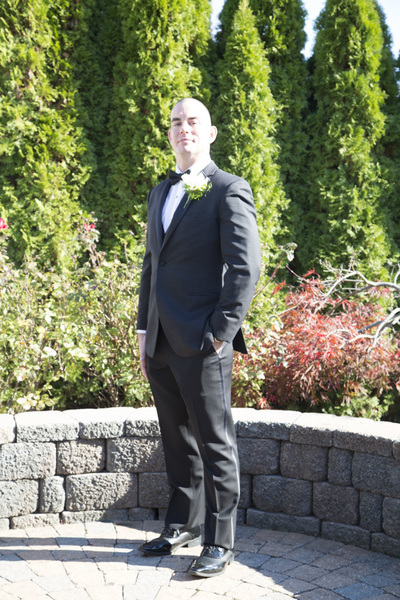 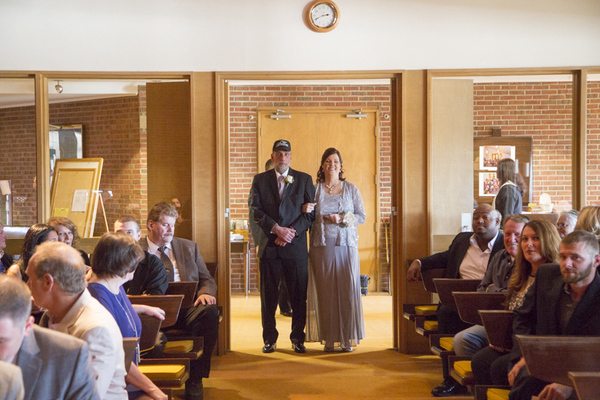 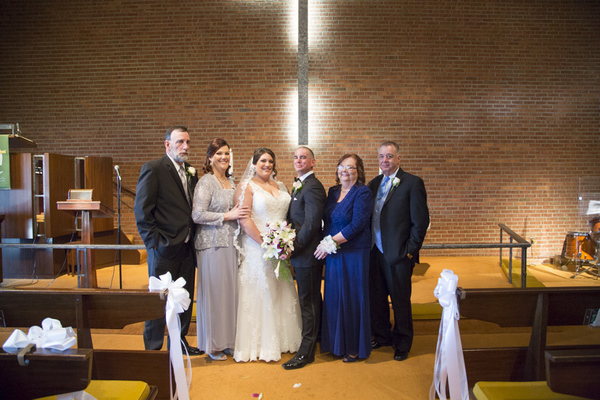 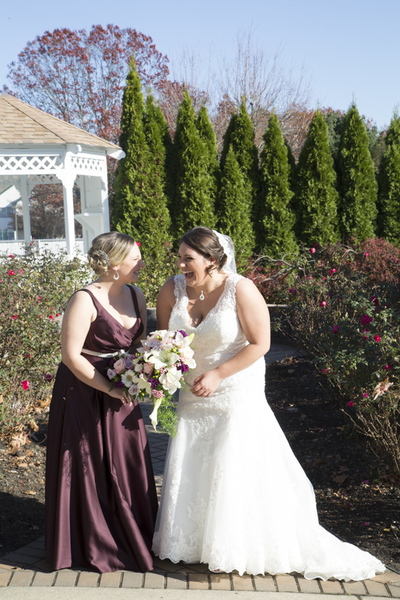 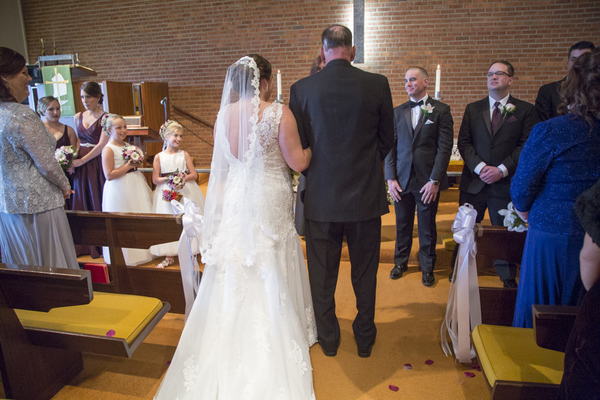 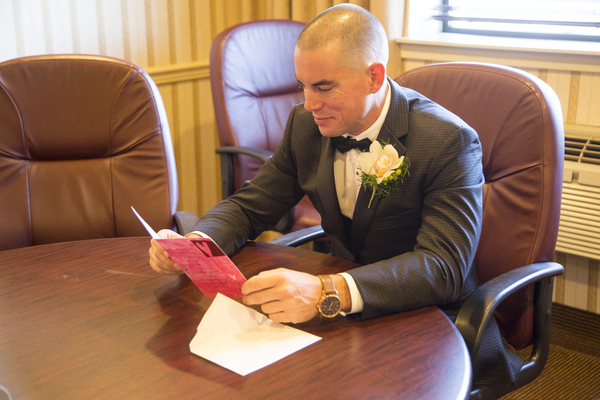 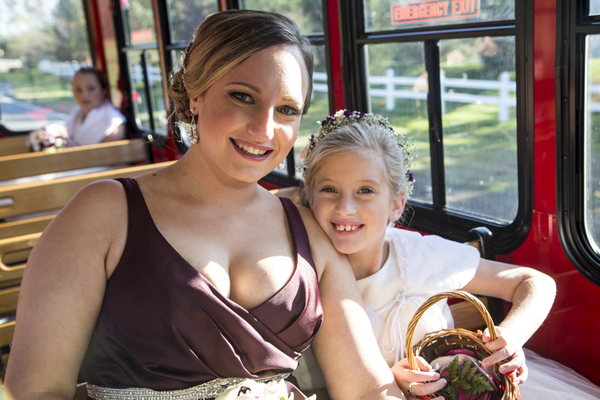 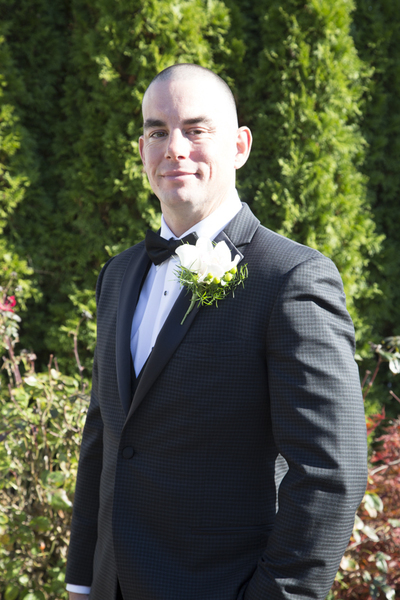 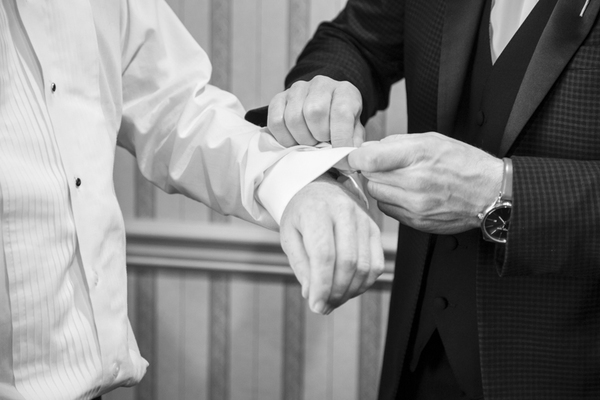 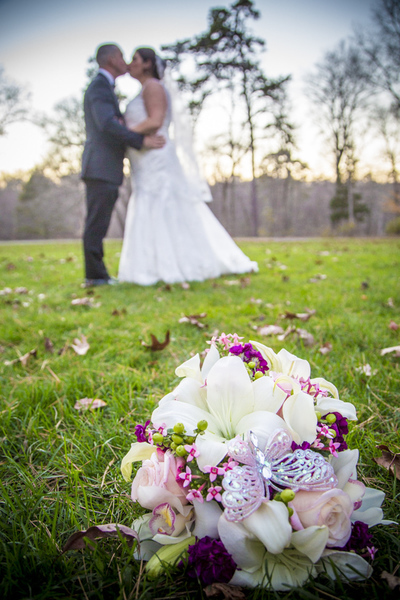 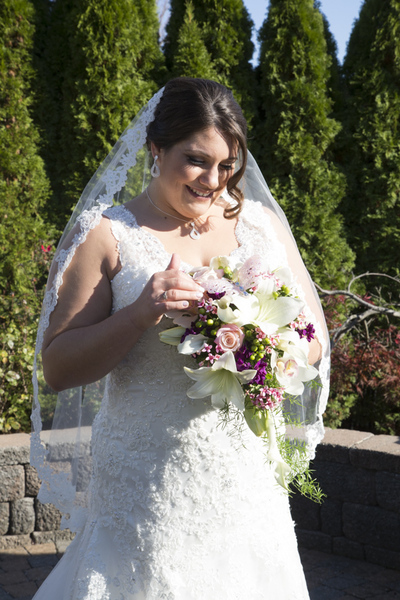 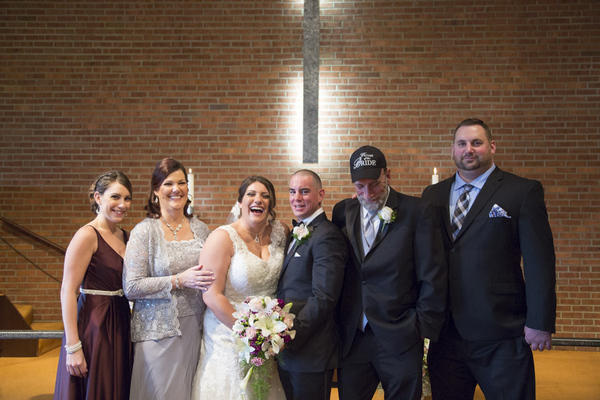 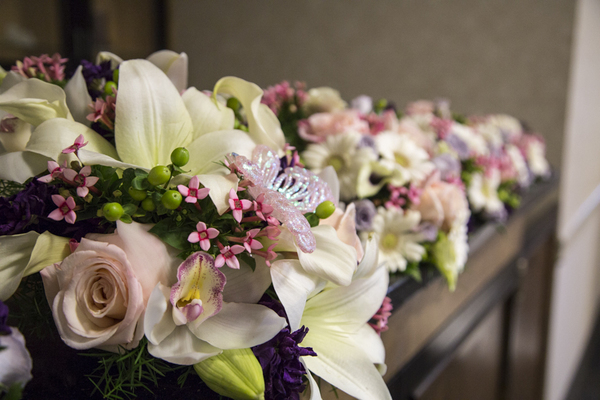 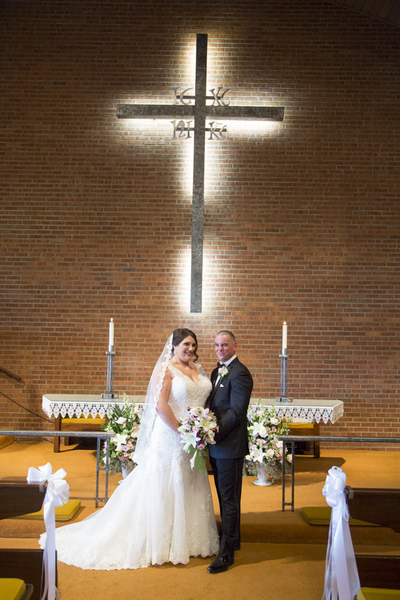 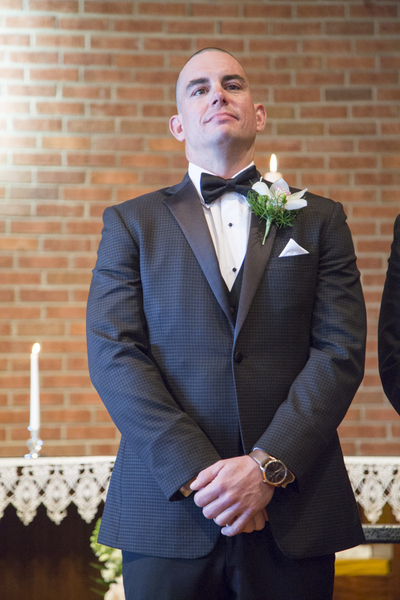 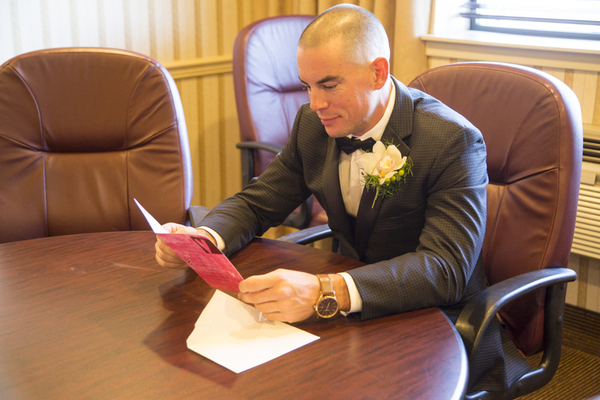 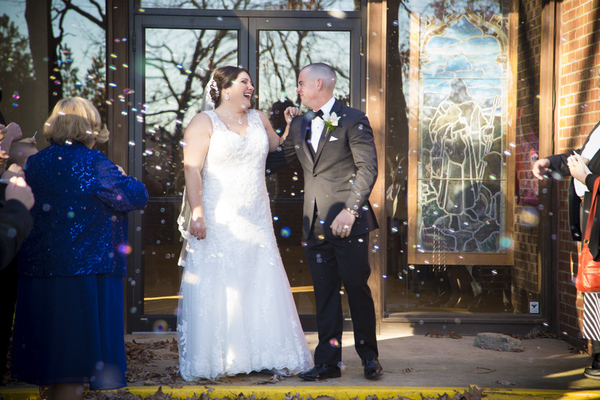 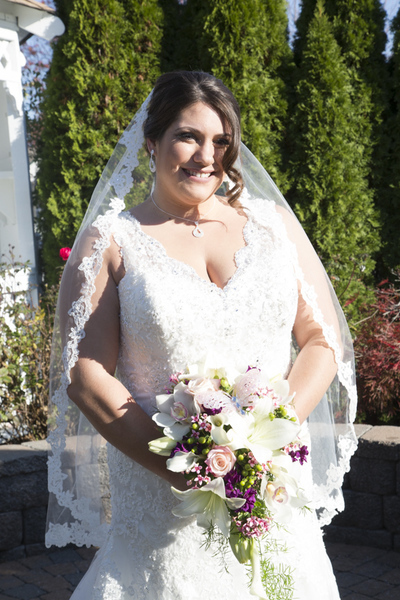 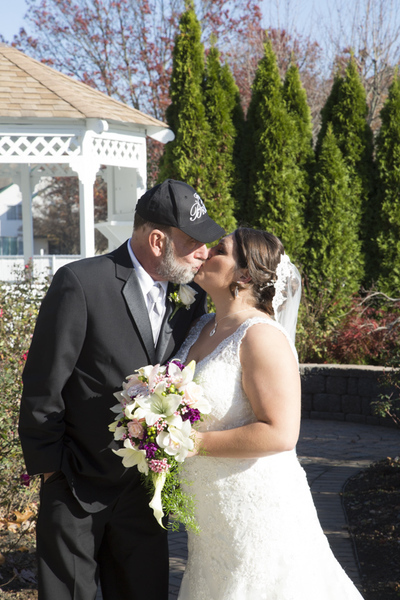 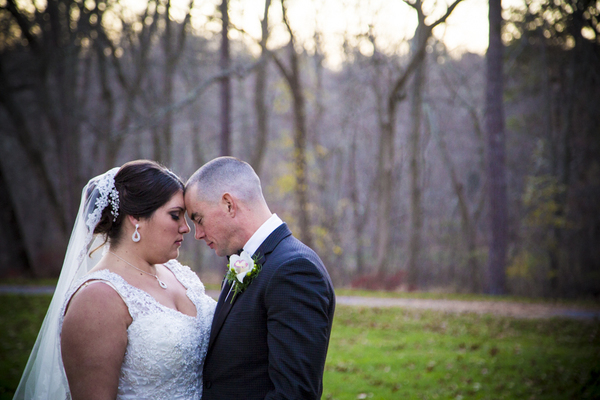 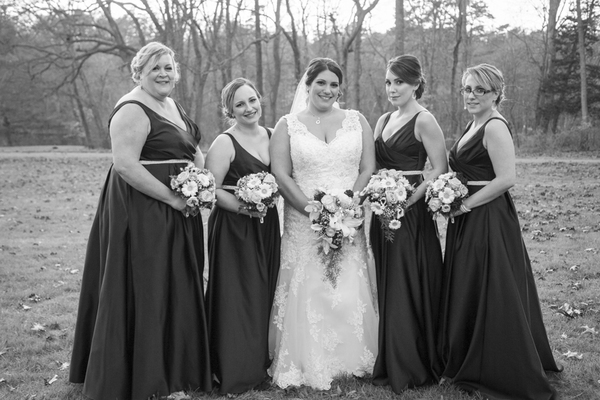 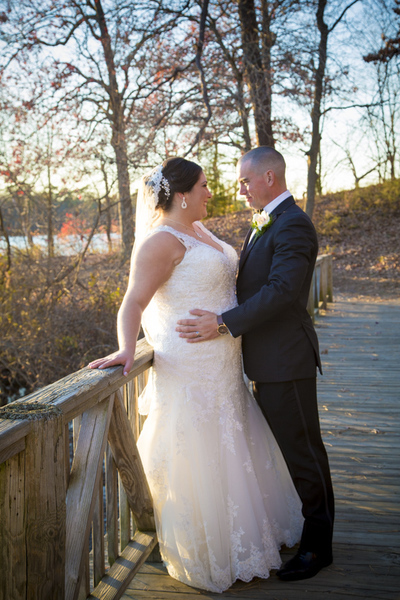 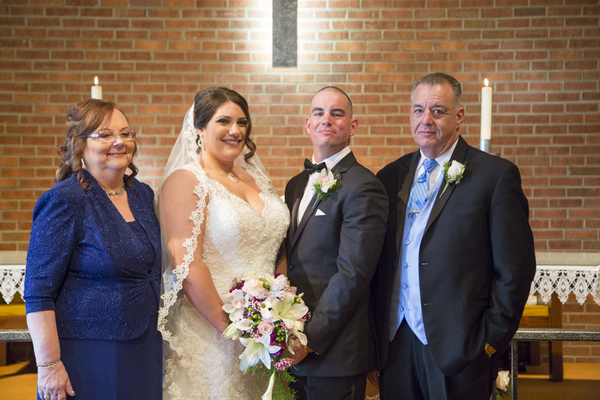 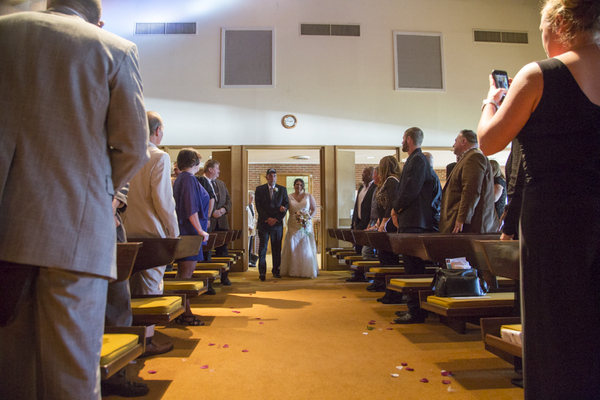 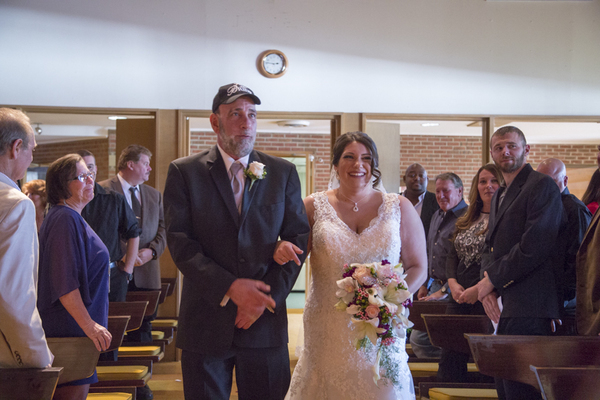 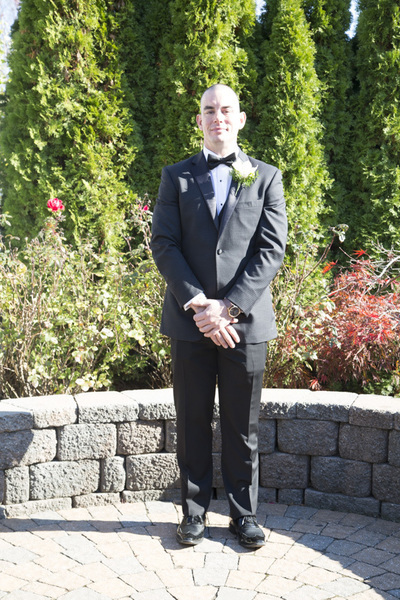 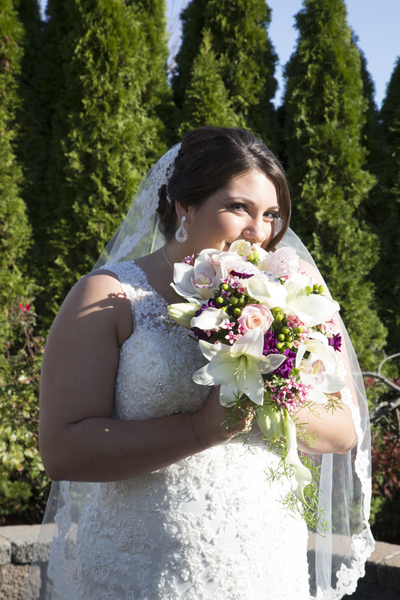 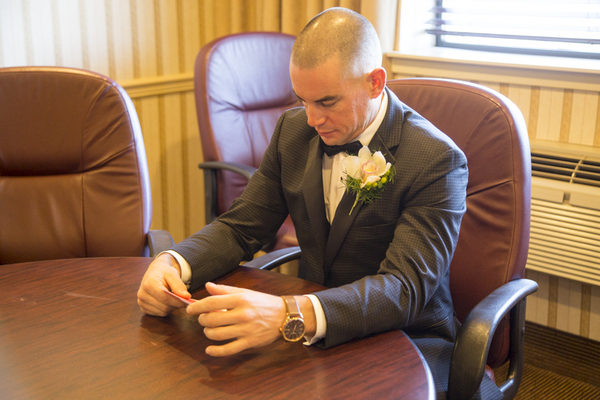 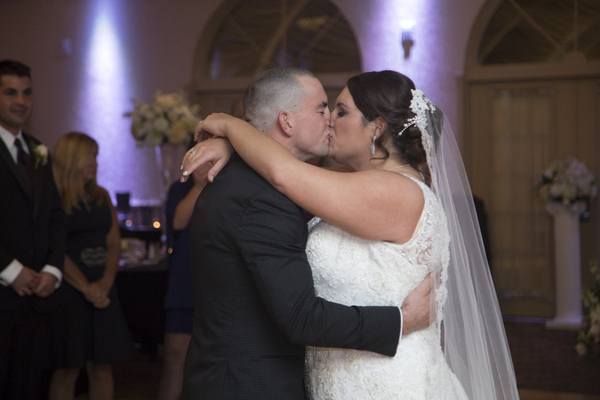 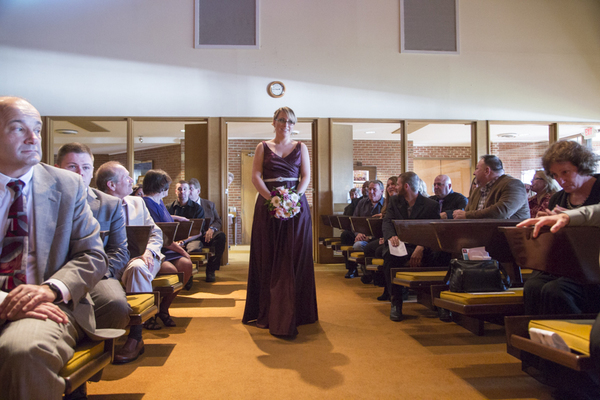 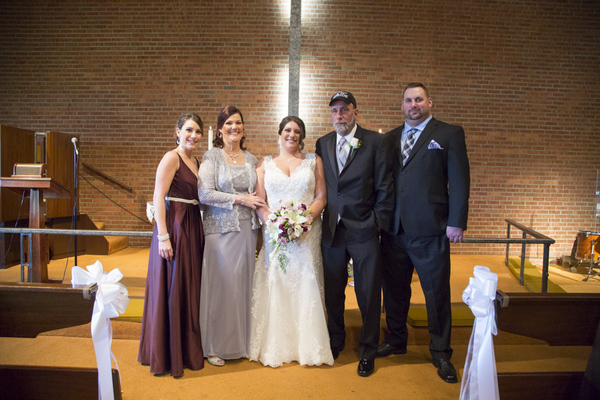 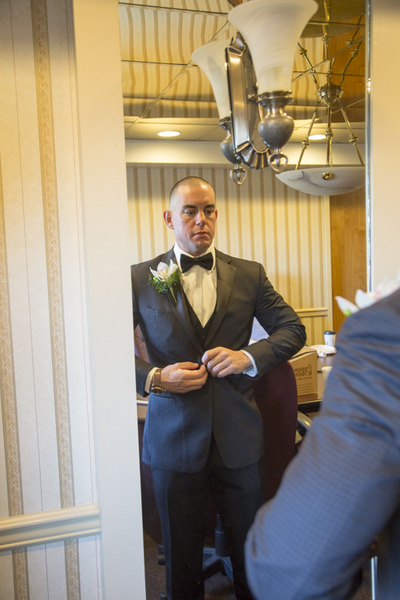 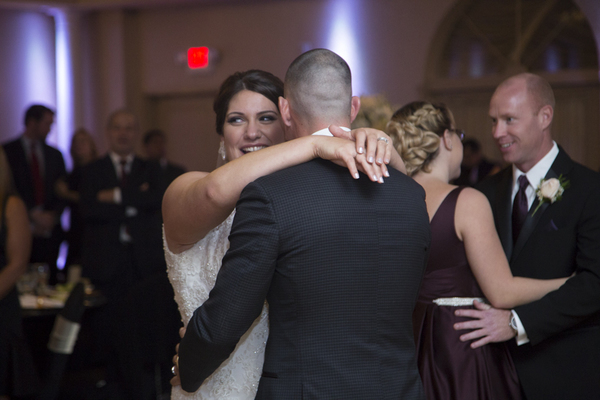 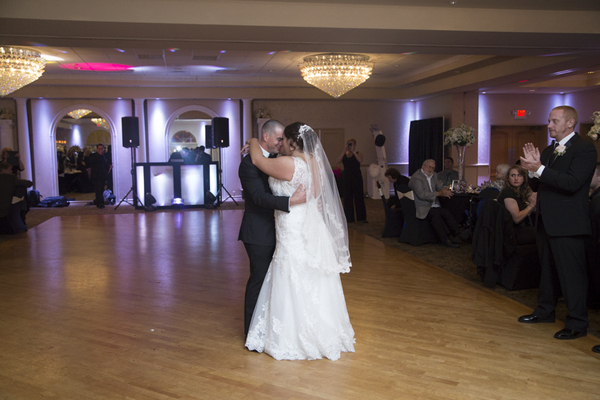 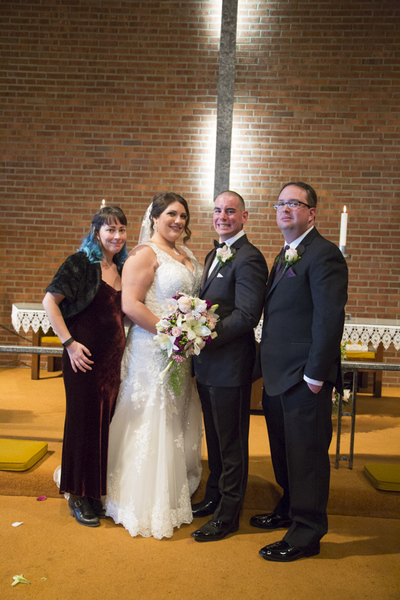 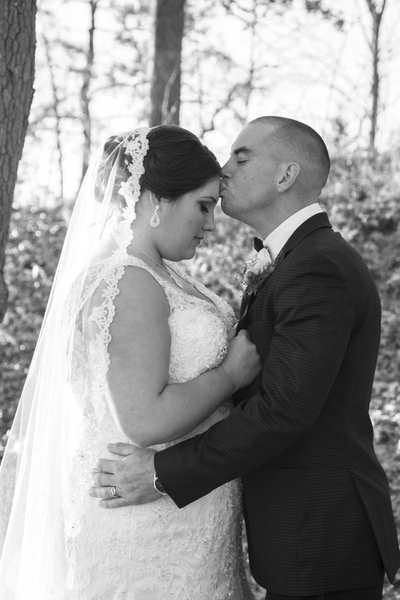 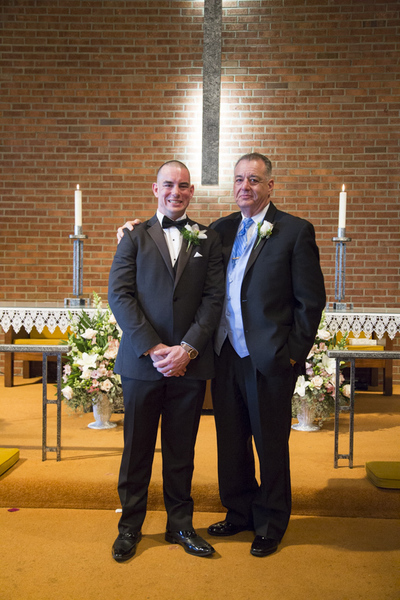 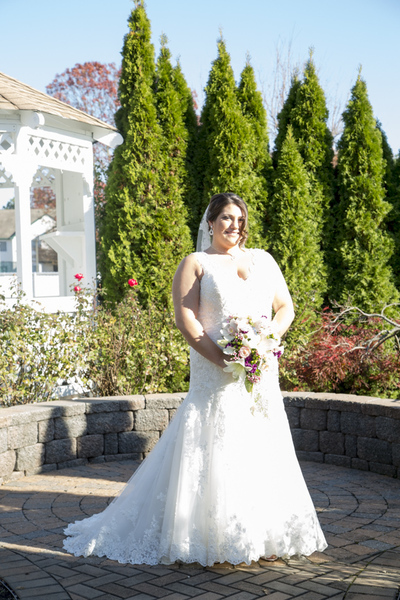 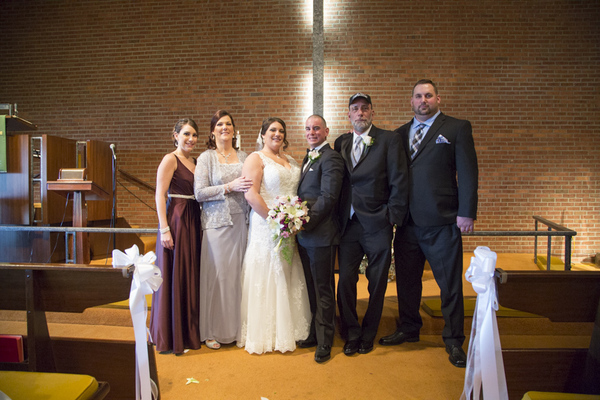 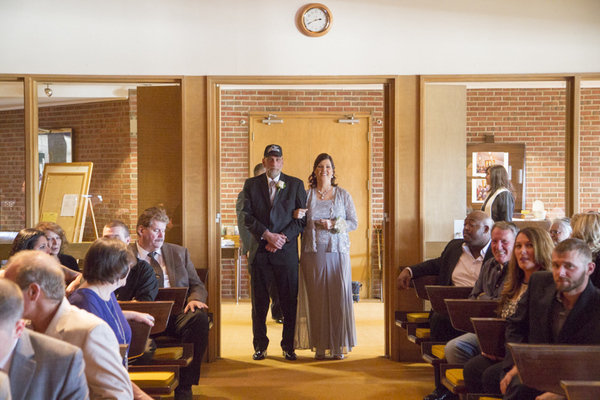 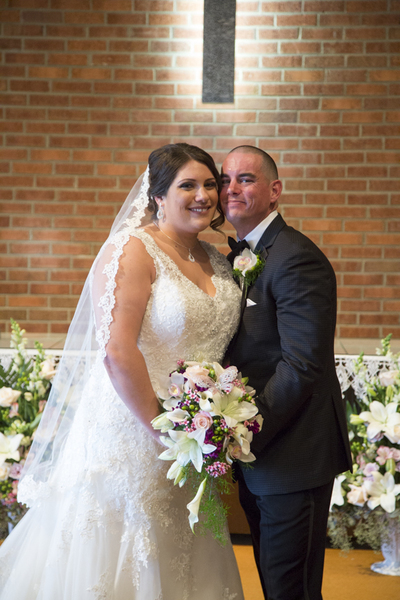 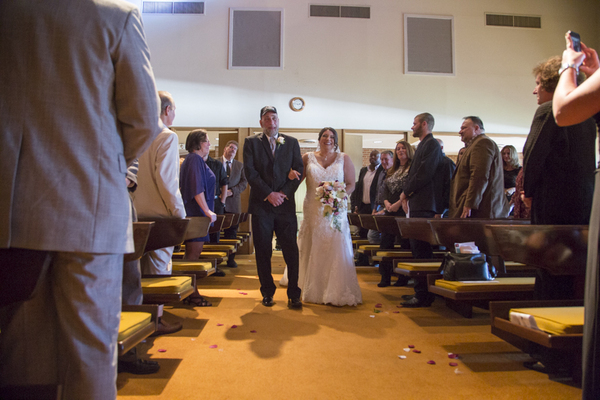 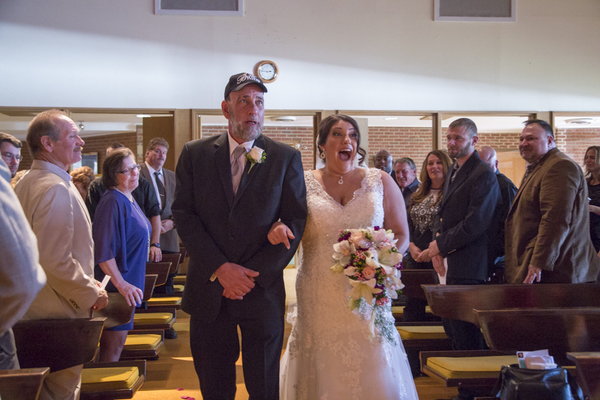 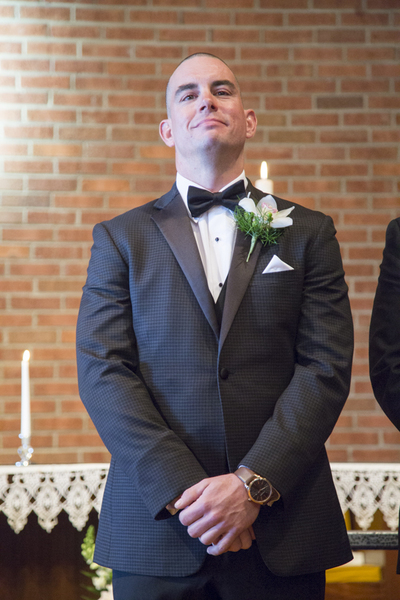 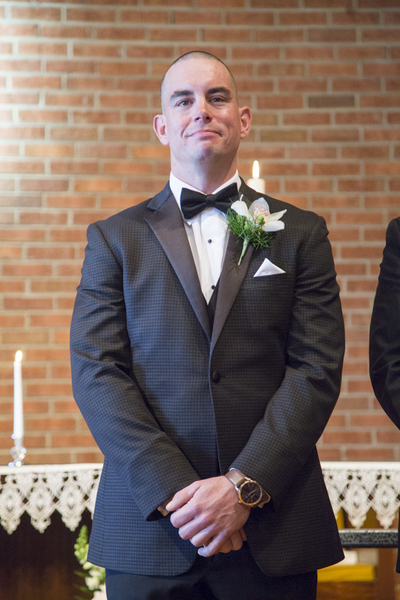 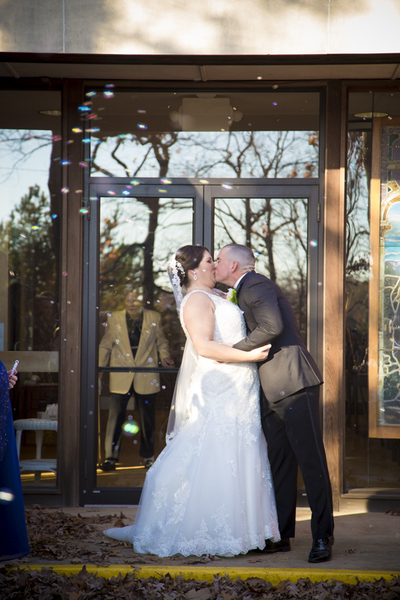 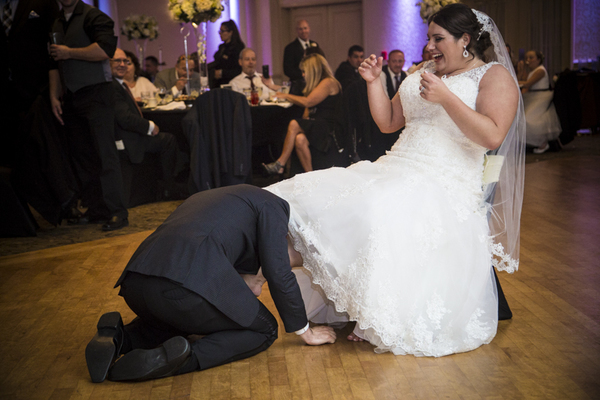 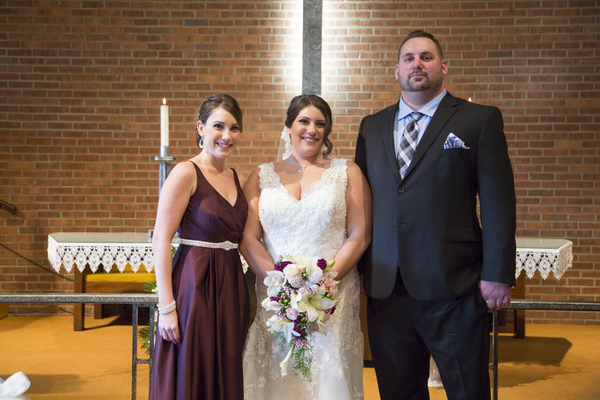 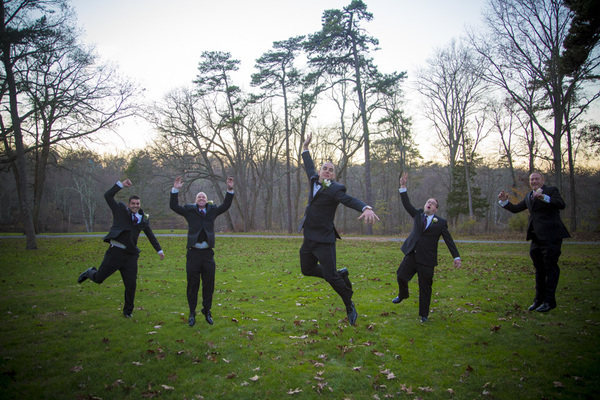 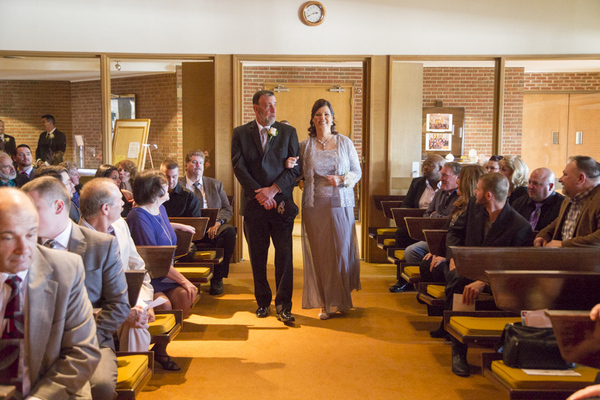 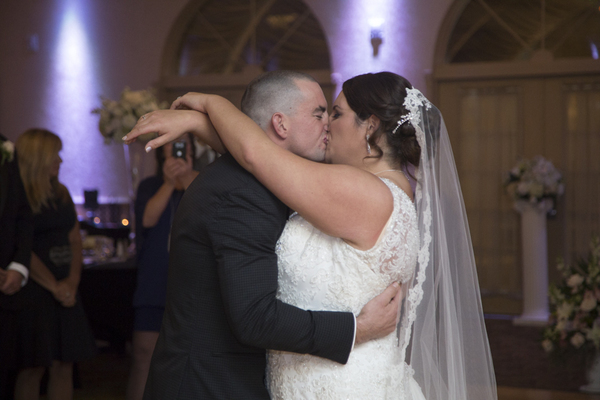 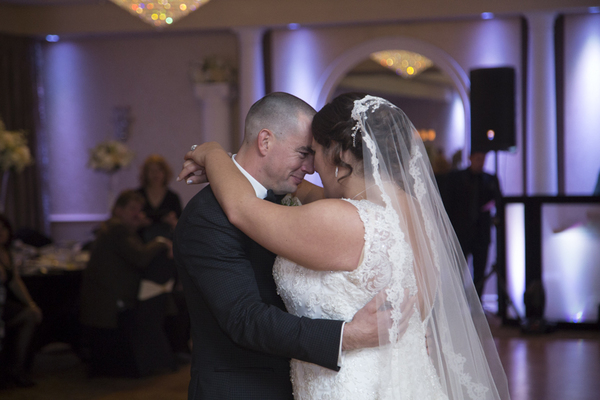 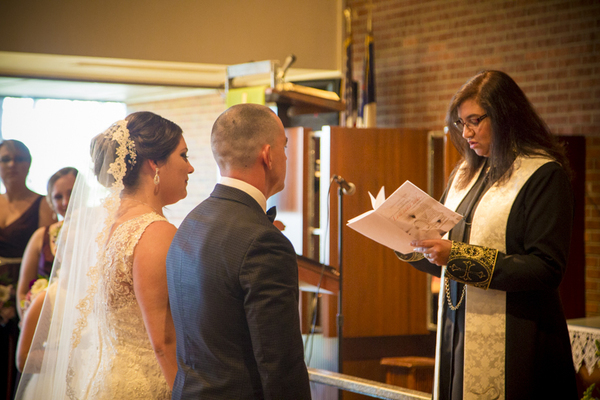 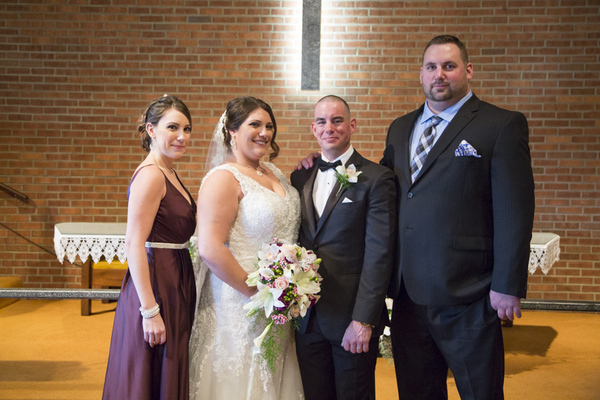 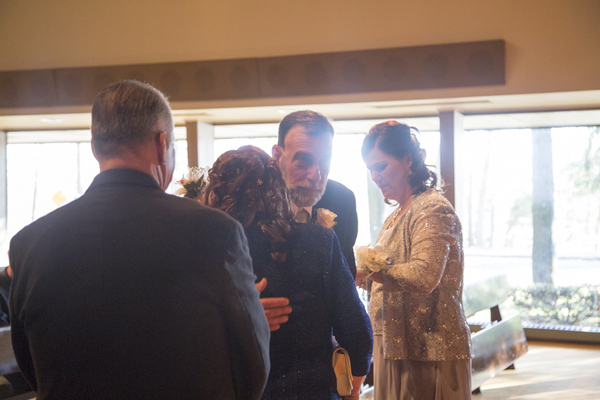 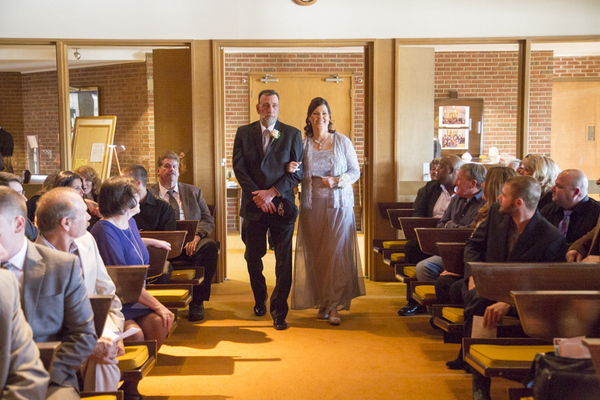 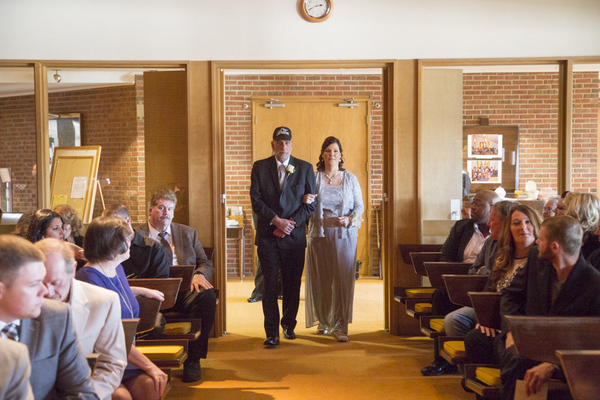 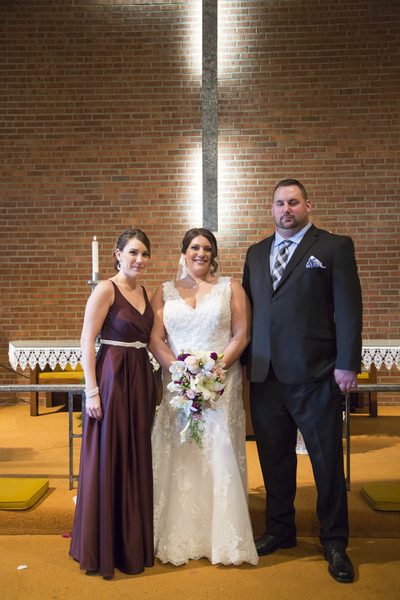 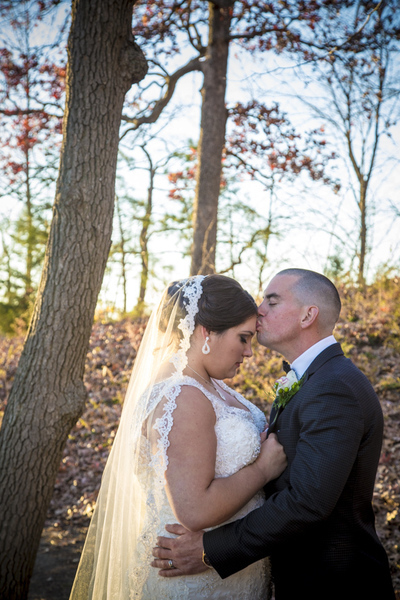 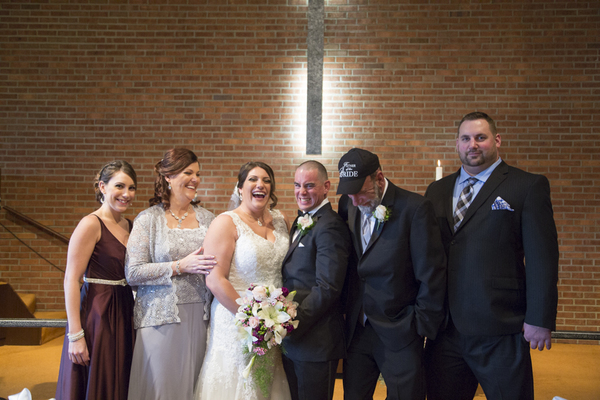 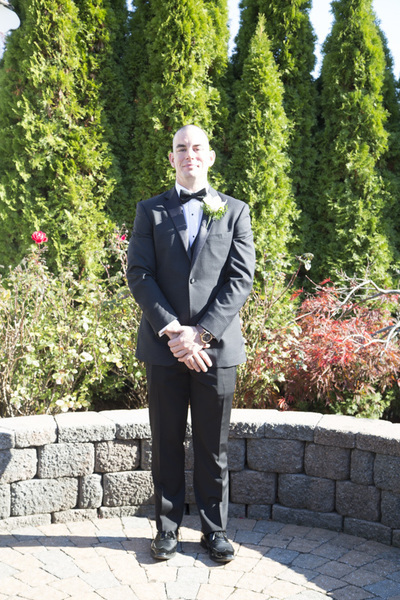 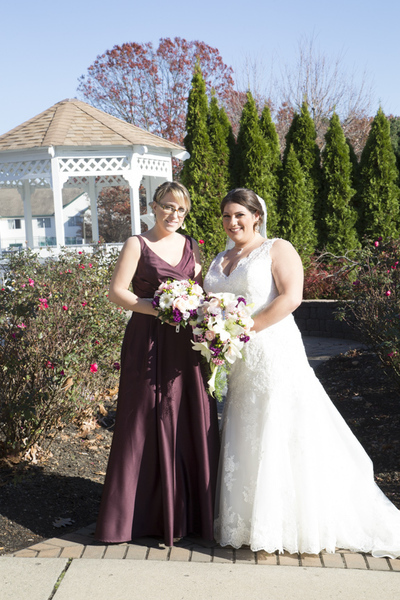 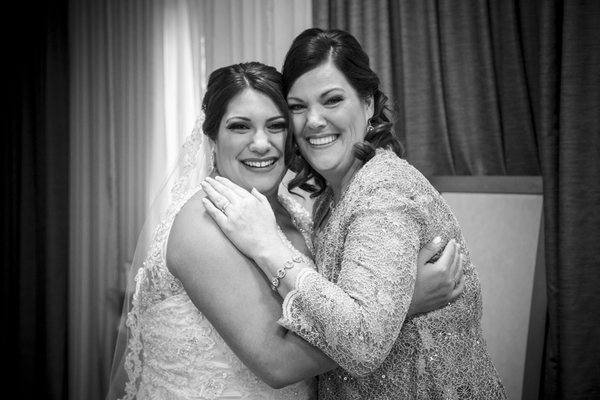 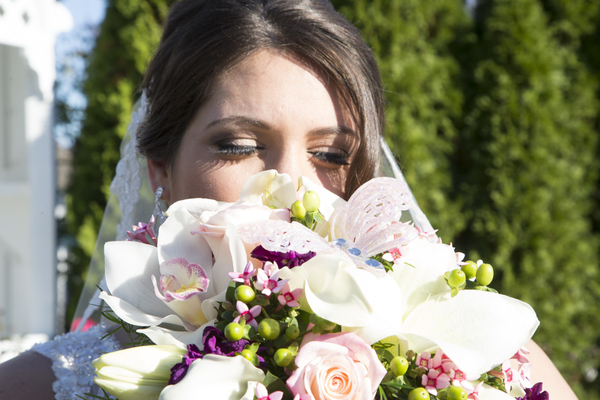 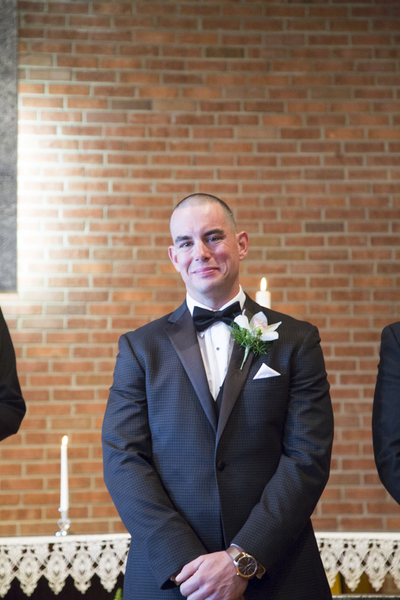 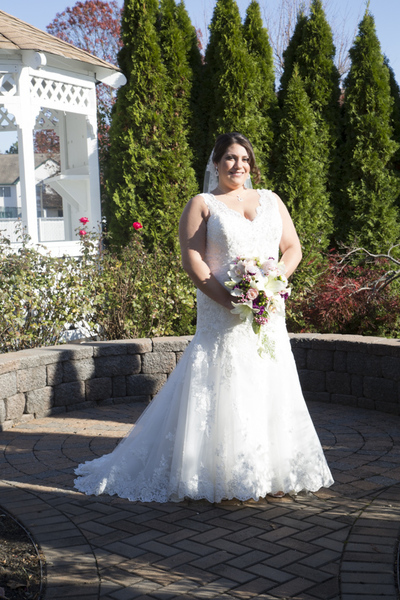 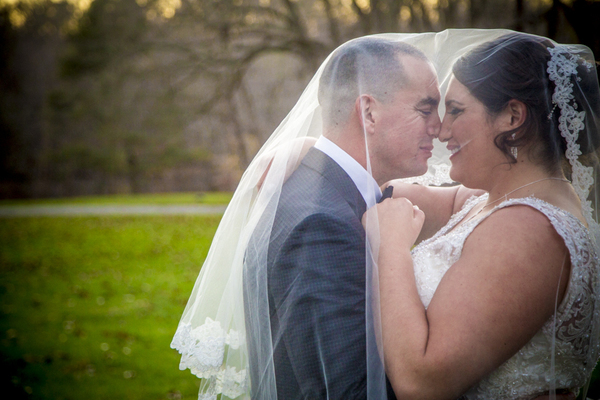 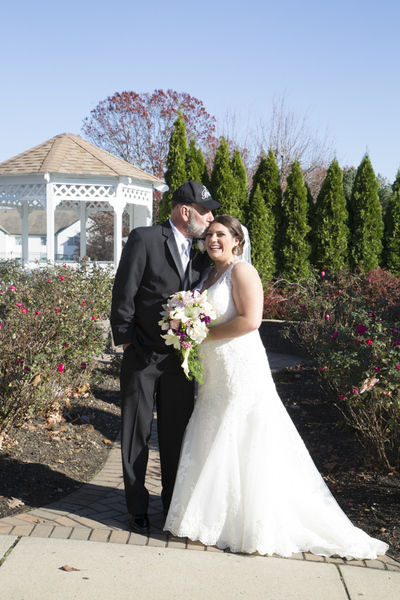 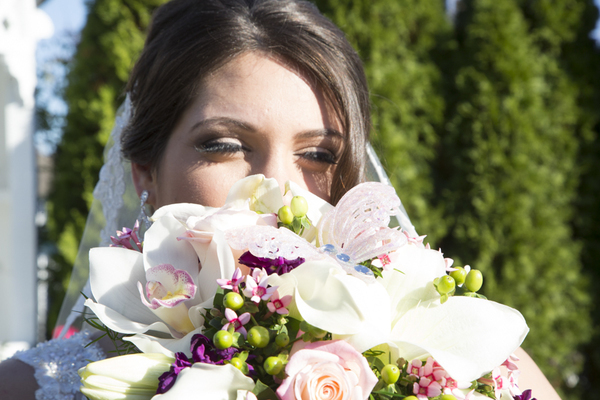 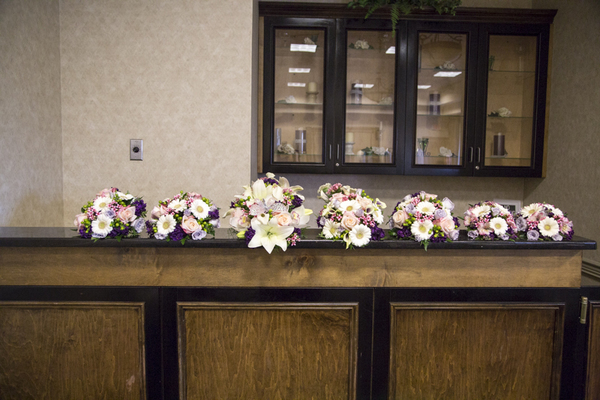 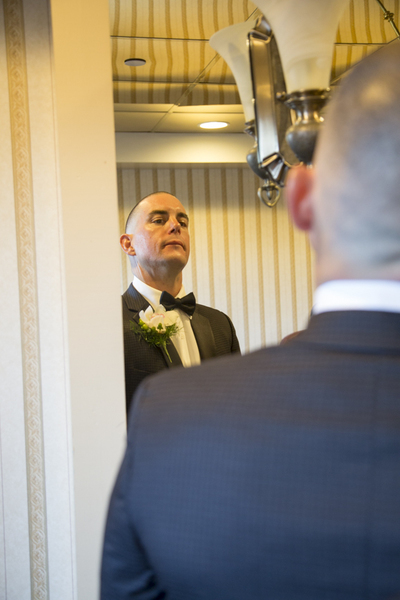 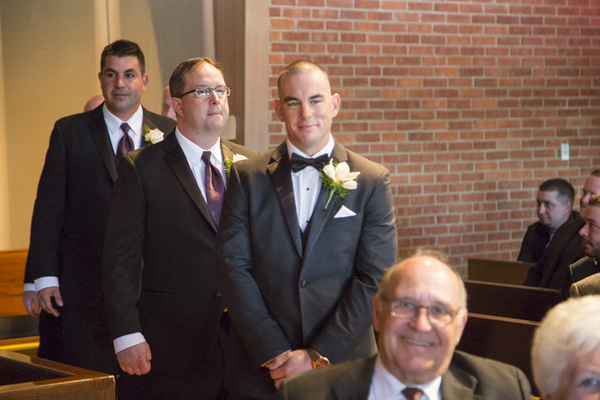 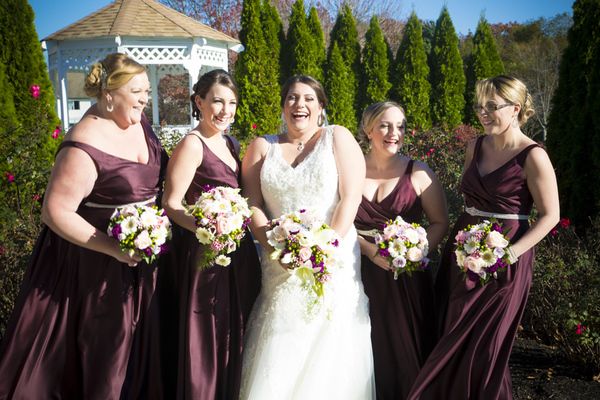 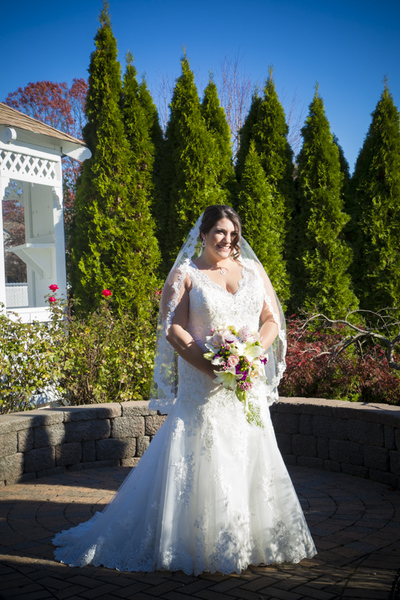 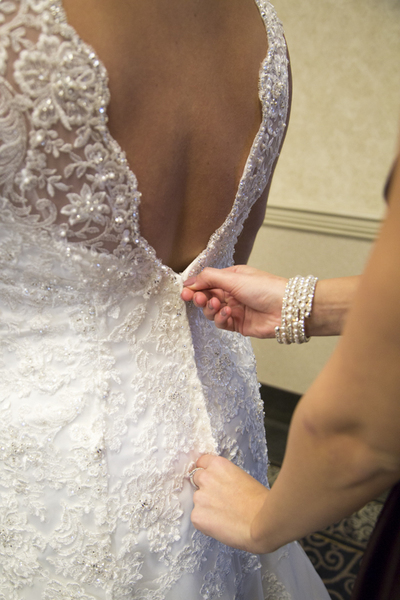 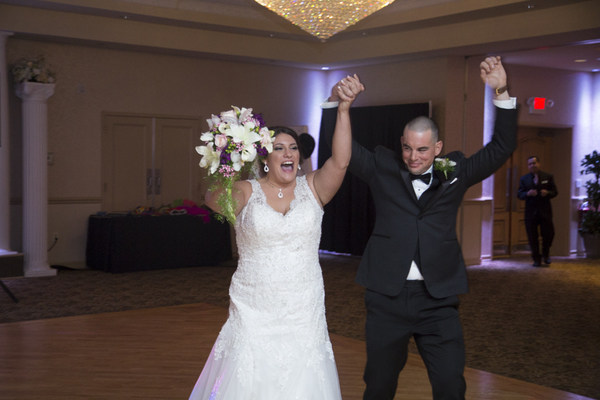 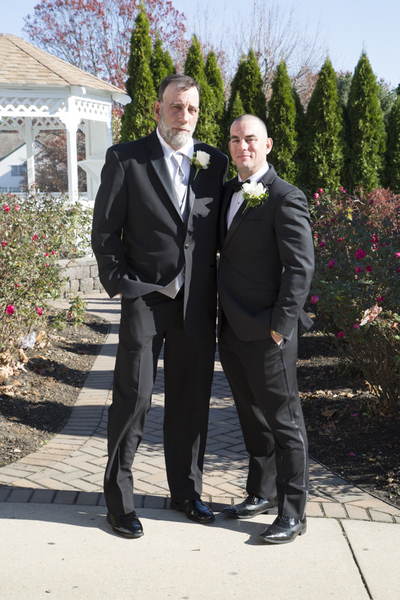 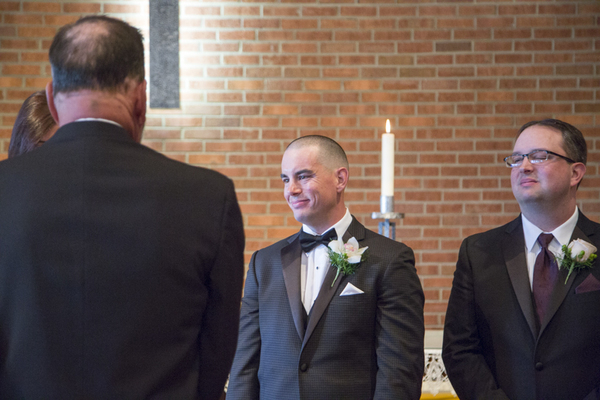 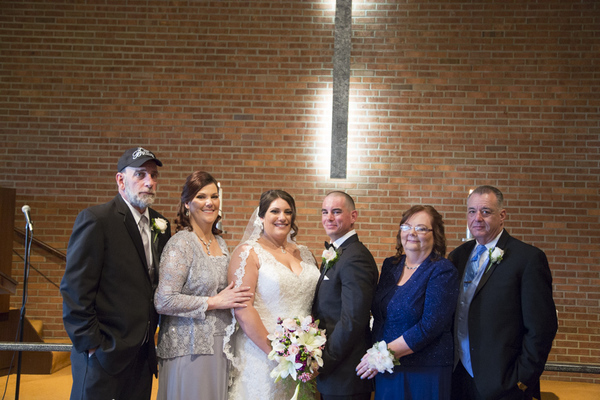 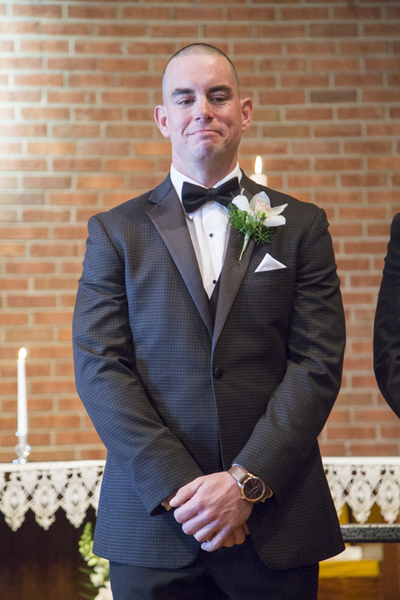 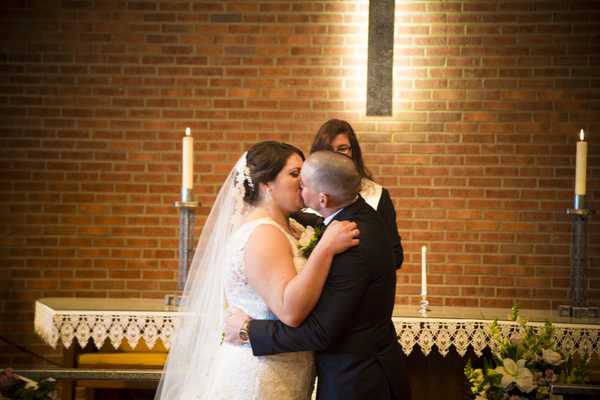 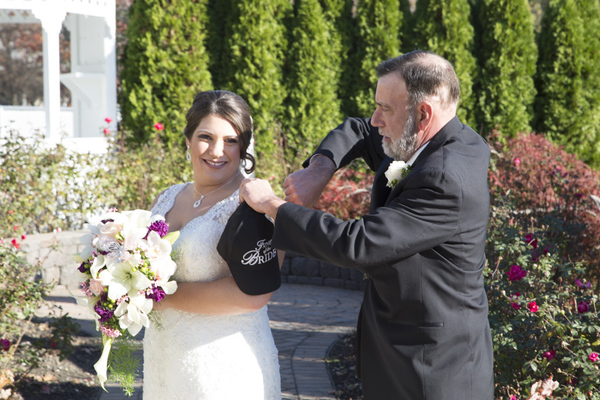 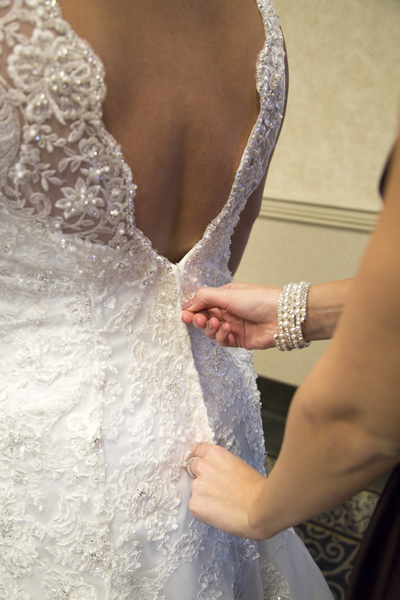 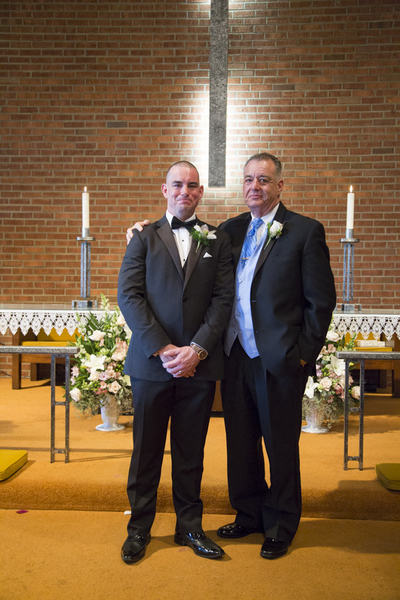 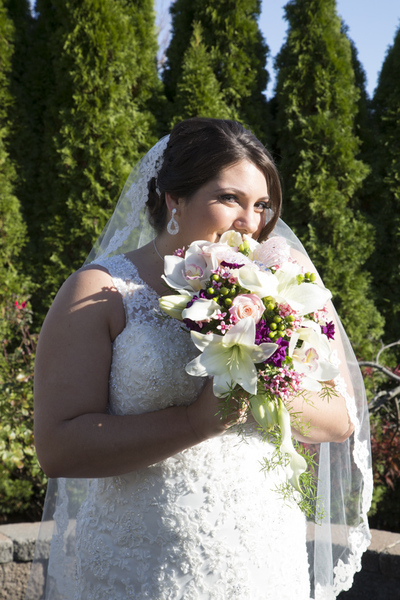 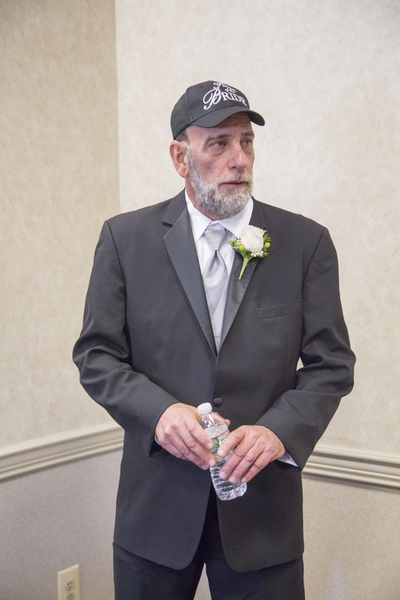 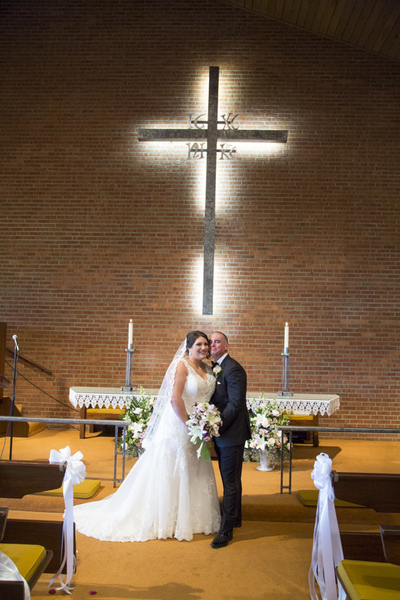 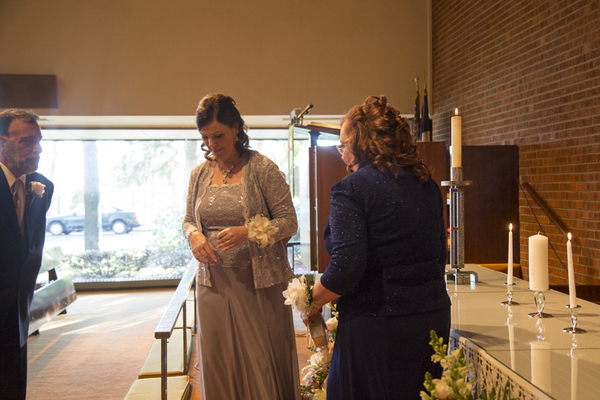 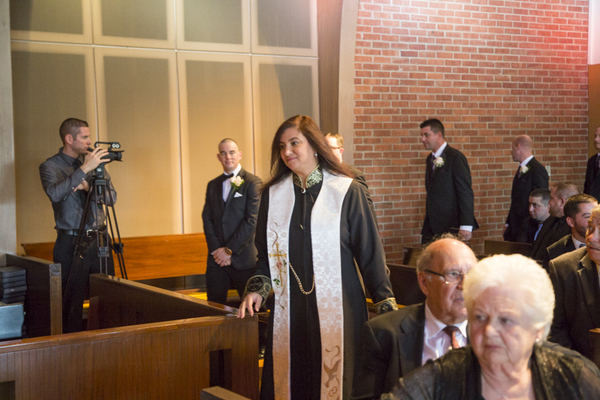 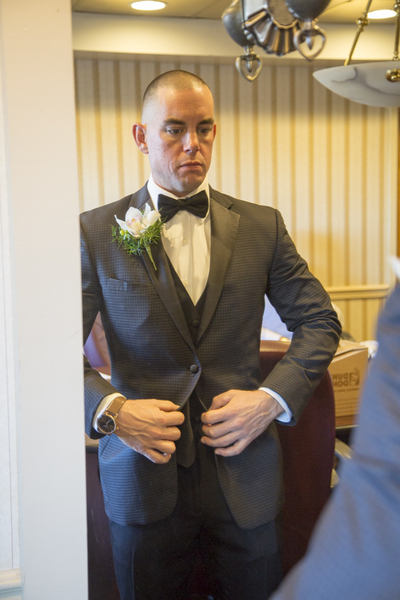 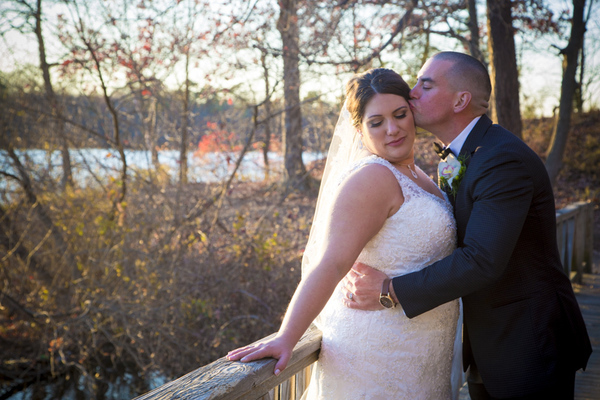 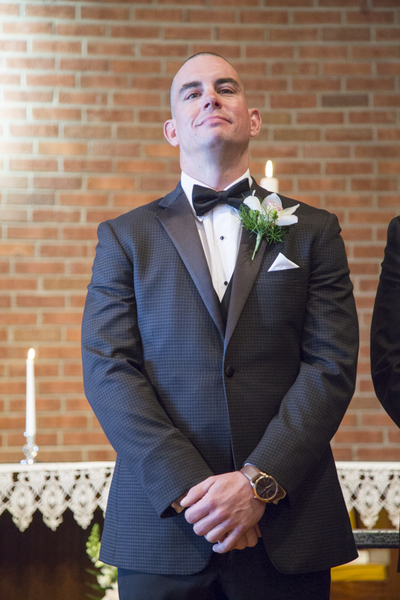 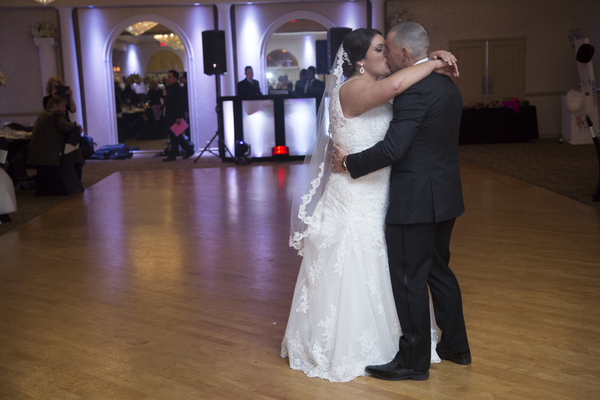 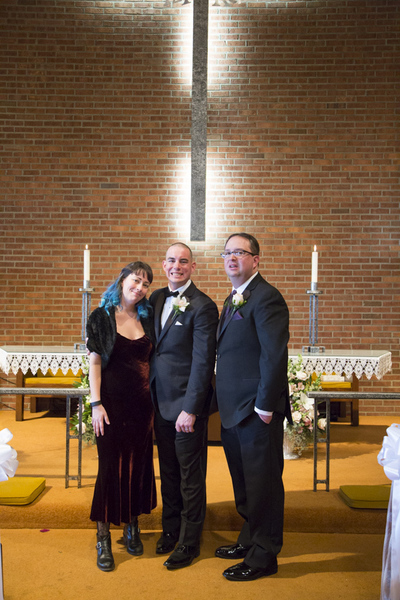 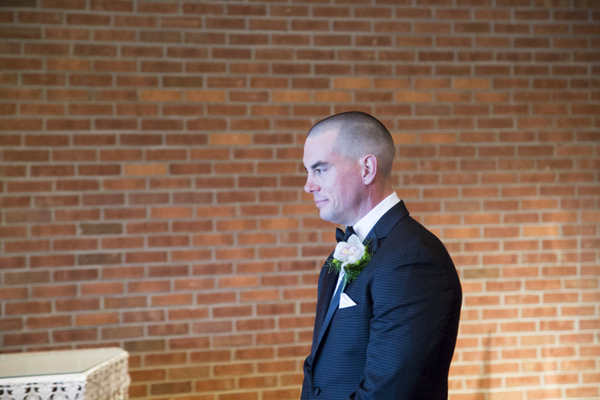 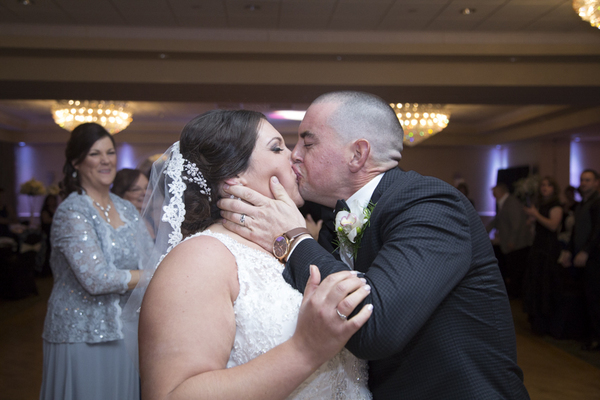 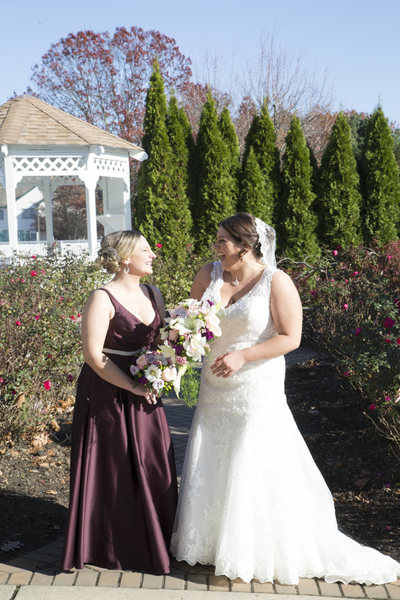 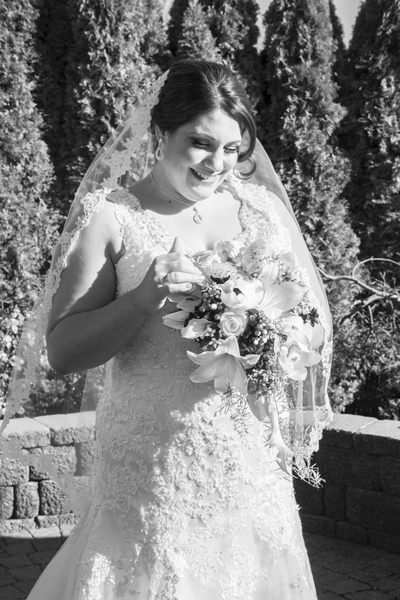 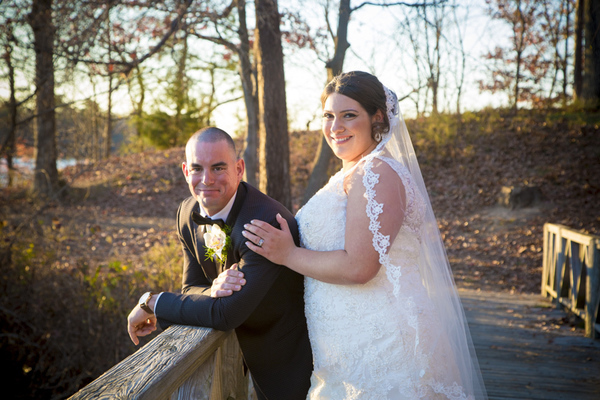 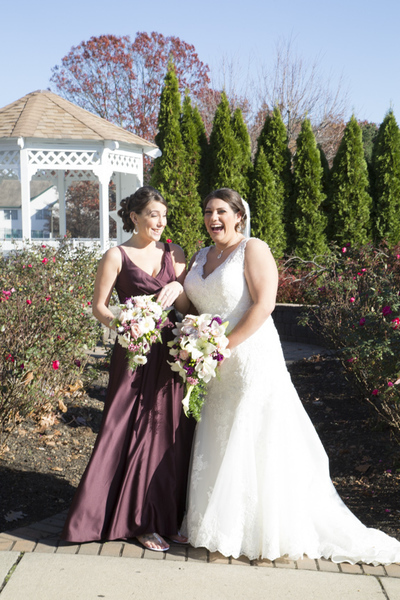 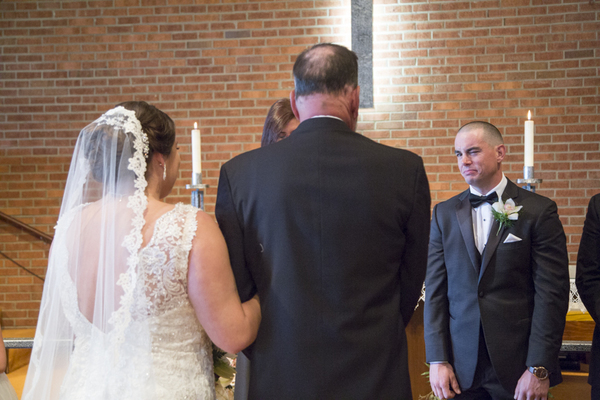 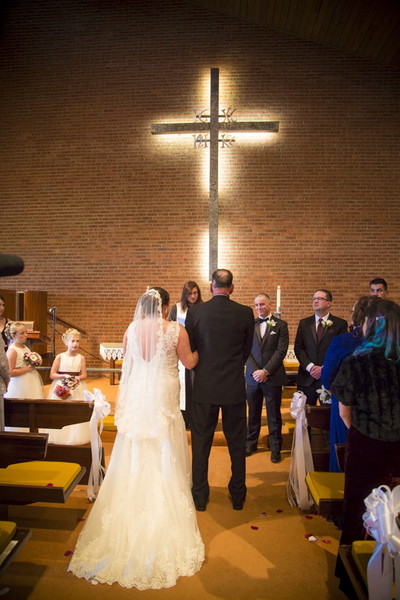 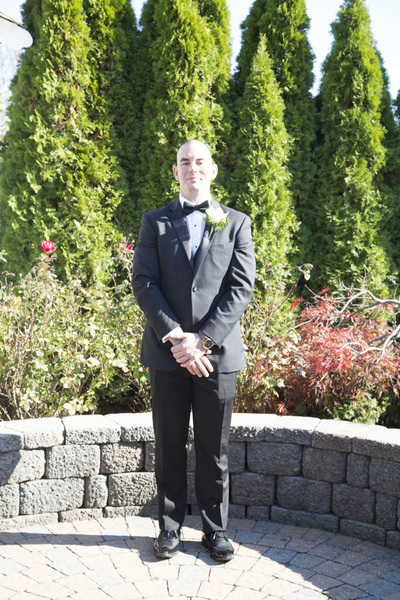 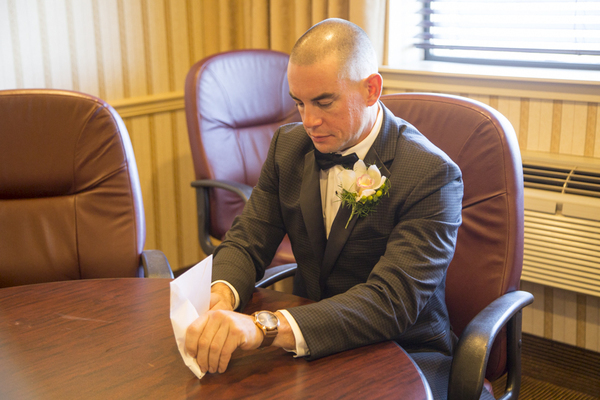 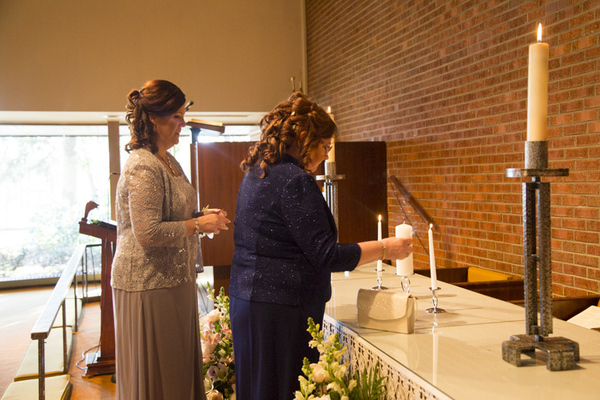 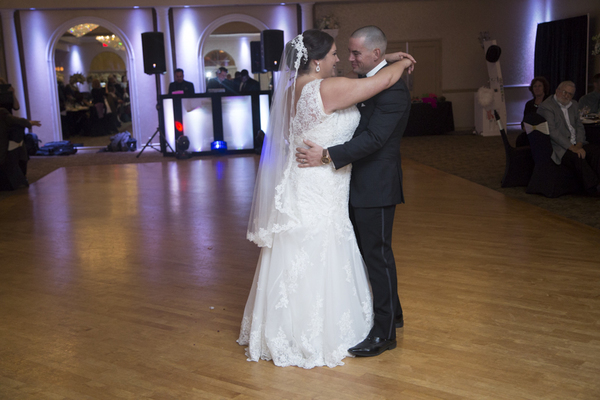 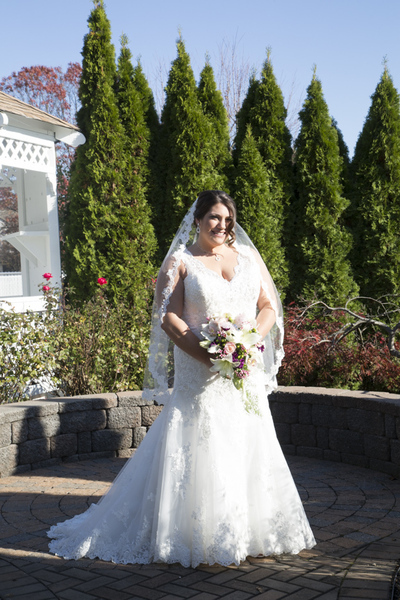 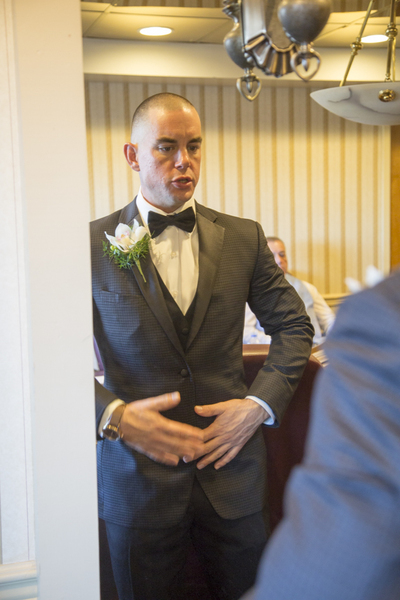 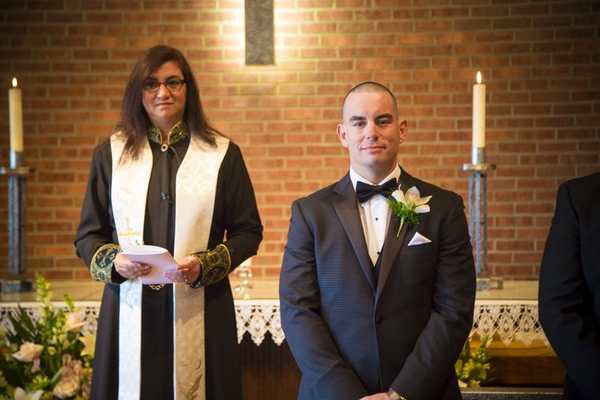 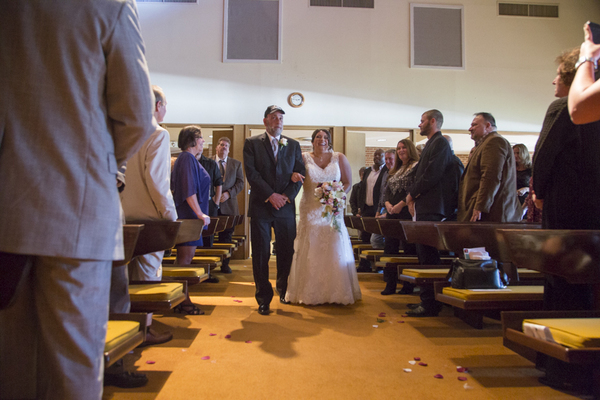 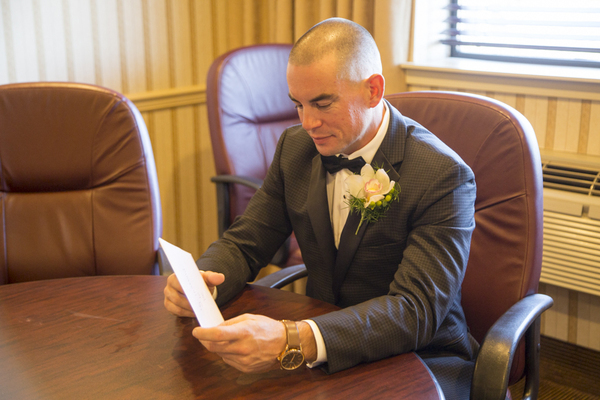 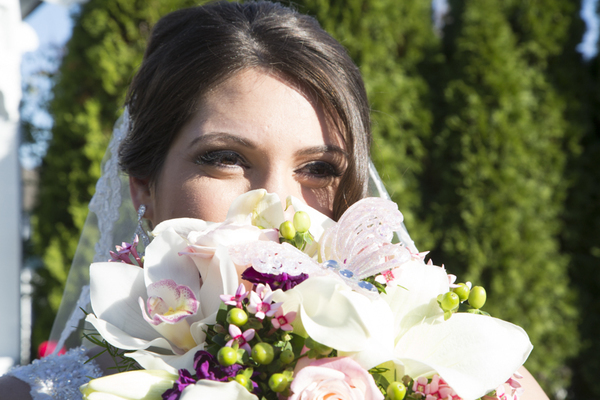 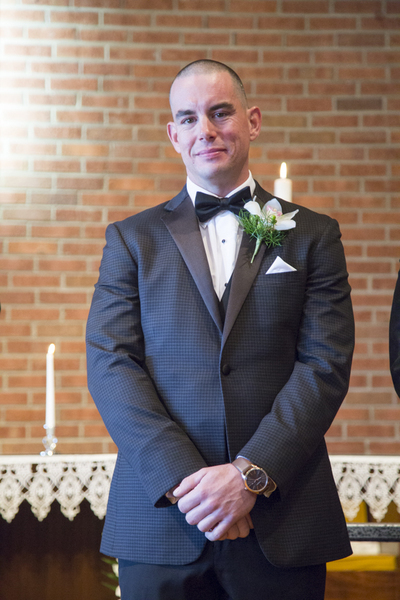 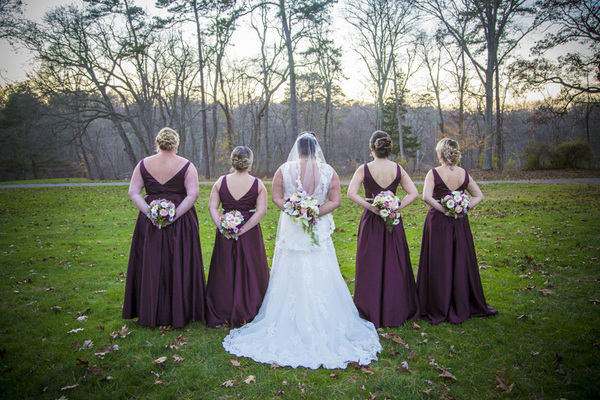 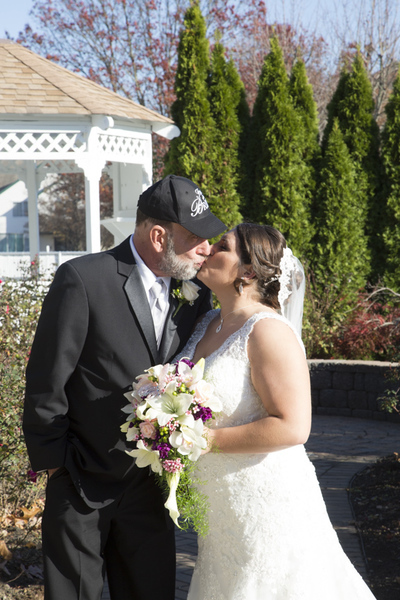 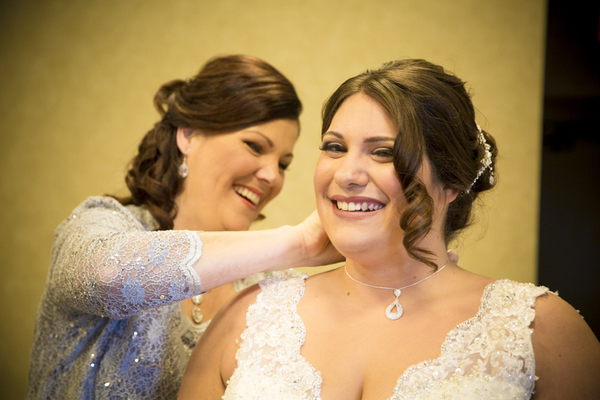 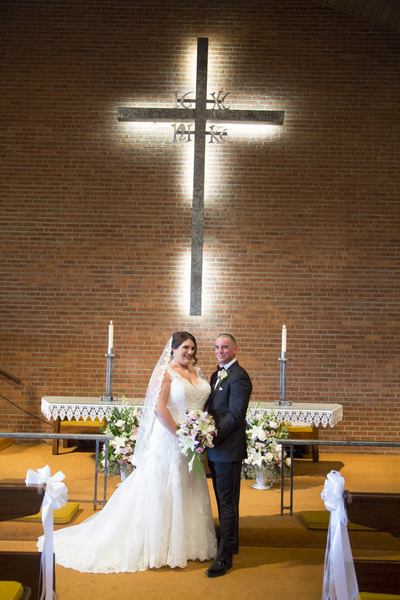 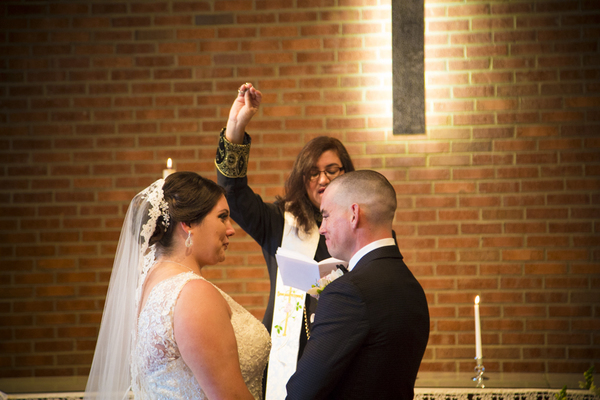 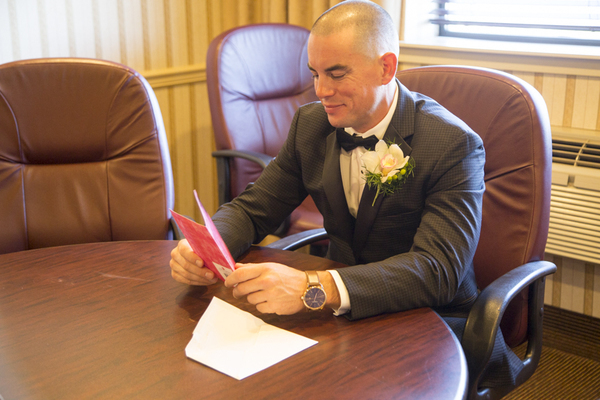 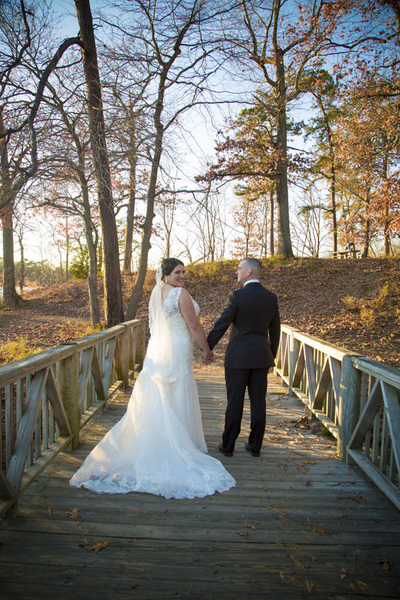 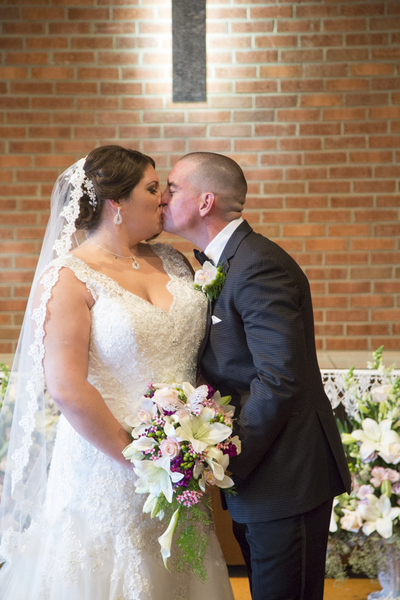 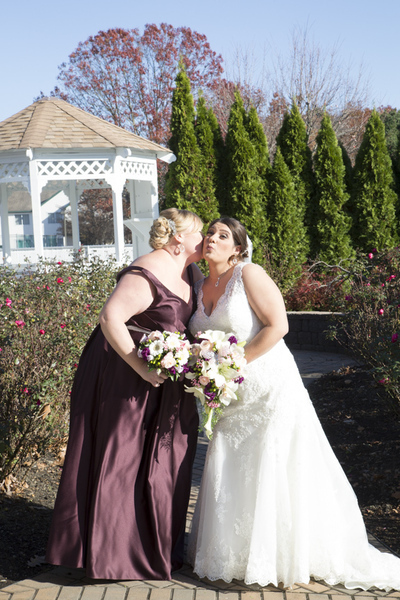 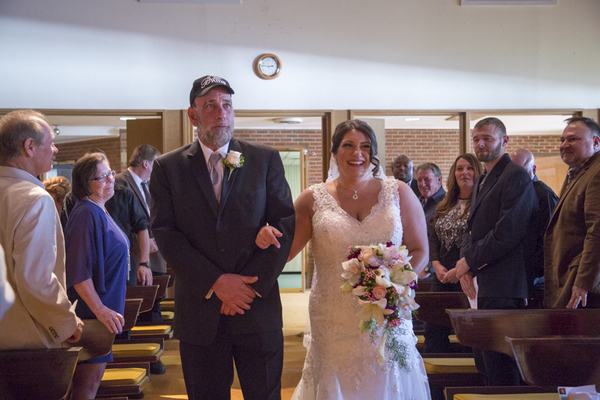 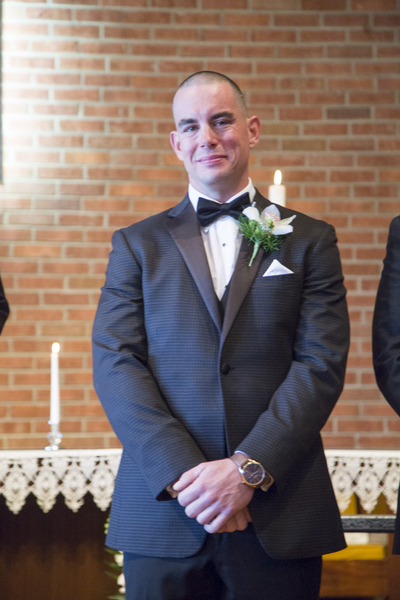 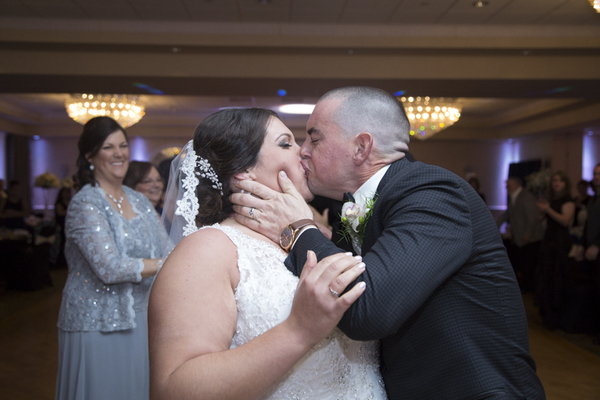 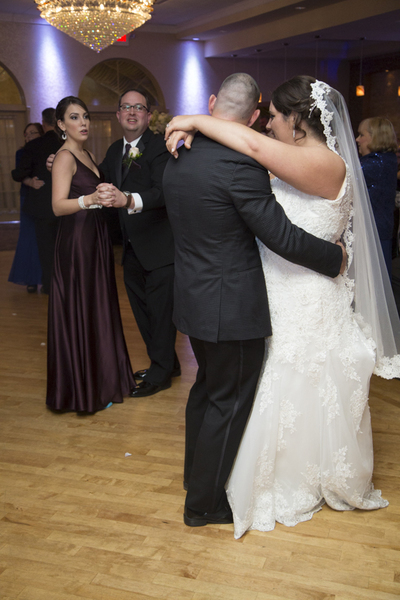 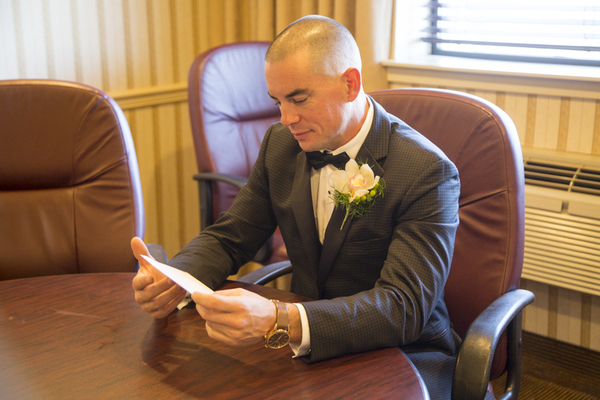 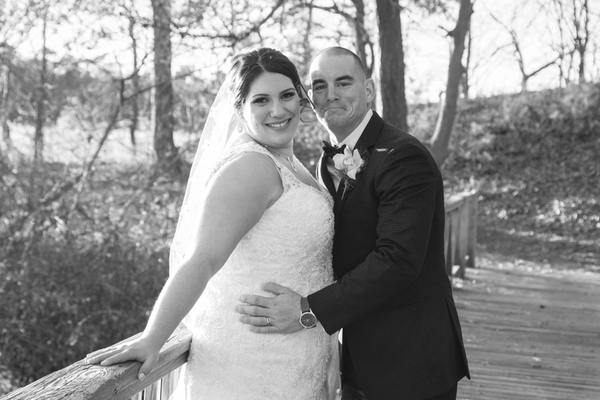 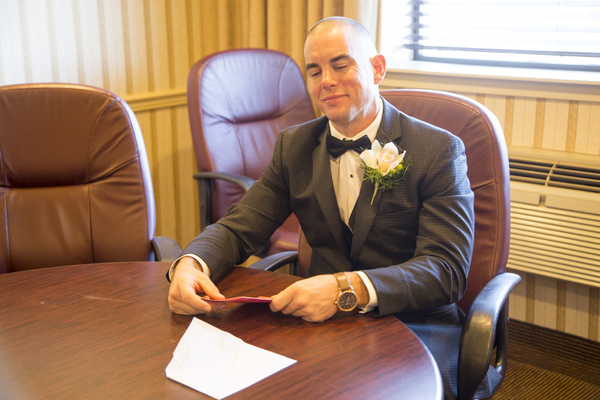 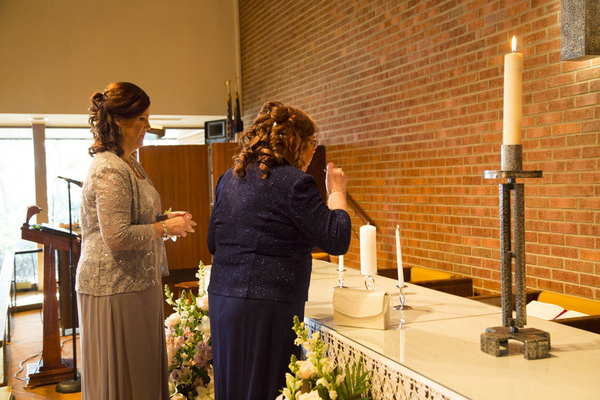 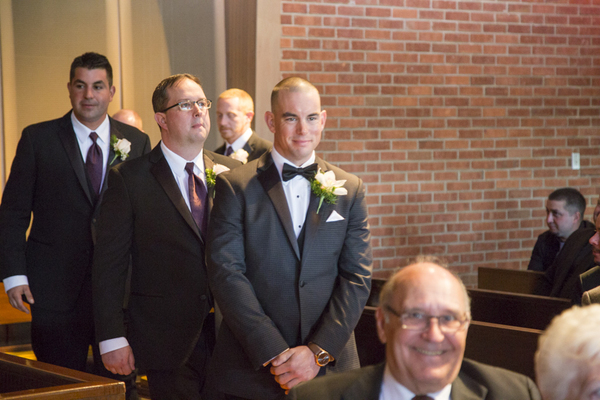 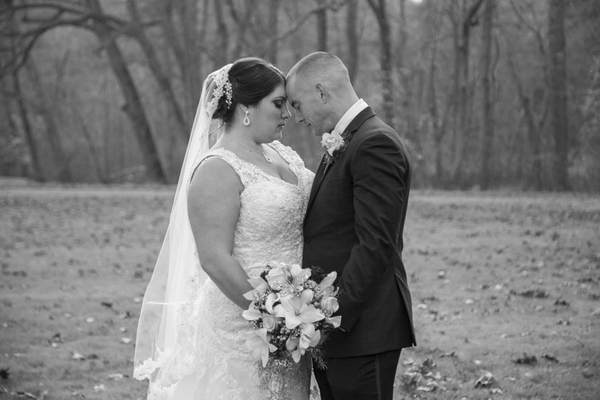 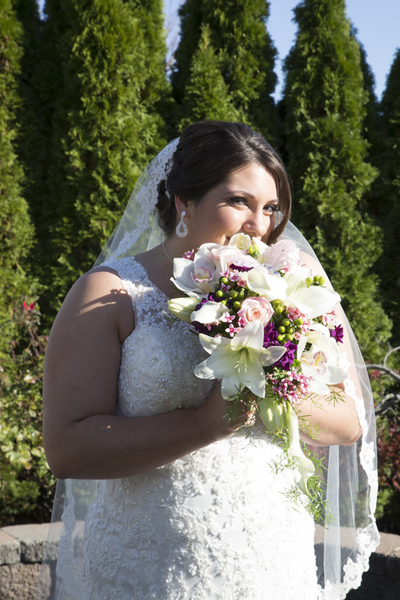 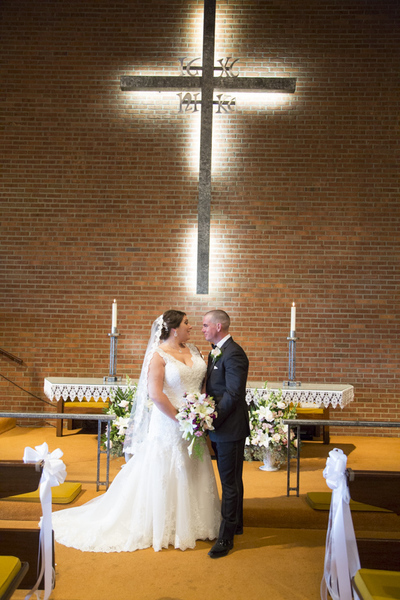 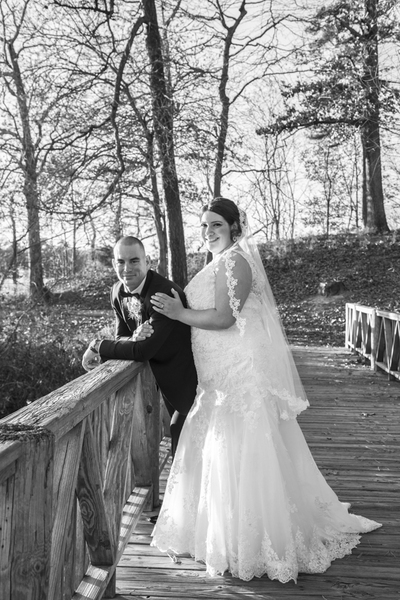 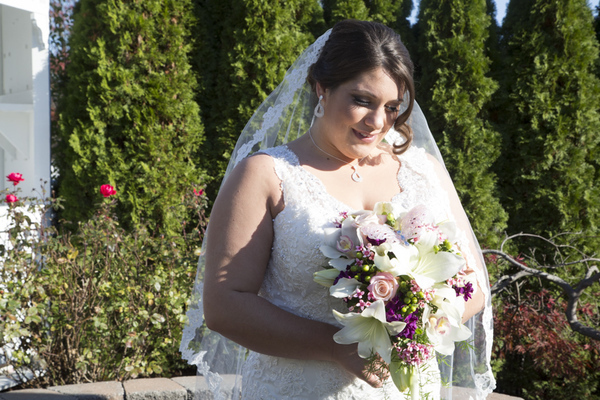 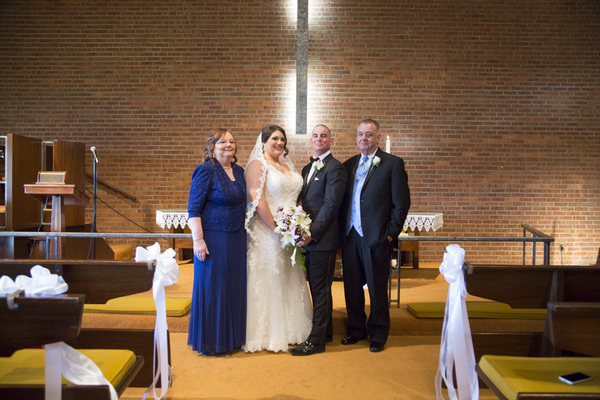 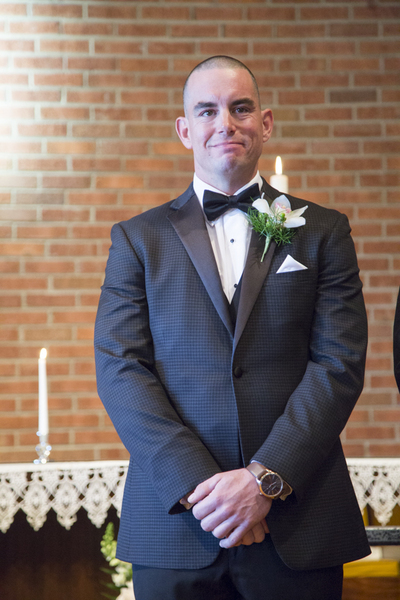 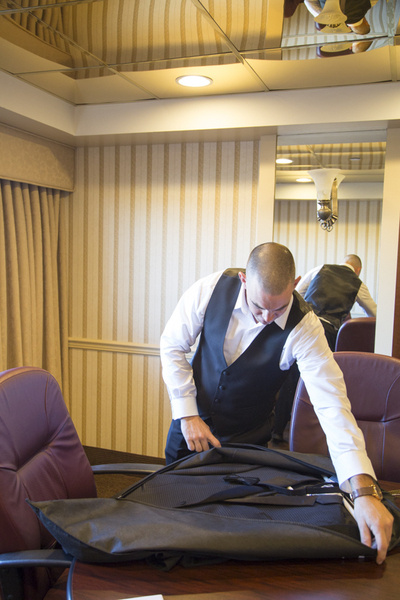 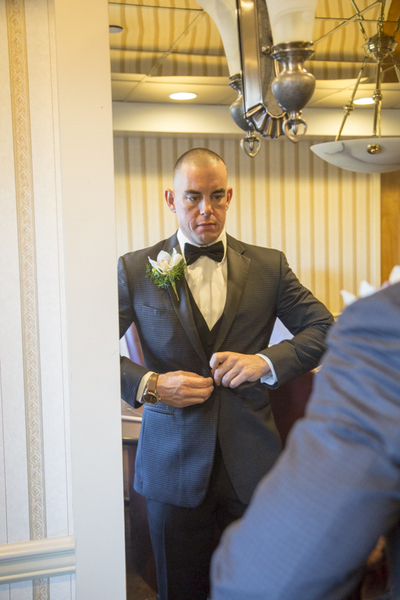 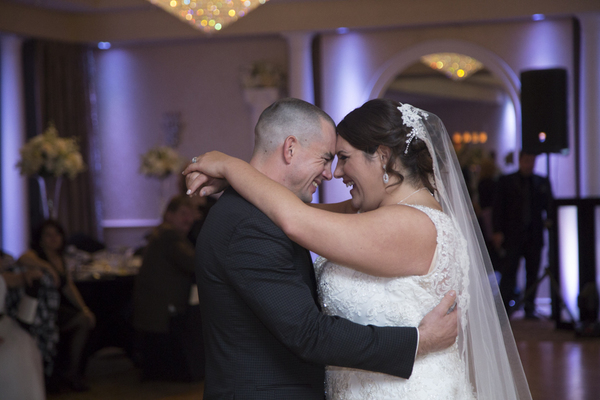 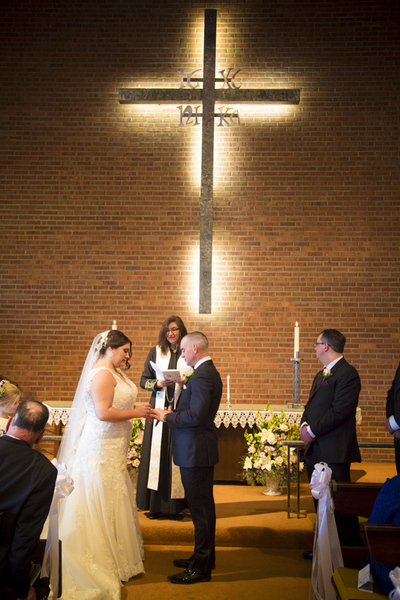 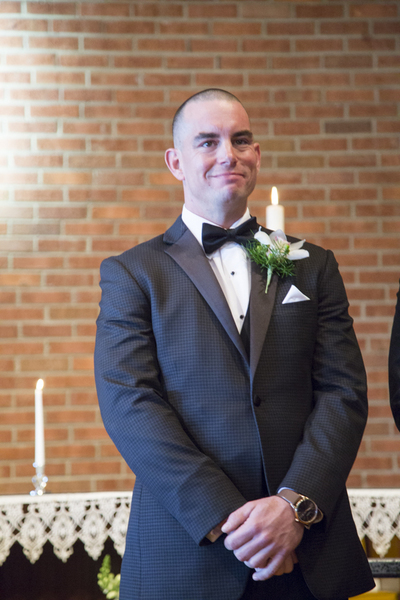 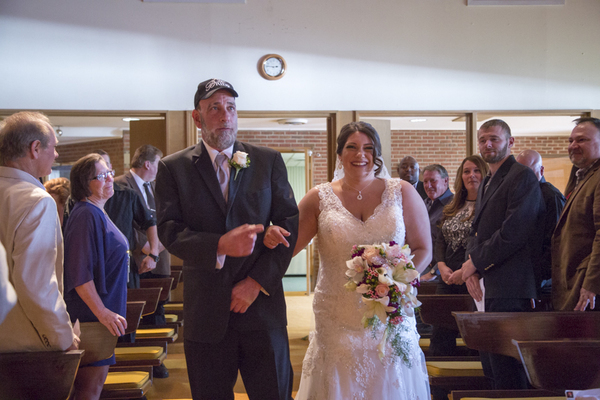 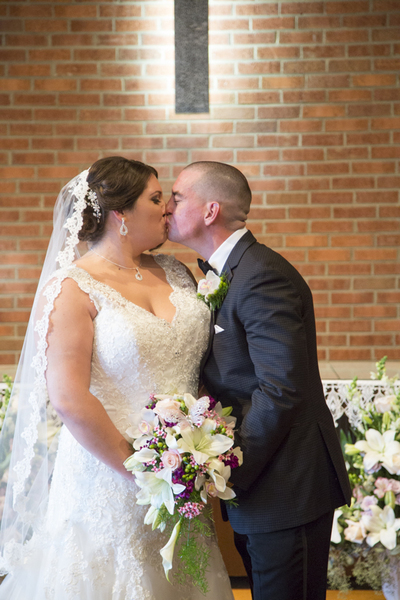 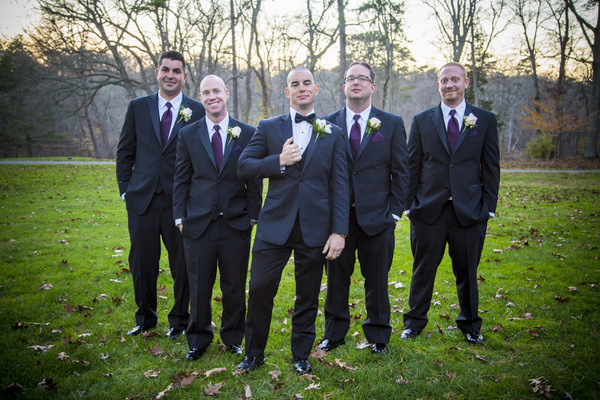 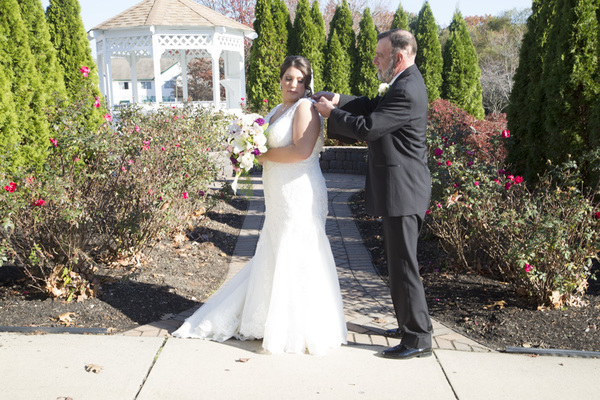 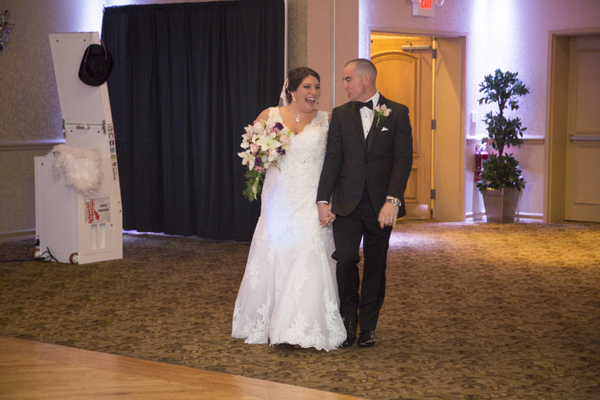 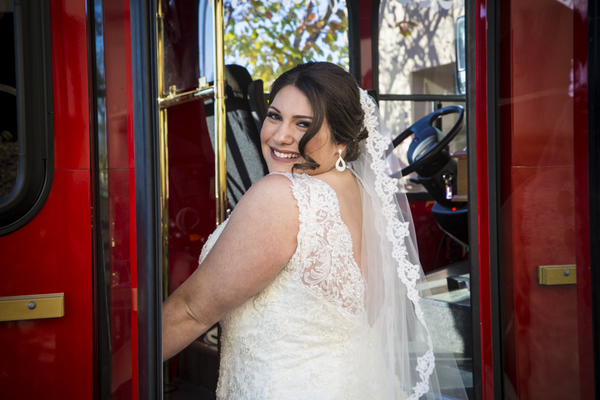 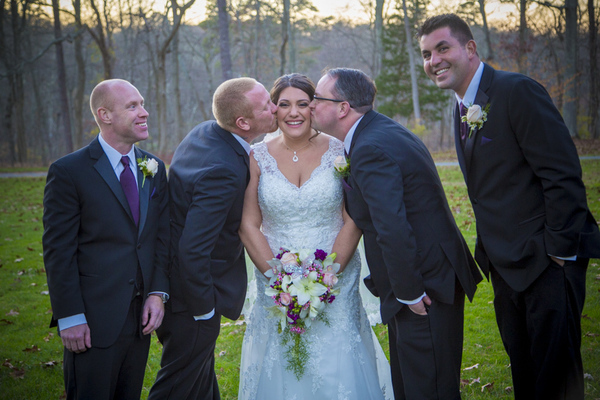 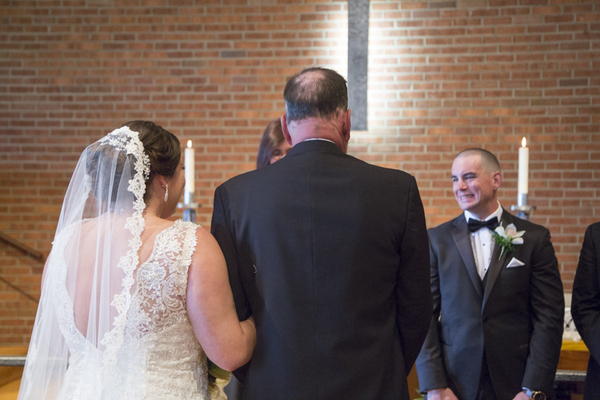 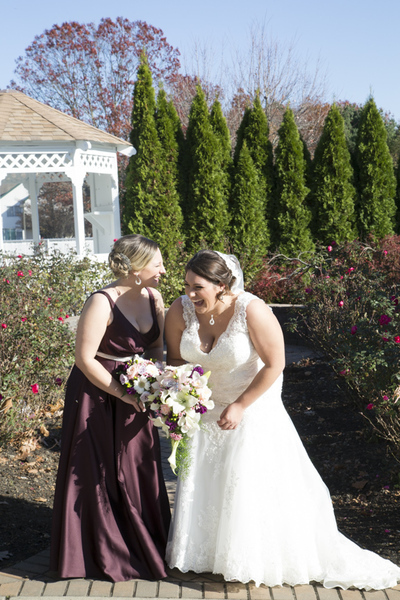 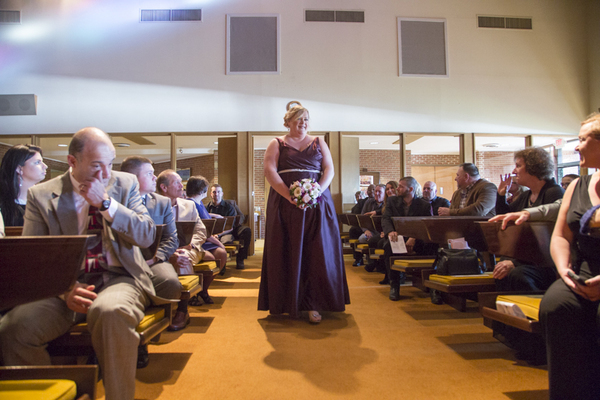 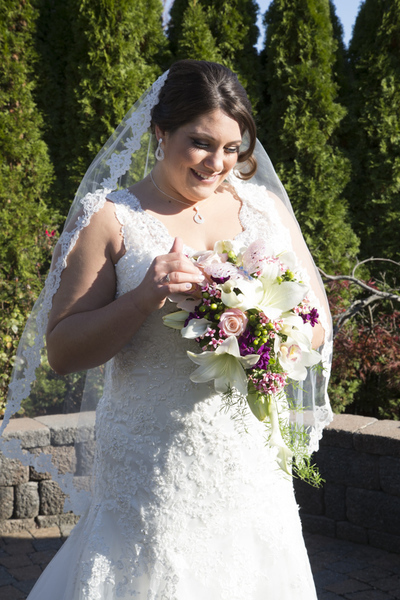 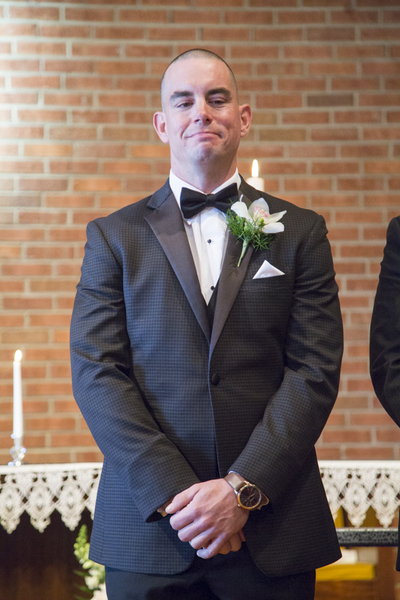 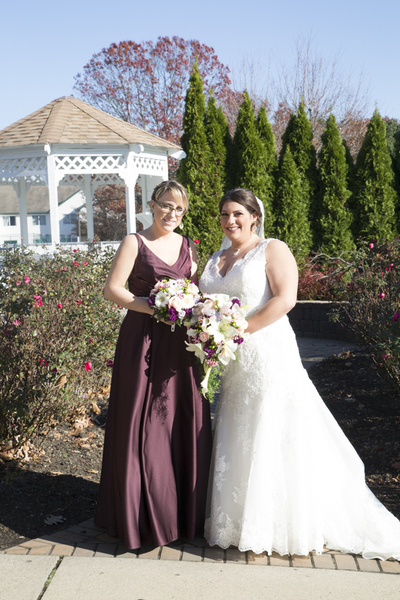 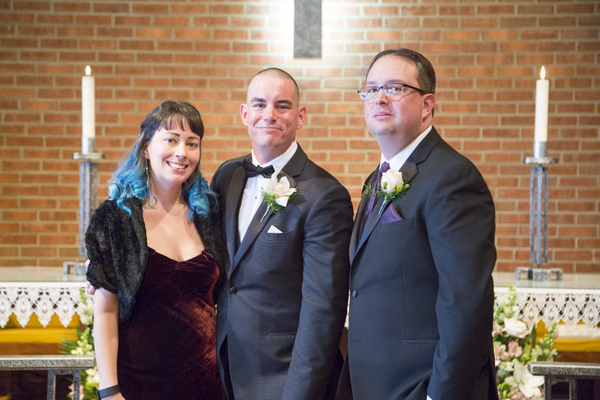 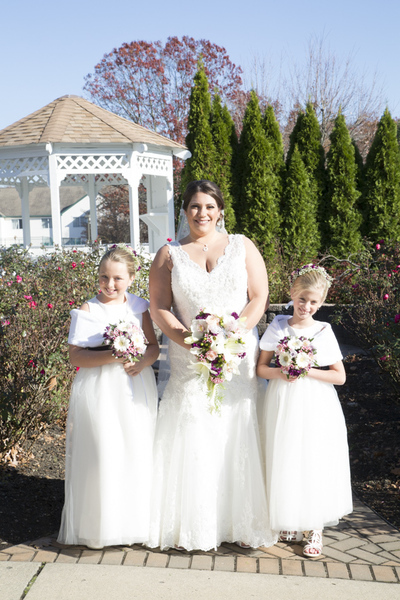 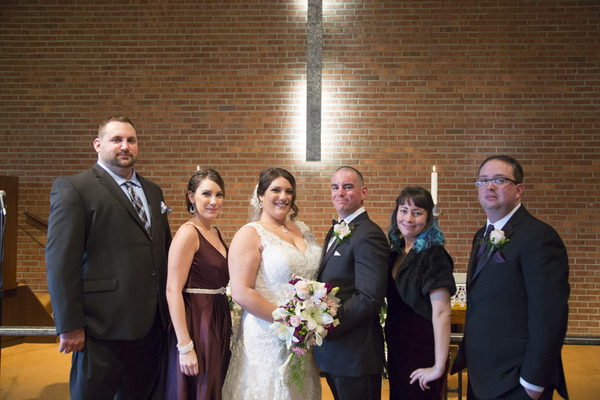 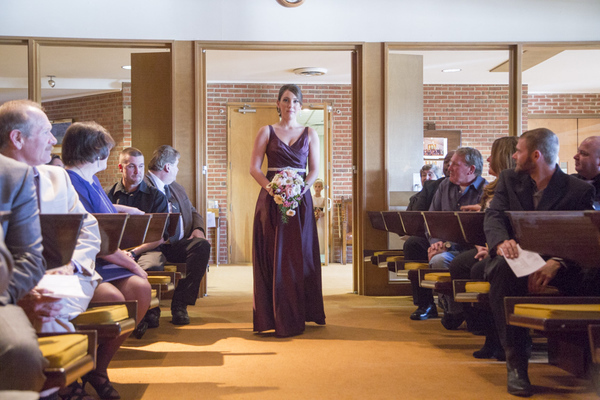 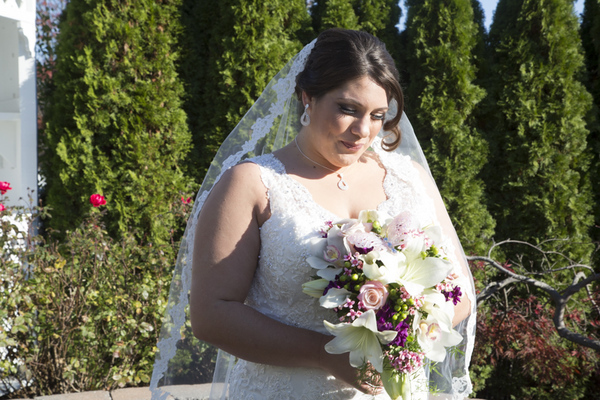 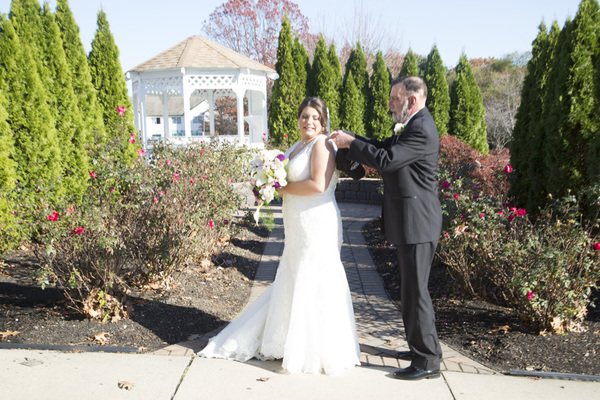 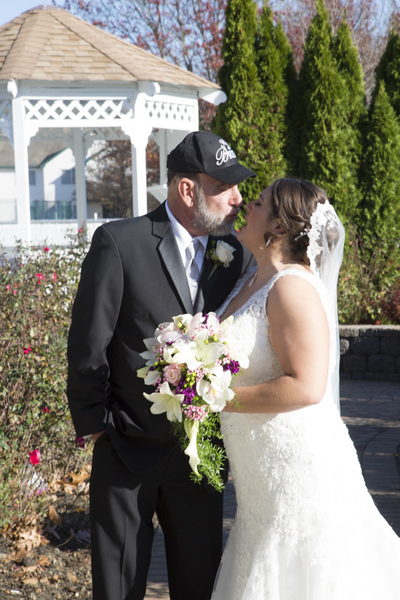 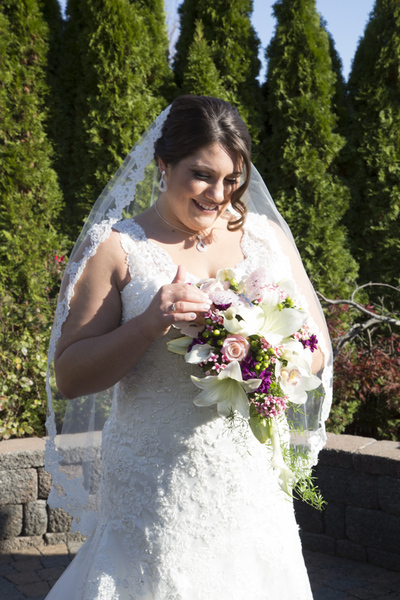 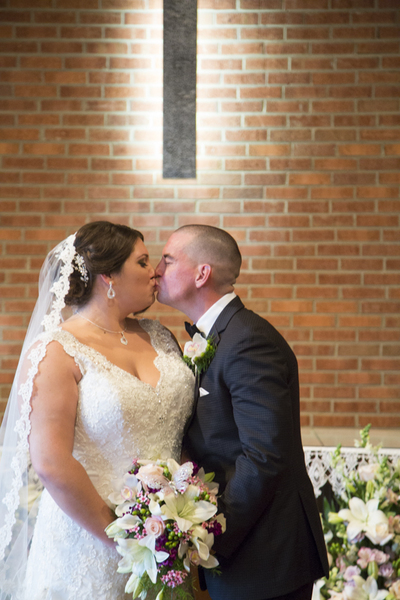 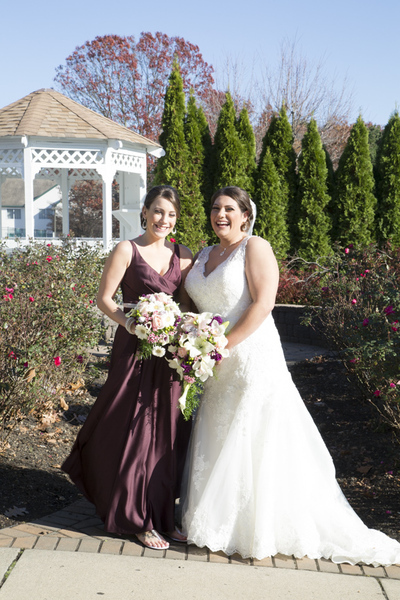 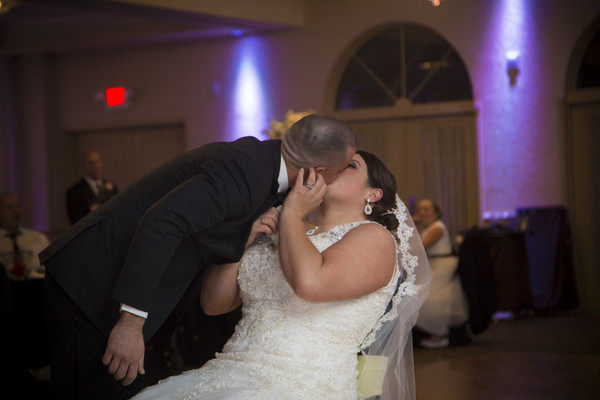 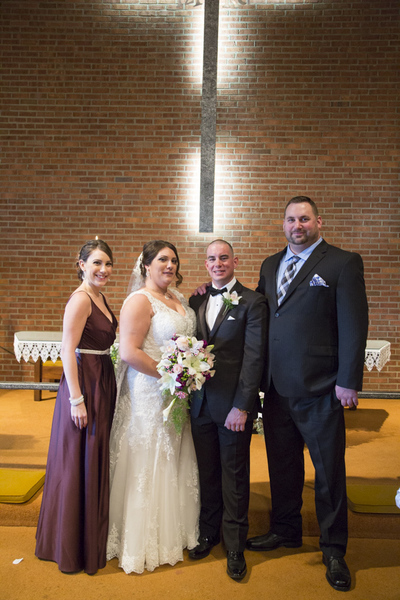 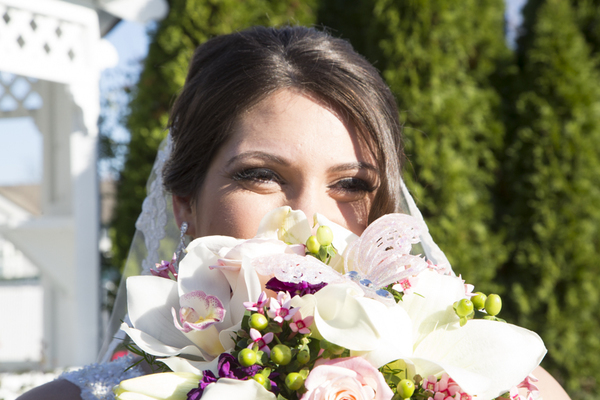 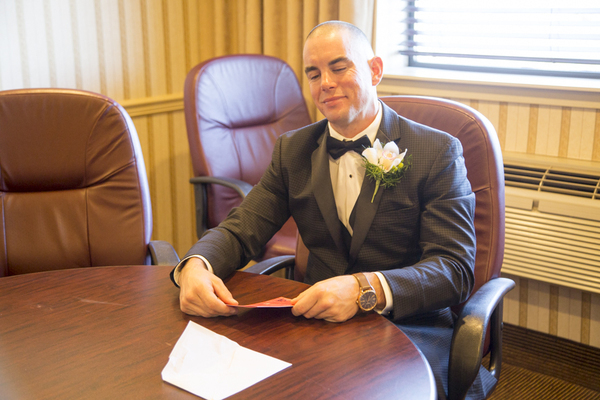 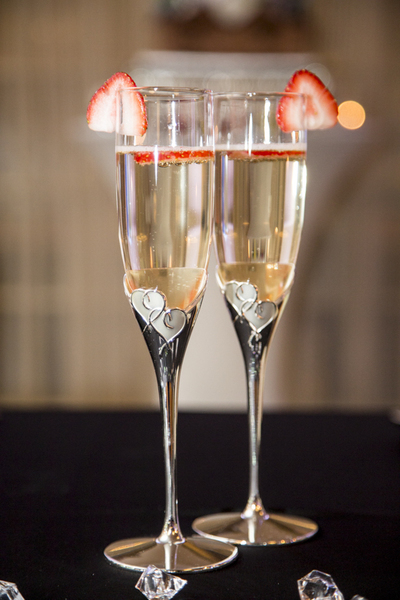 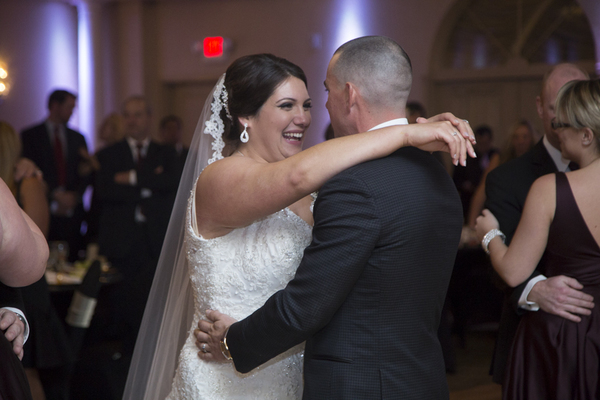 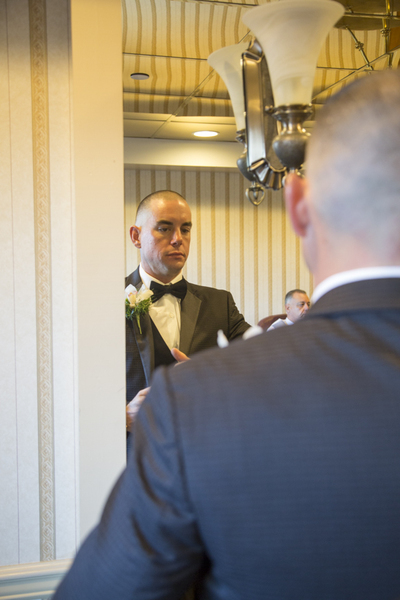 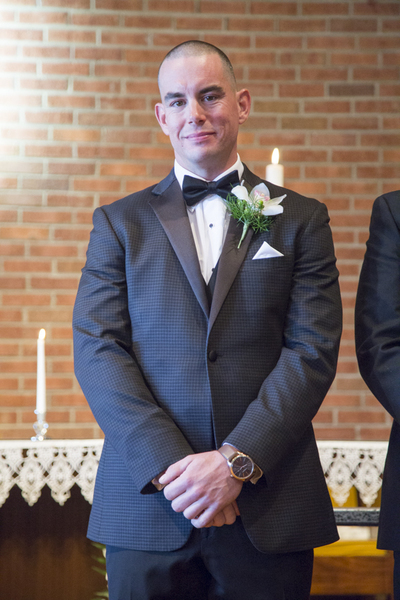 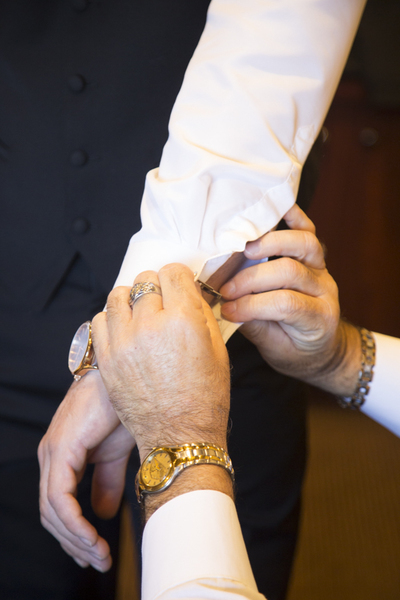 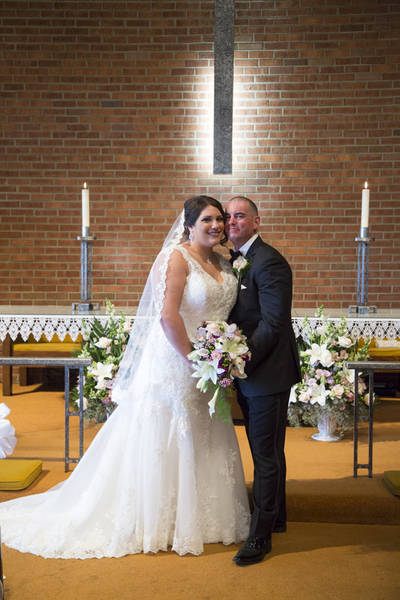 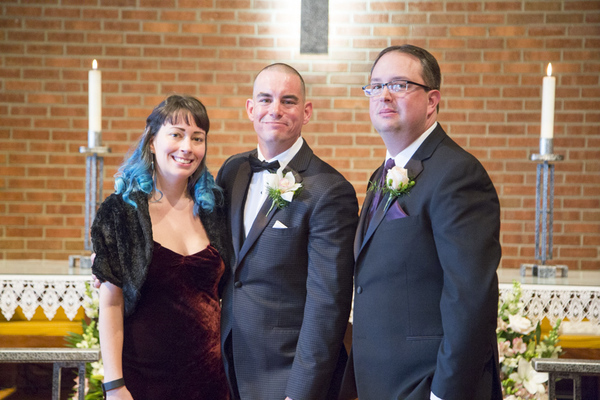 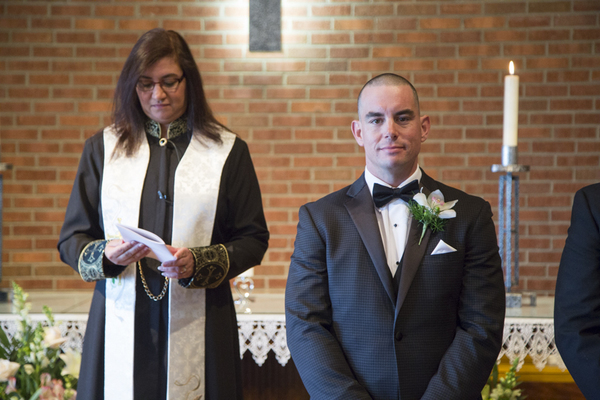 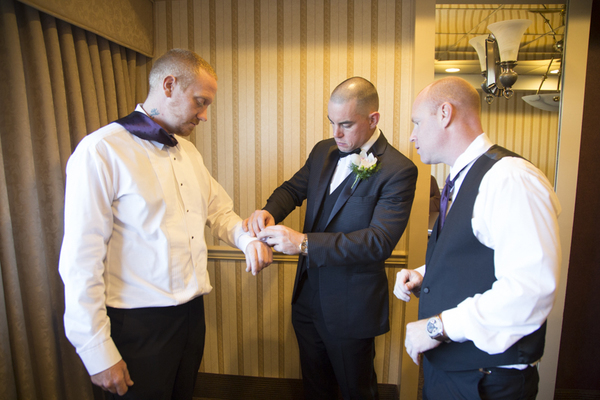 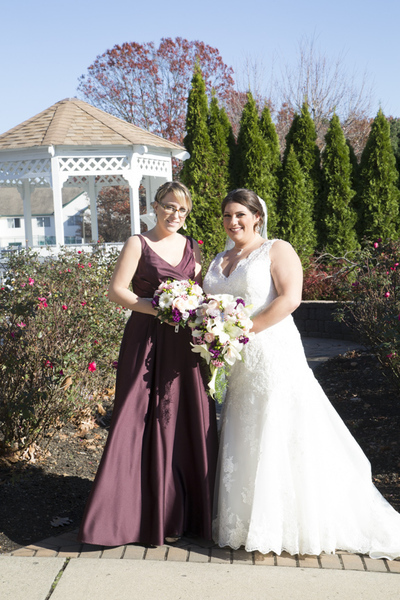 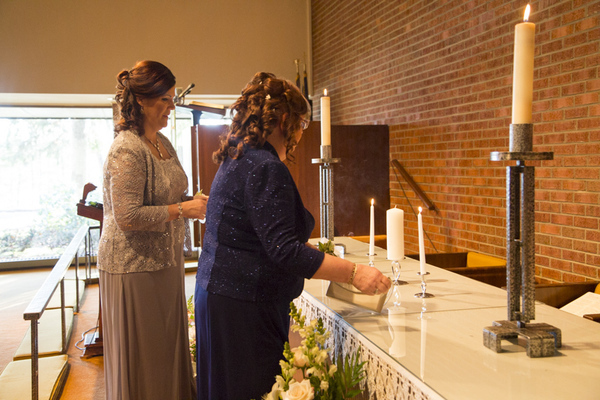 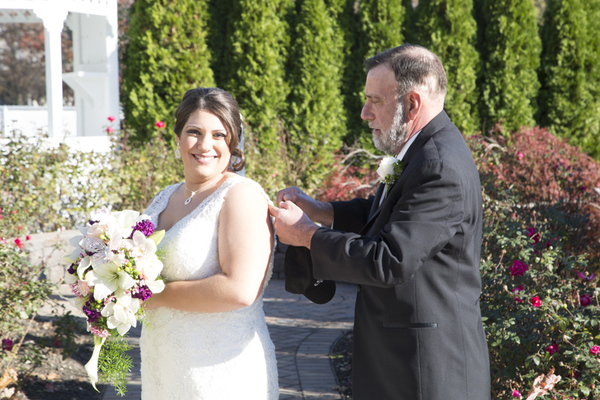 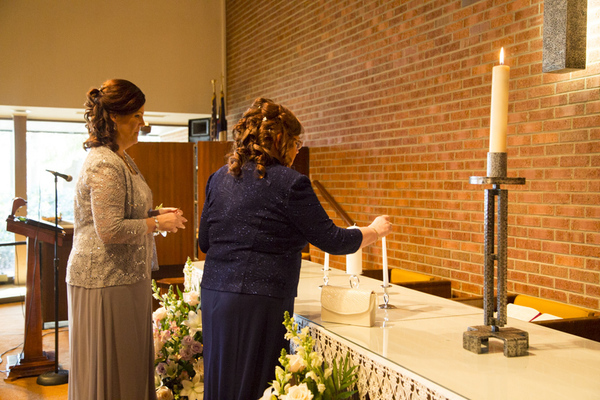 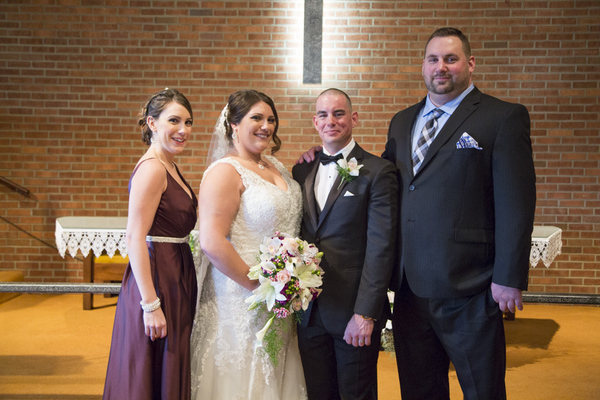 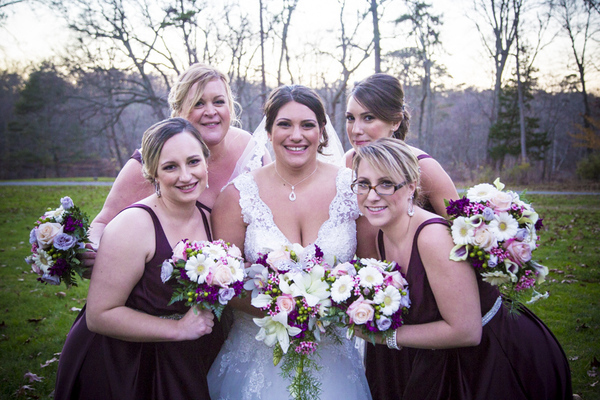 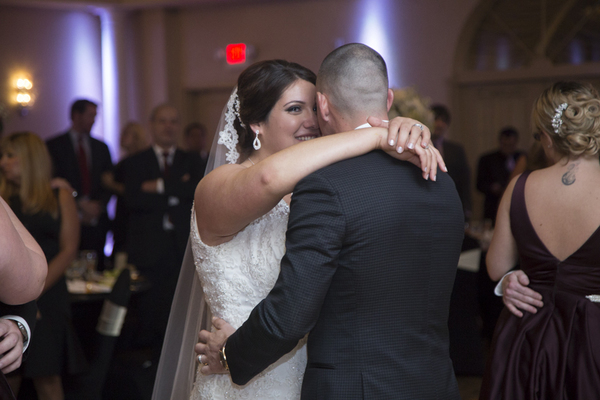 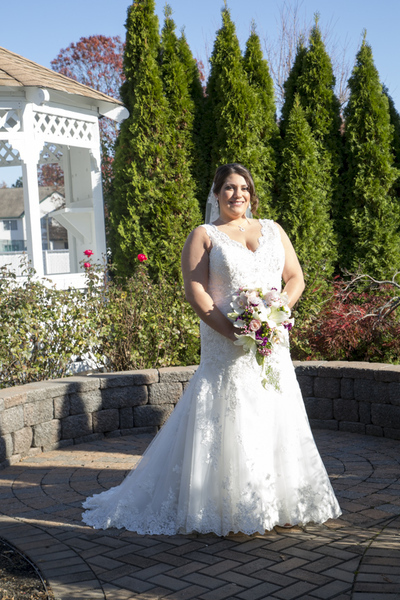 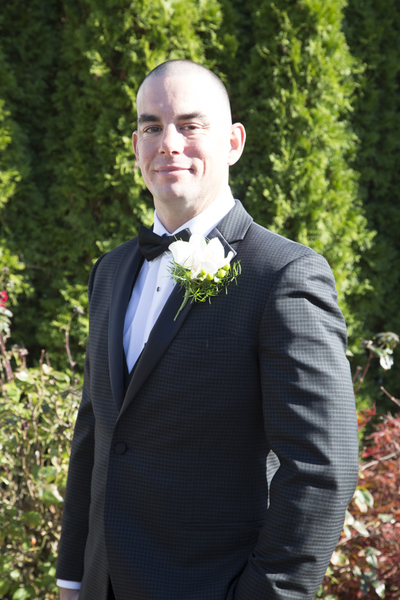 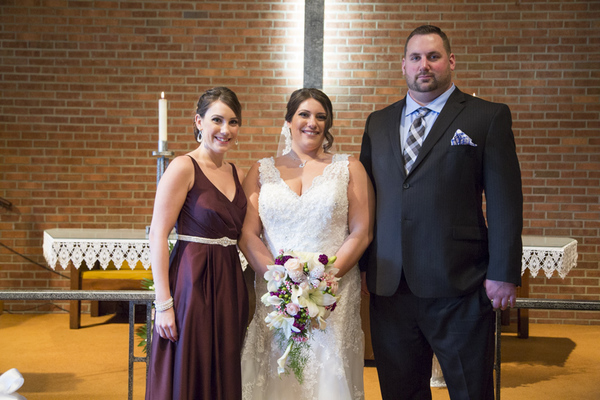 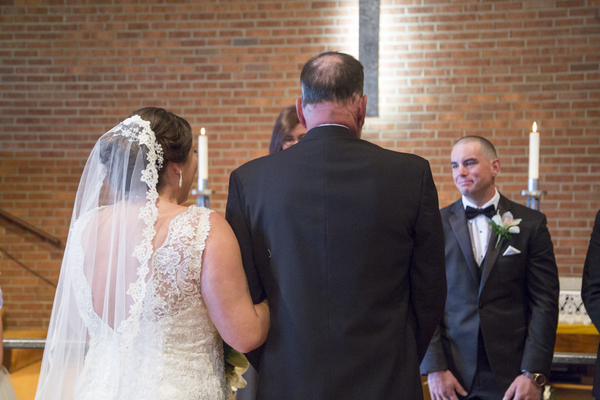 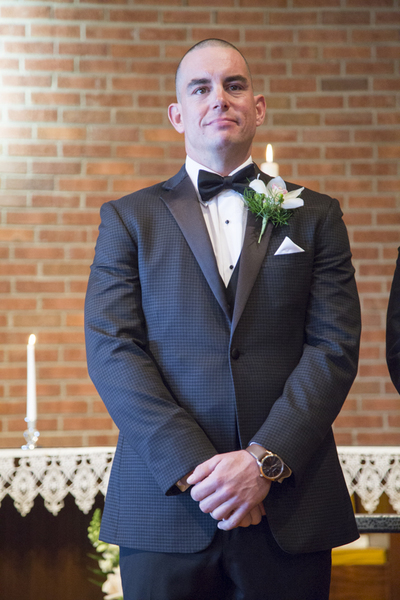 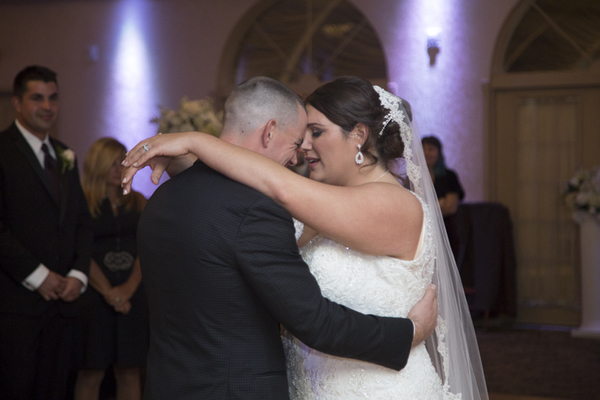 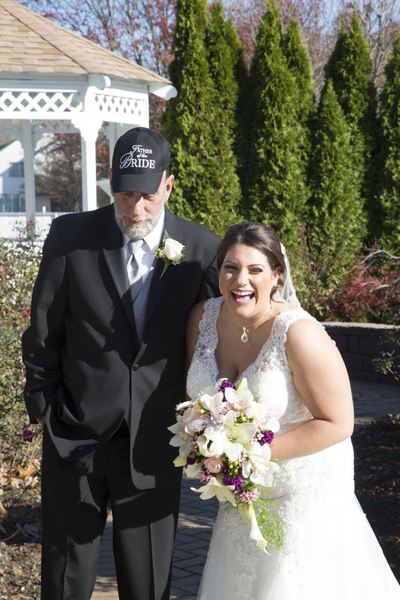 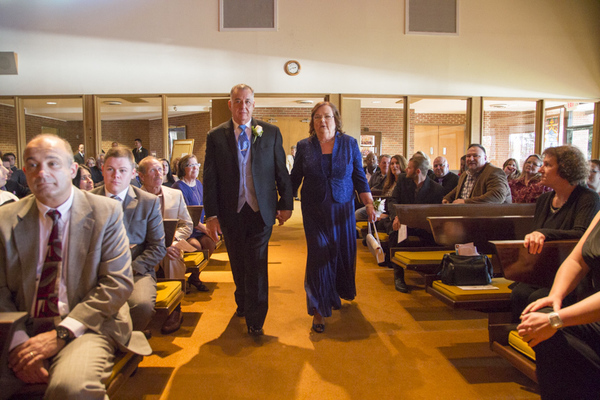 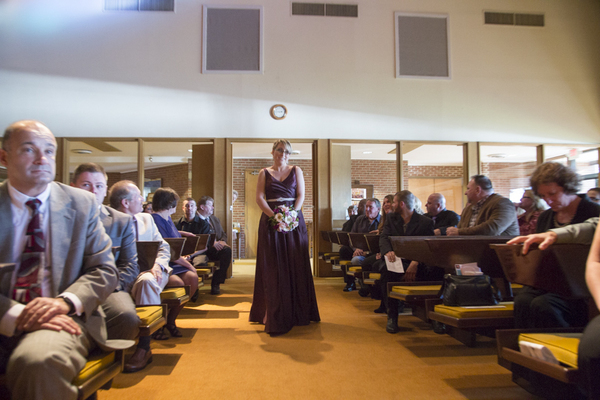 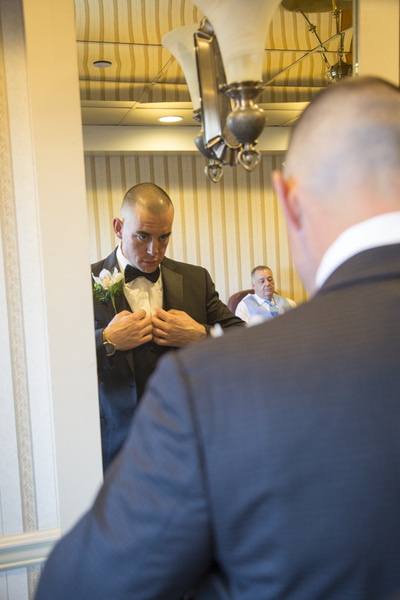 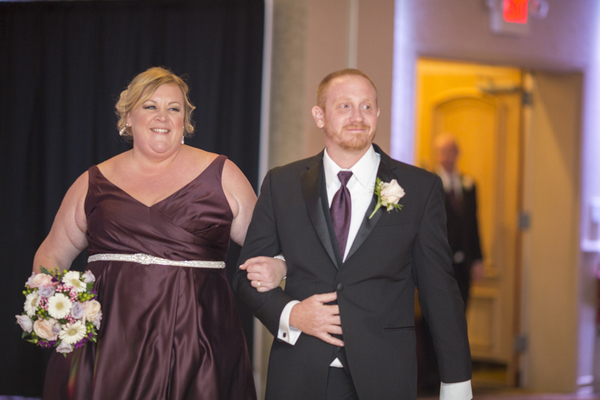 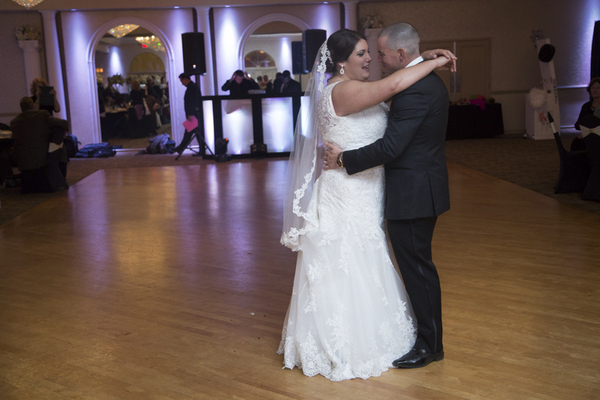 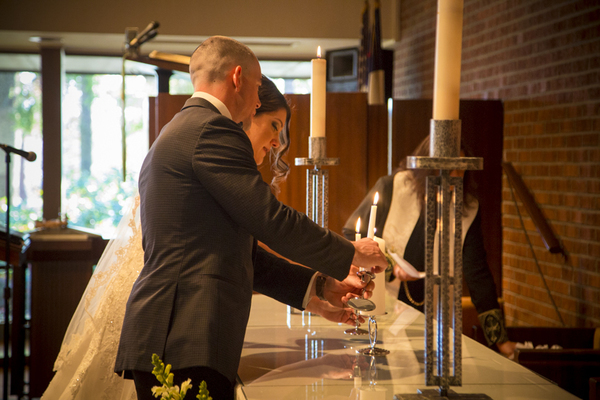 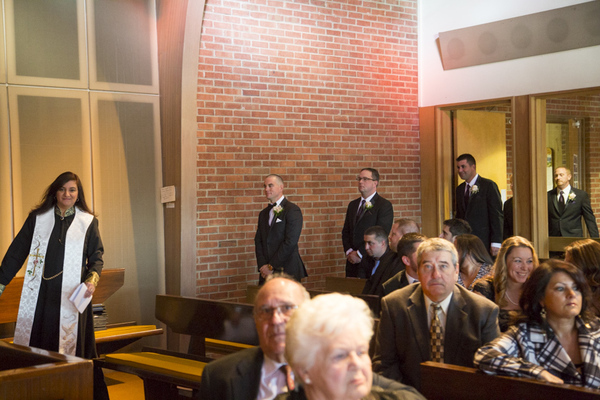 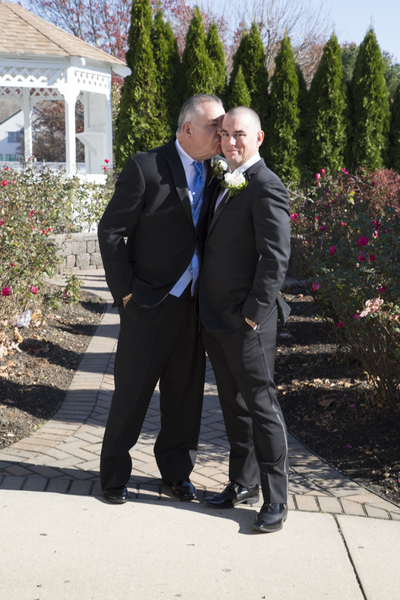 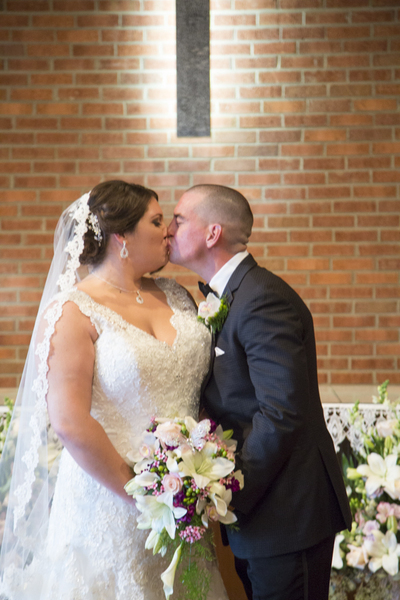 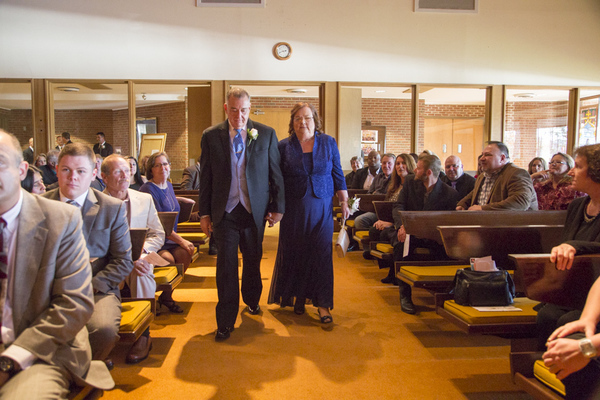 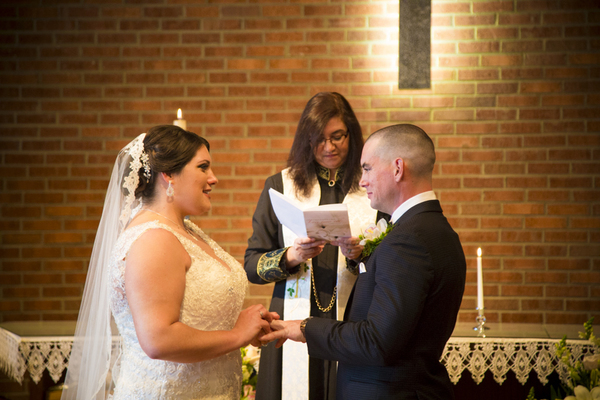 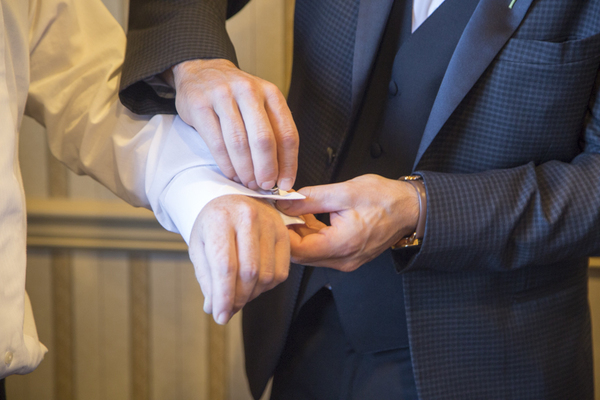 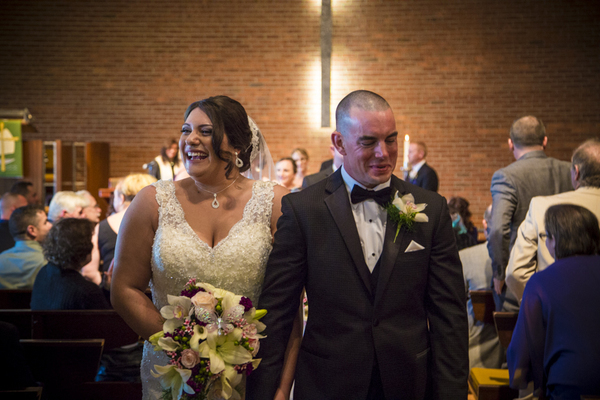 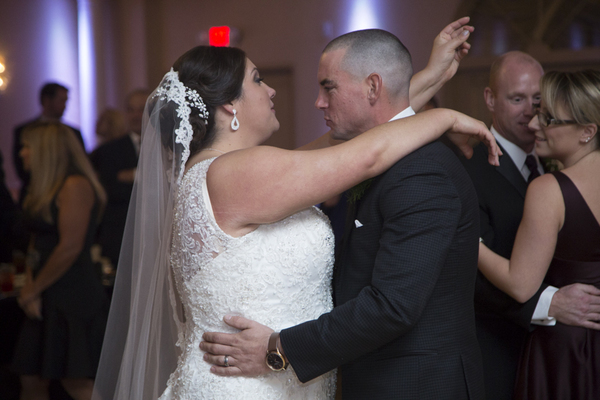 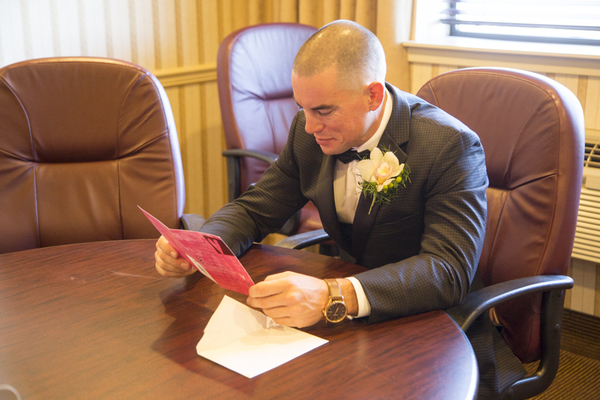 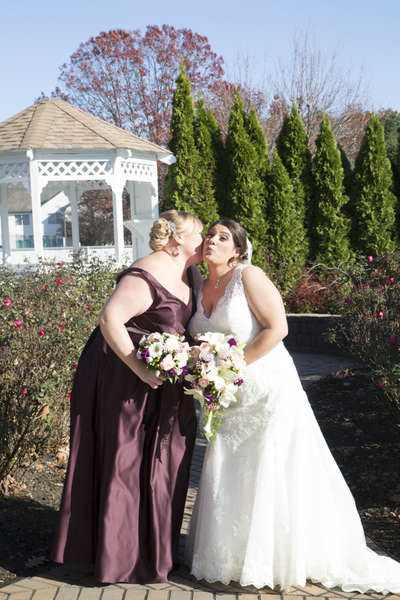 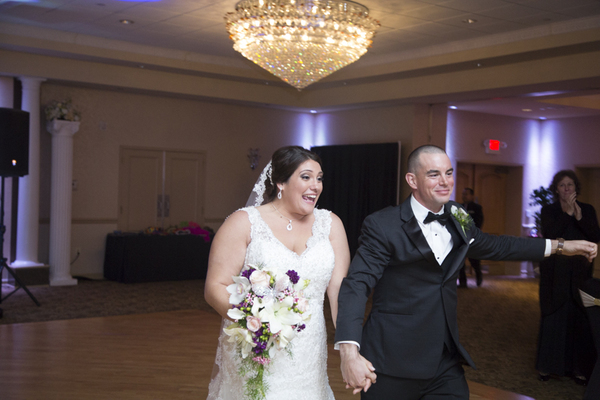 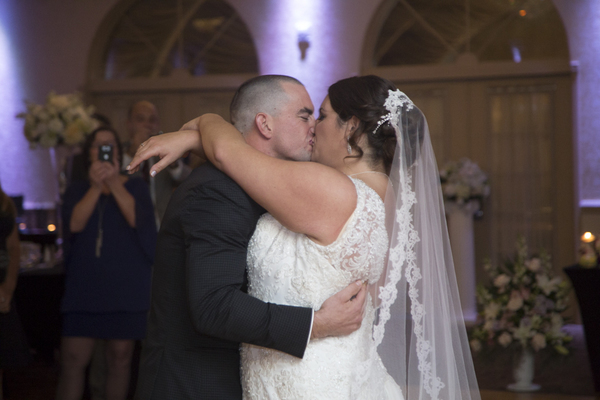 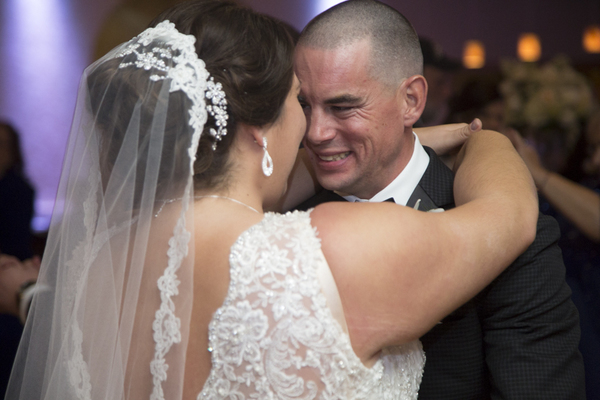 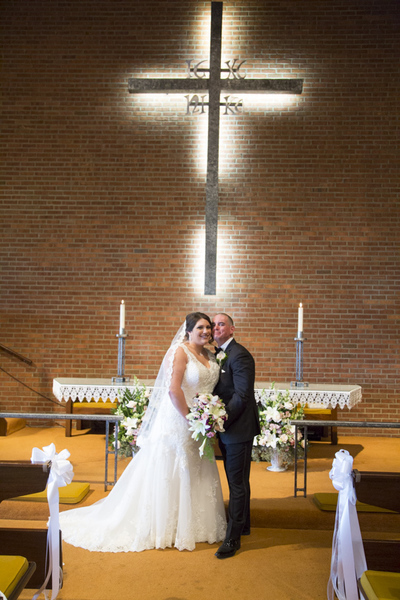 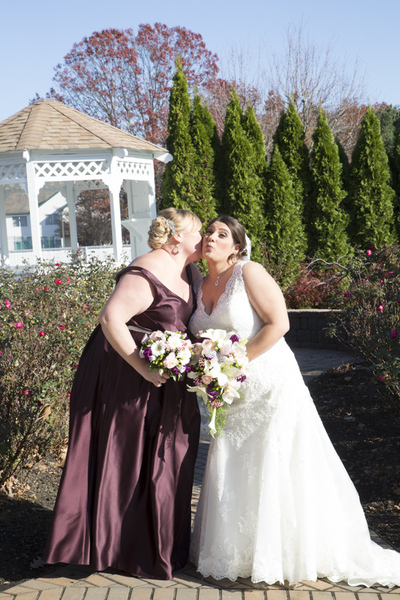 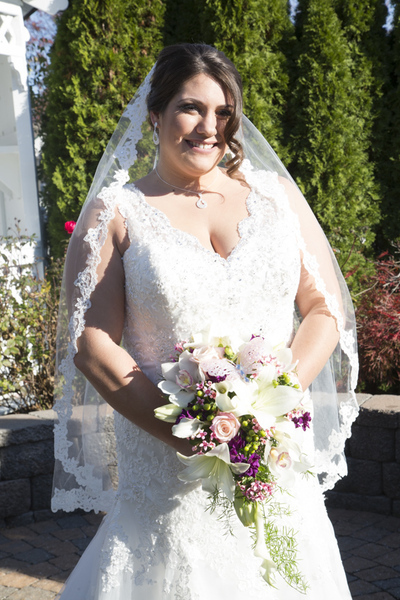 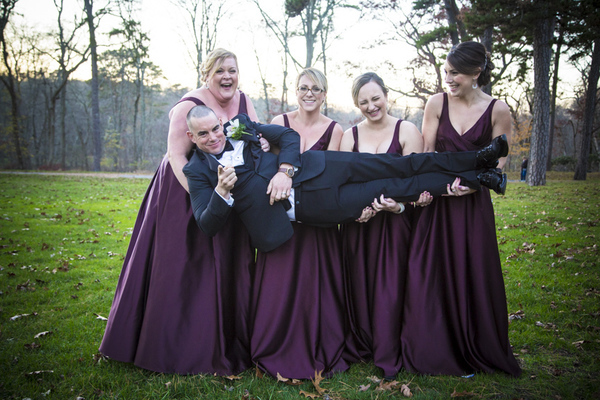 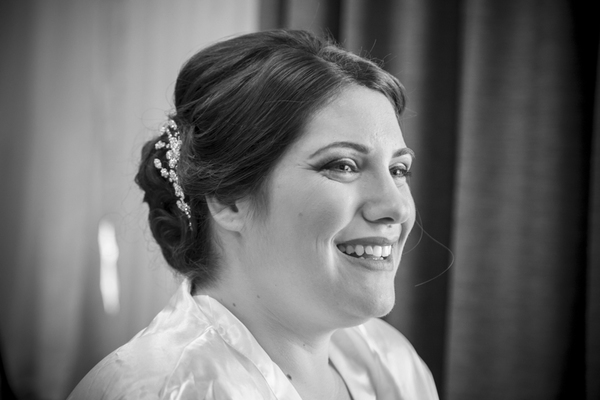 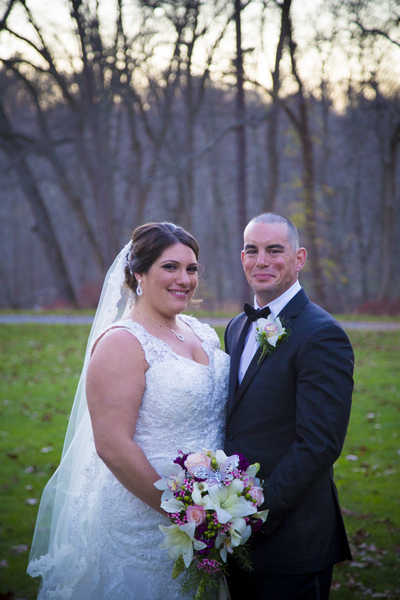 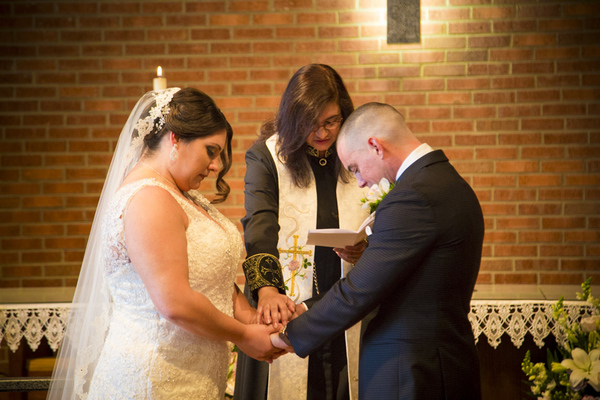 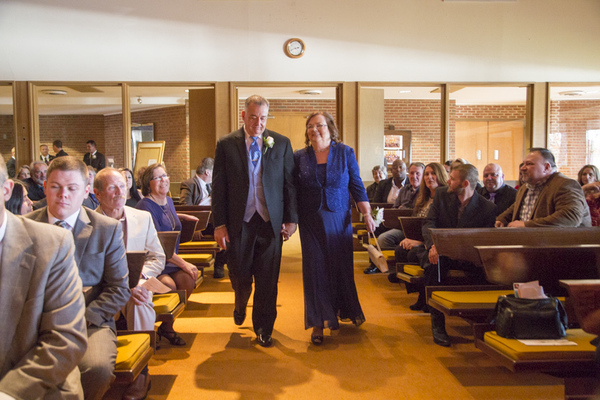 Our NJ Wedding Photographer was able to give Kayla and Nick stunning pictures that captured each special moment of their beautiful ceremony, especially when Nick began to get teary-eyed! 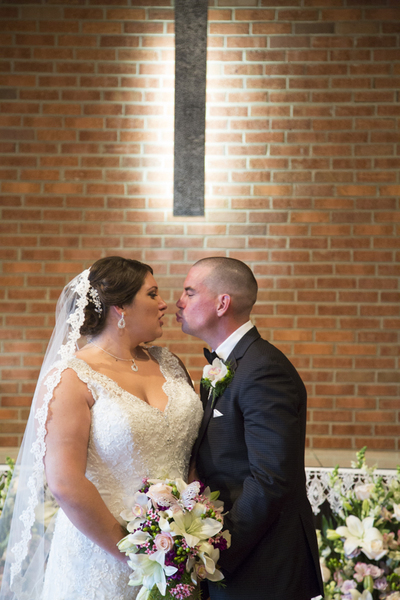 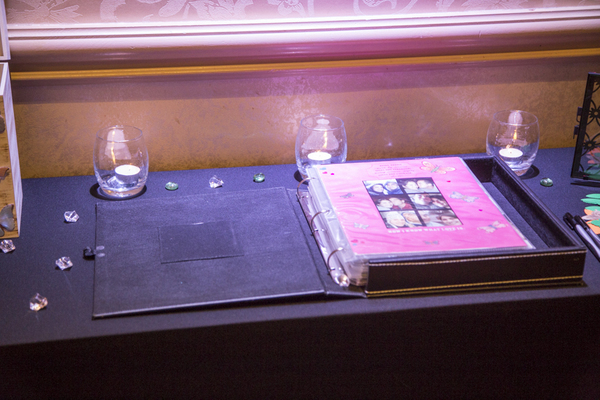 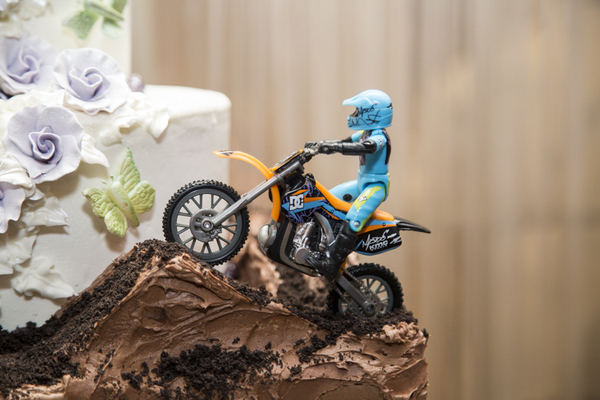 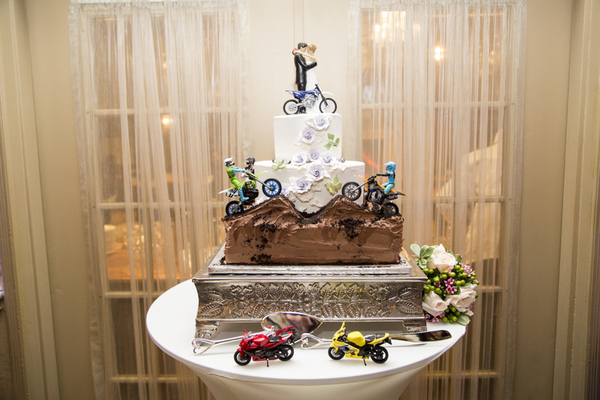 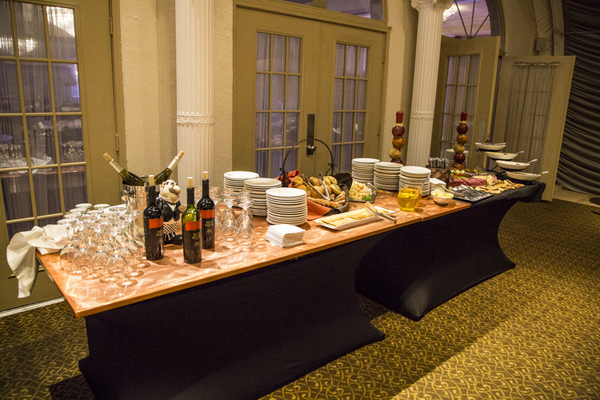 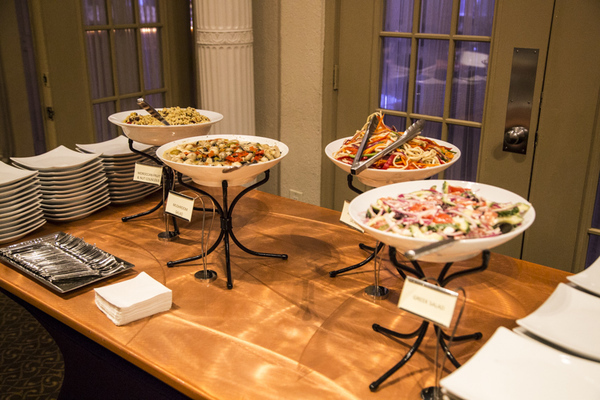 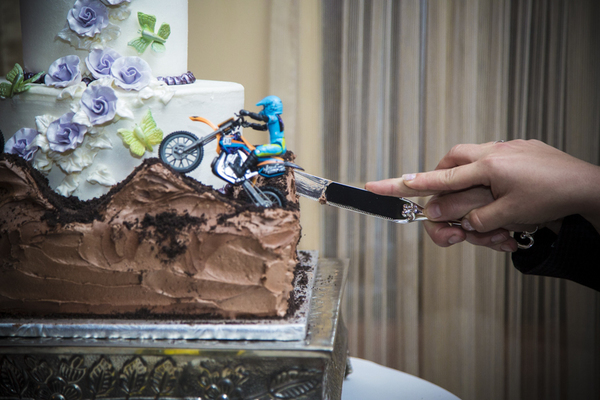 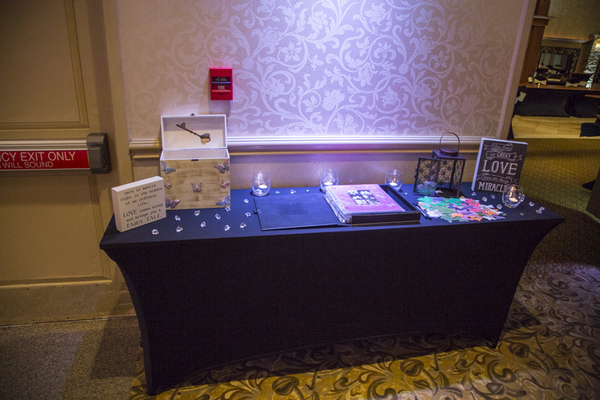 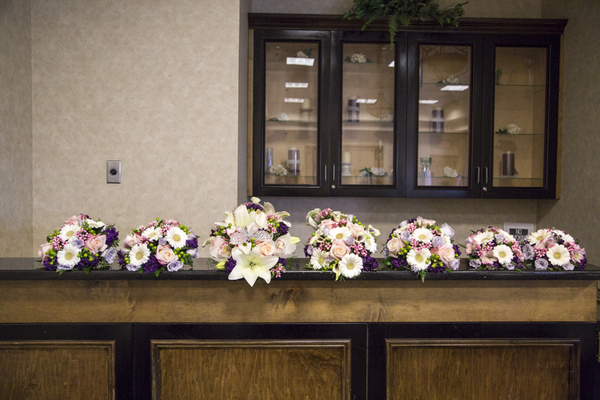 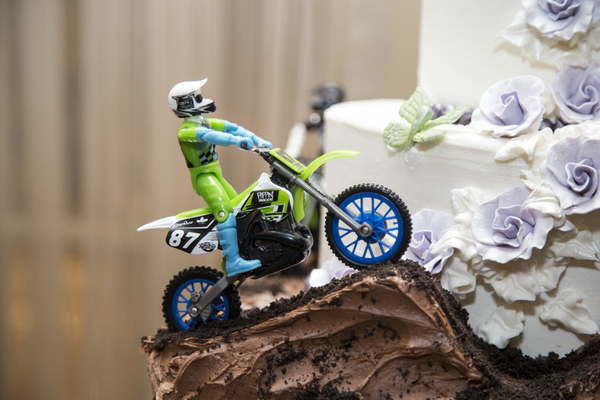 After the gorgeous and touching ceremony, guests made their way over to the reception space which was beautifully decorated with stunning ambient lighting, linens and an awesome wedding cake that shows off both Kayla and Nick’s personalities! 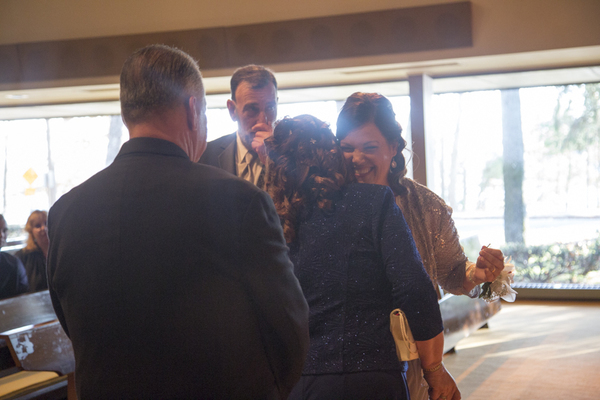 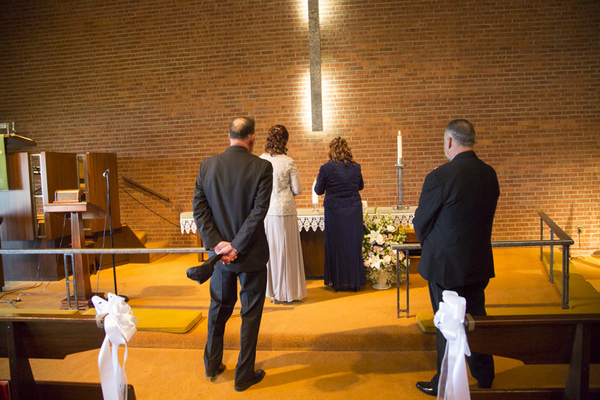 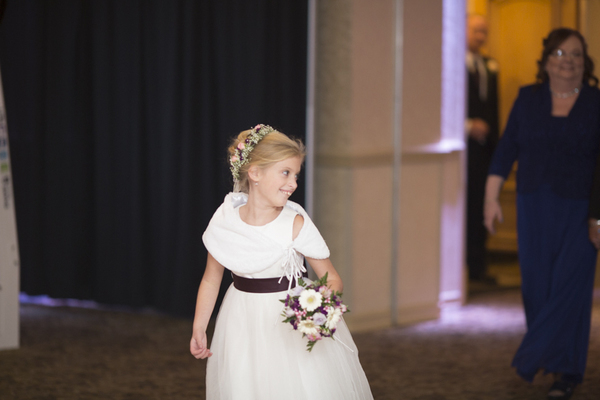 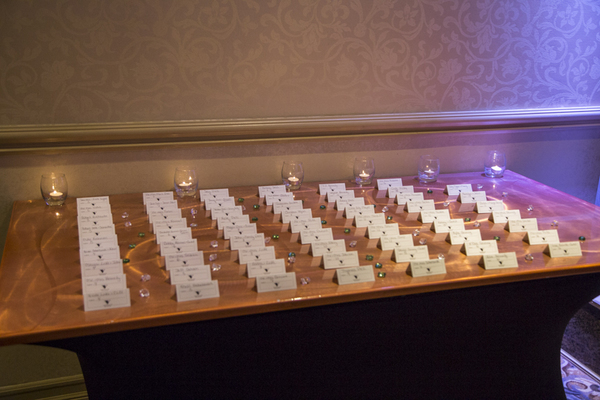 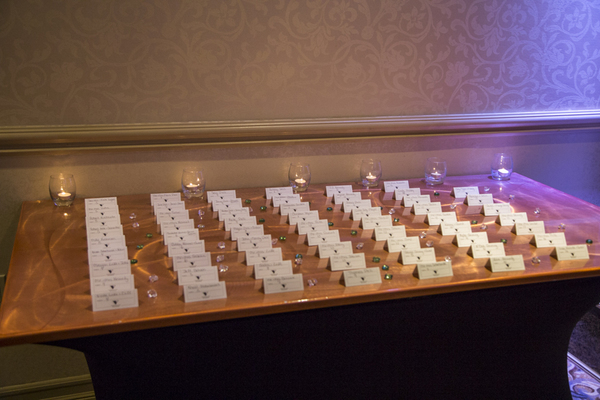 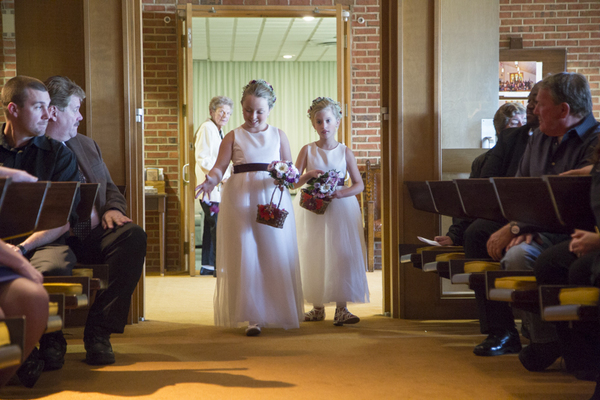 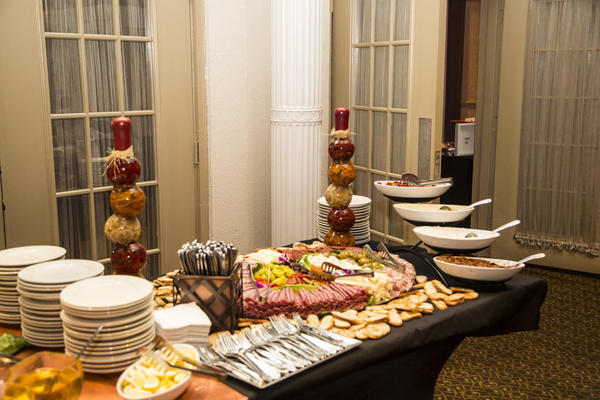 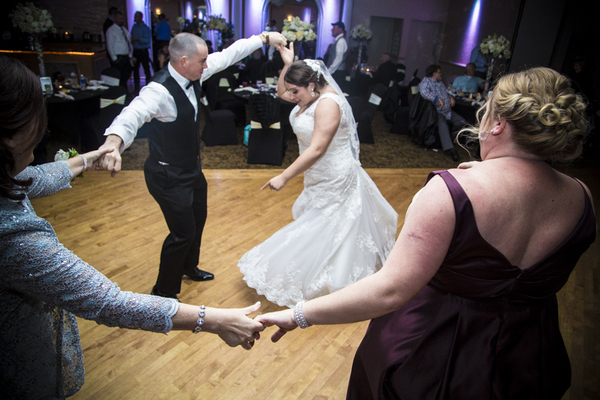 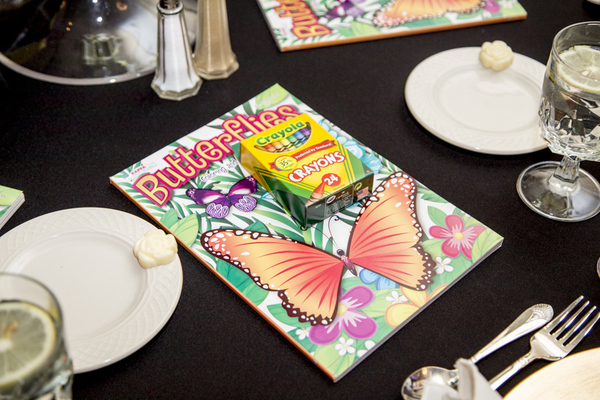 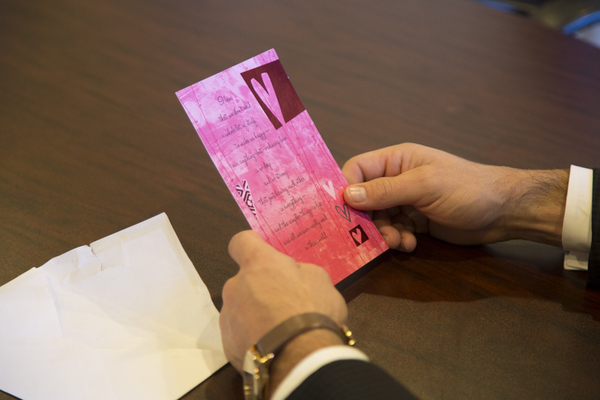 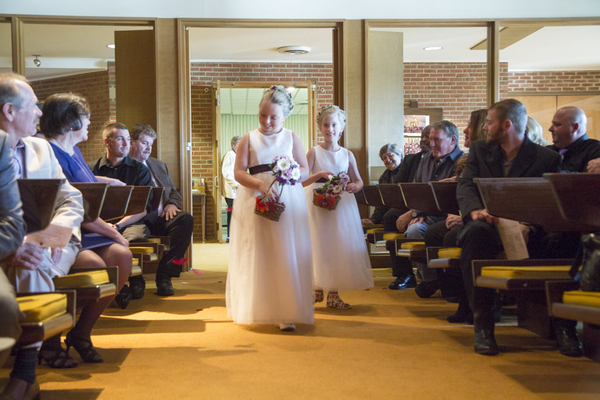 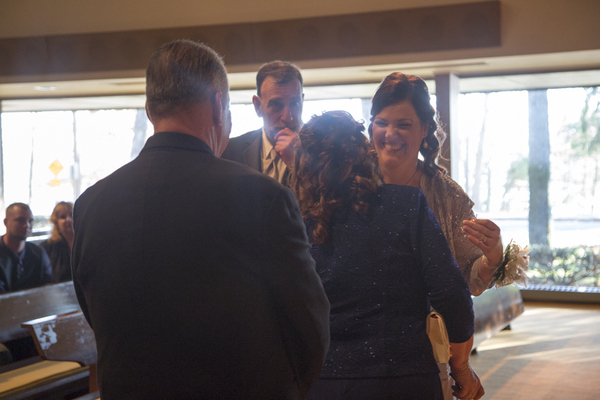 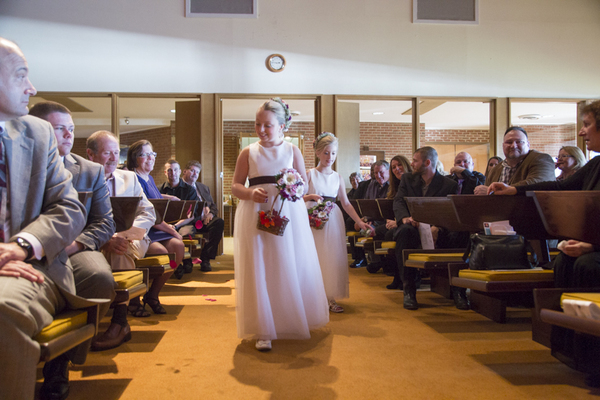 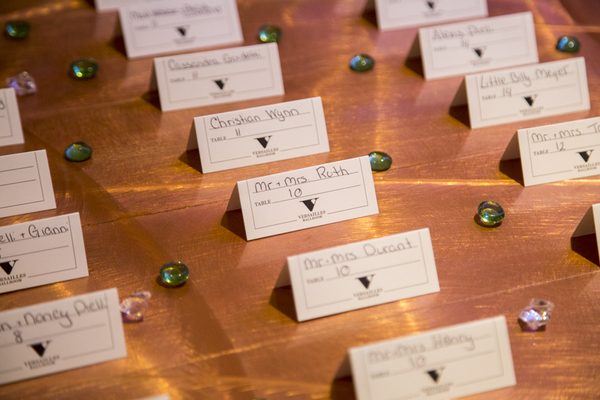 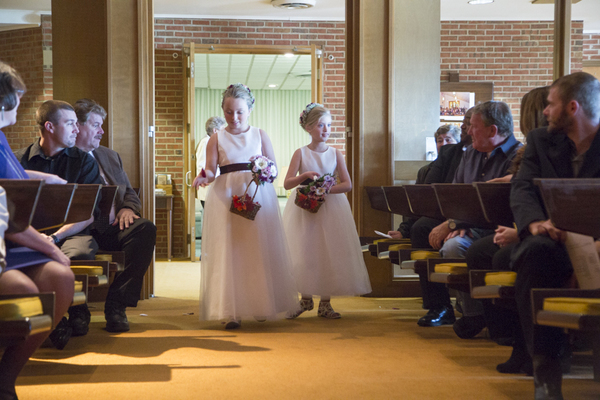 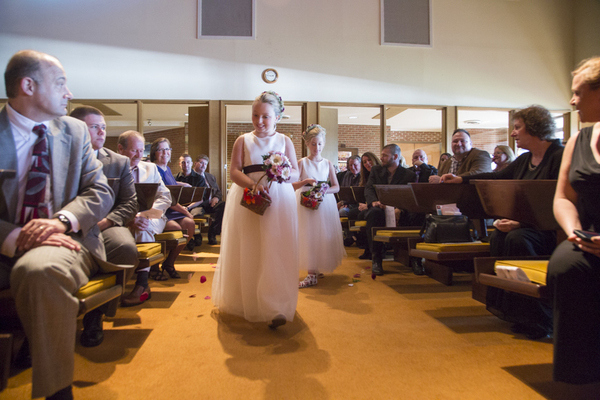 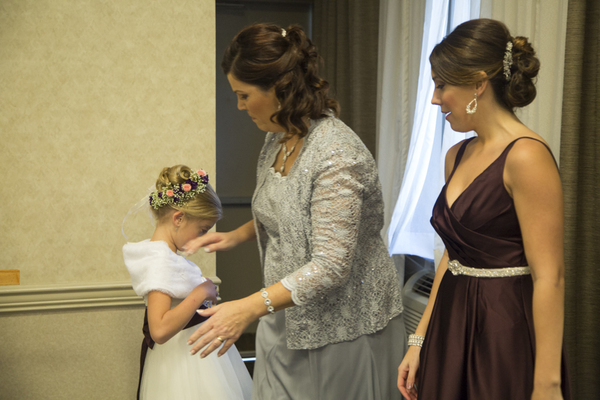 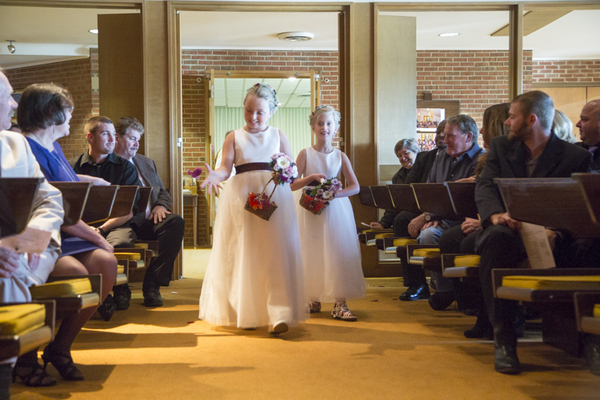 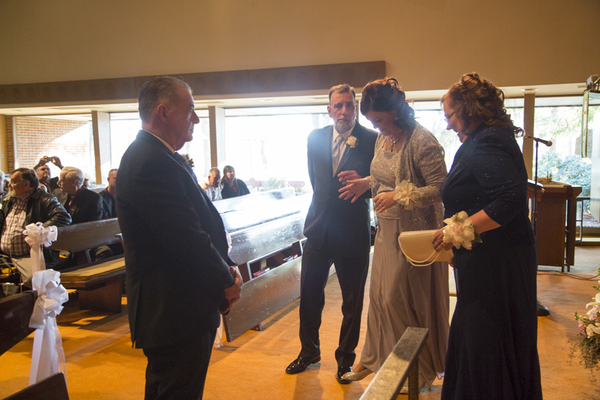 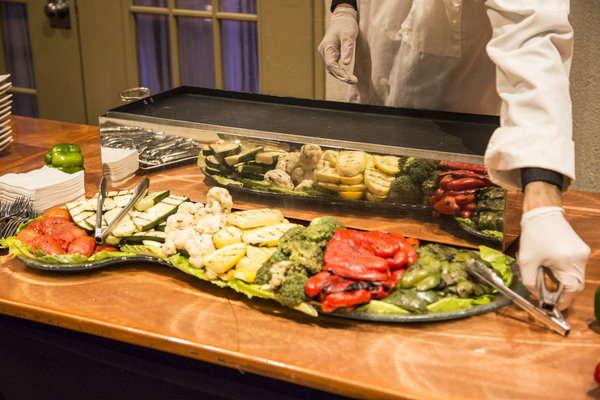 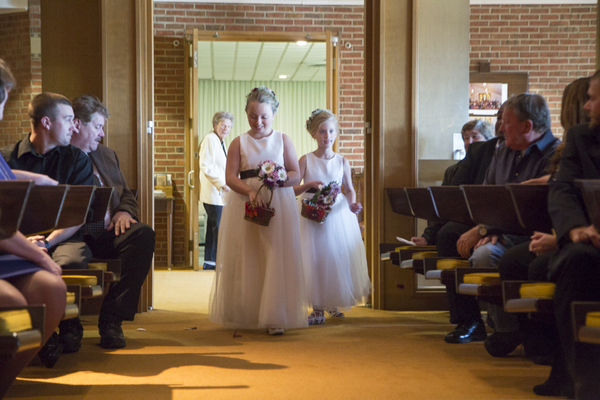 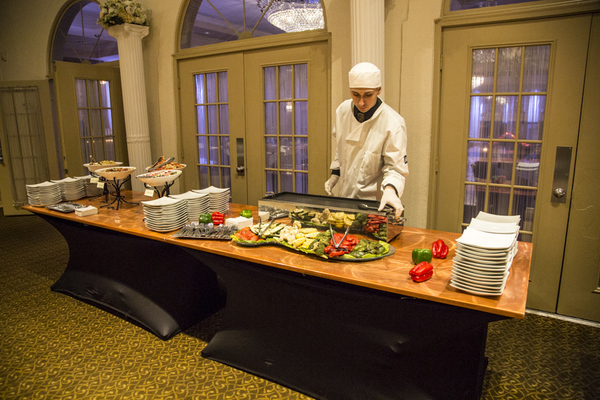 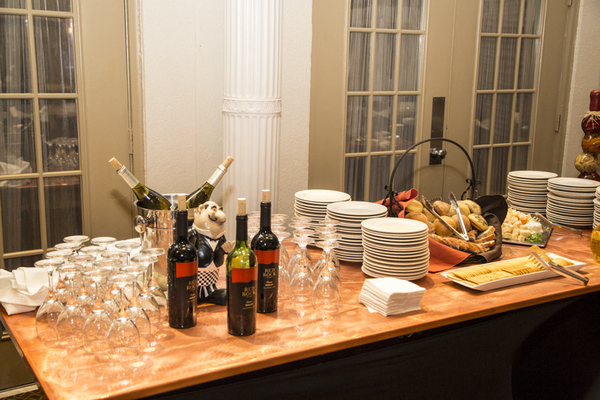 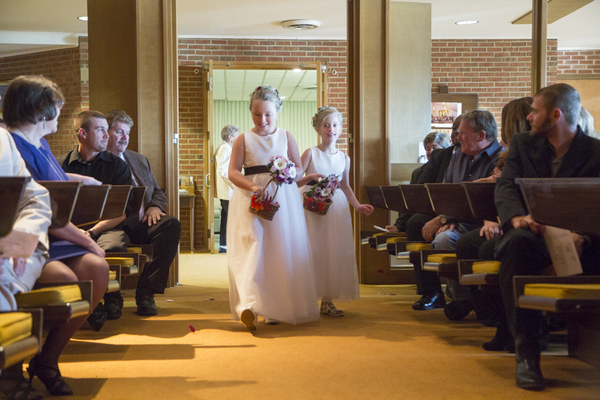 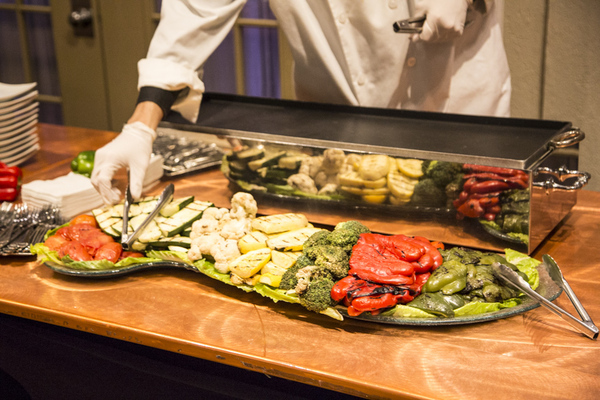 The reception was an absolute ball to be at for guests of all ages. 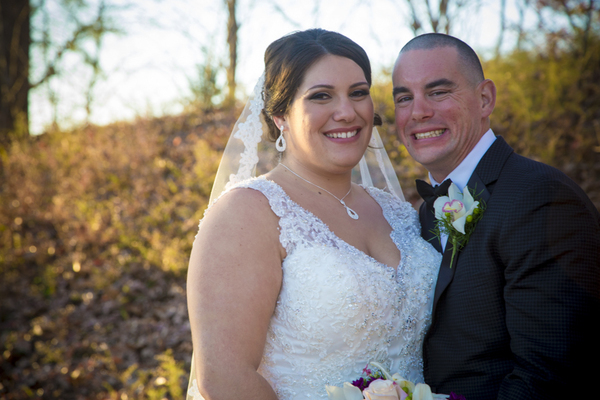 Many smiles, laughs and memories were made on this beautiful evening and we are so glad we were able to capture those memories for Kayla and Nick to look back on forever! 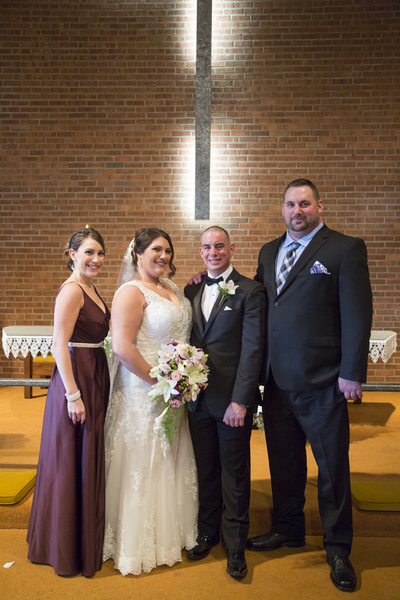 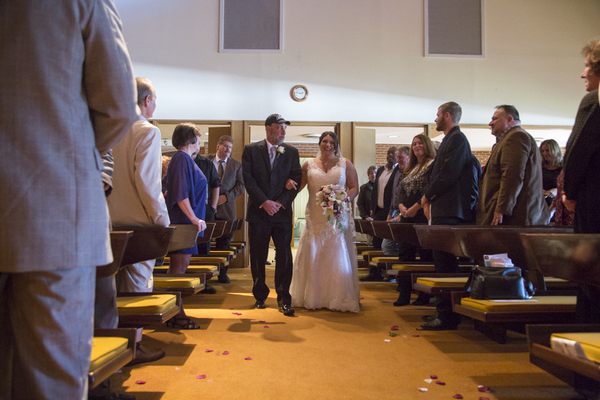 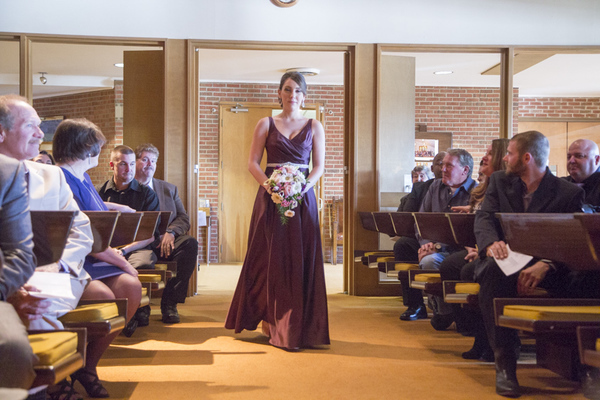 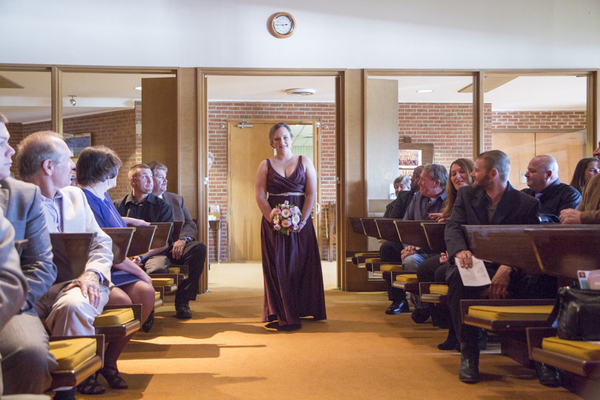 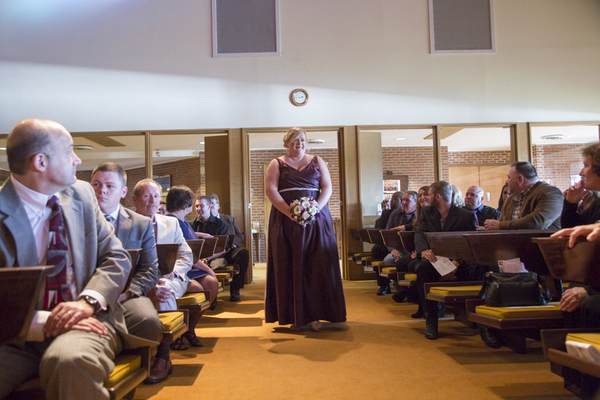 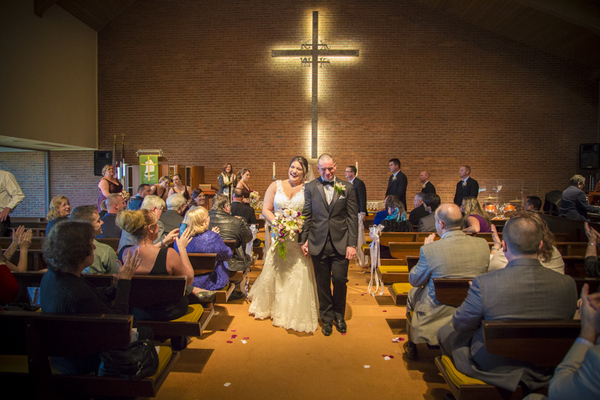 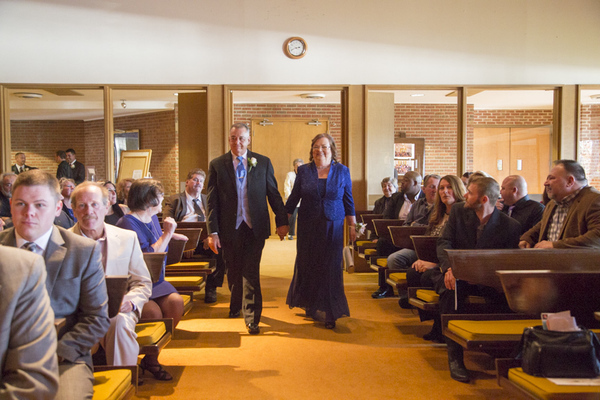 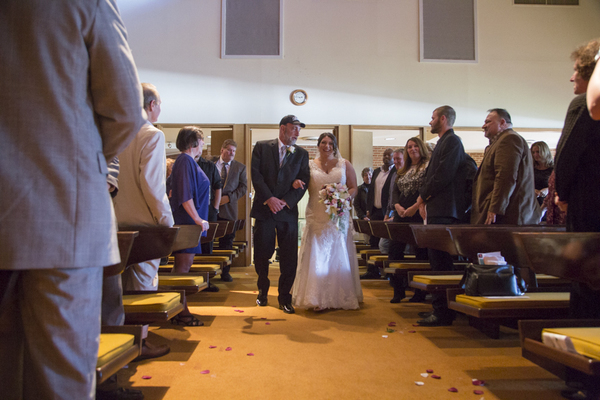 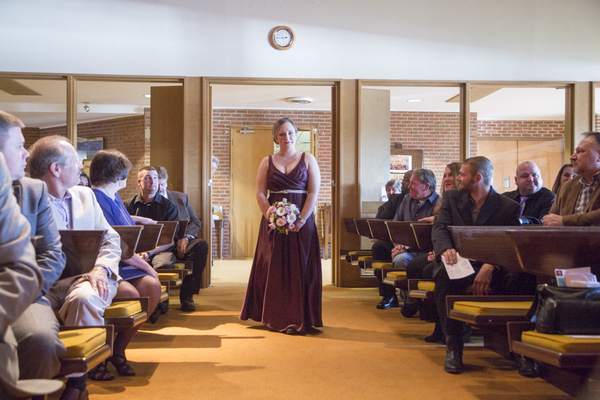 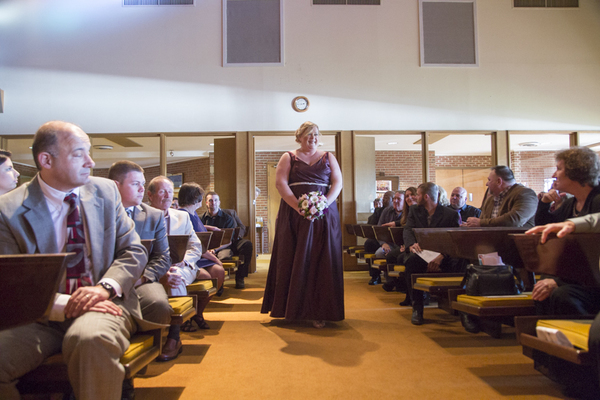 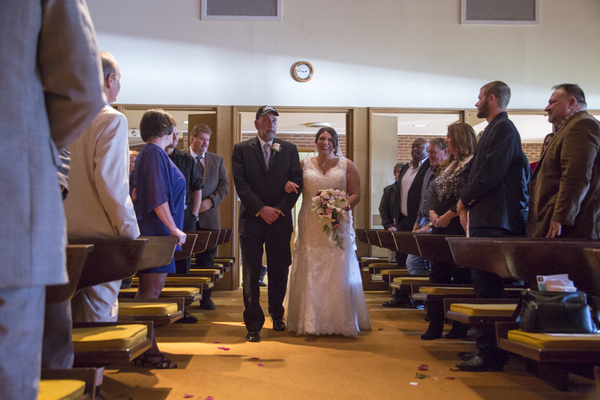 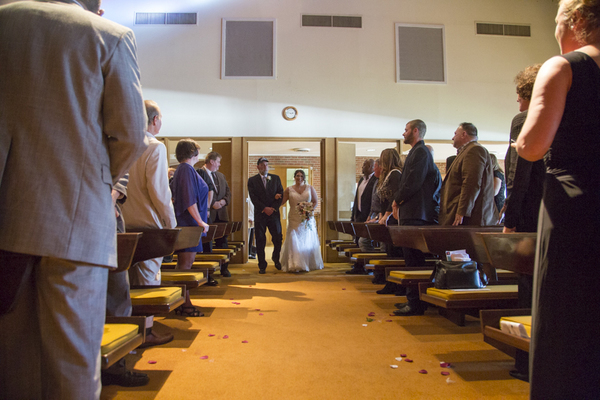 Congratulations again, Kayla and Nick!